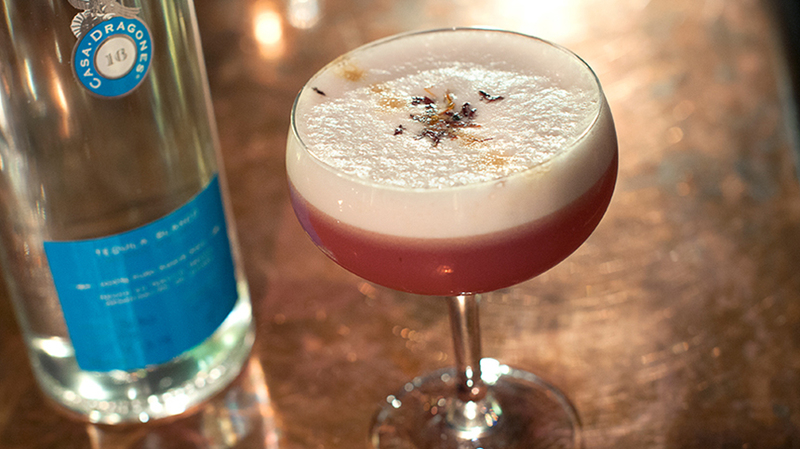 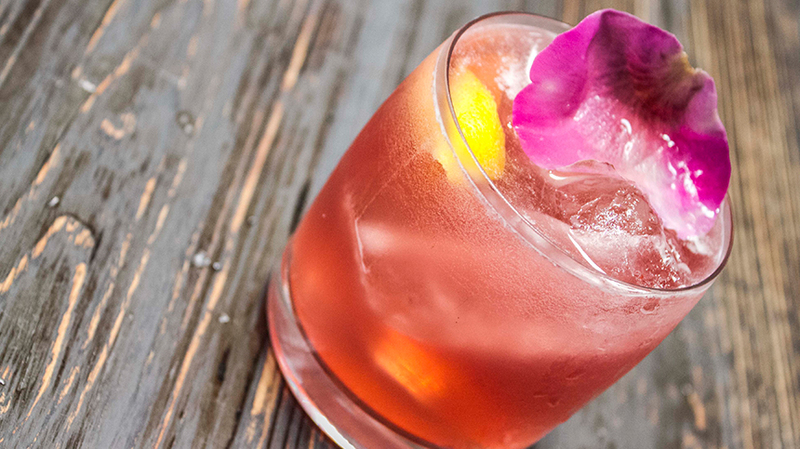 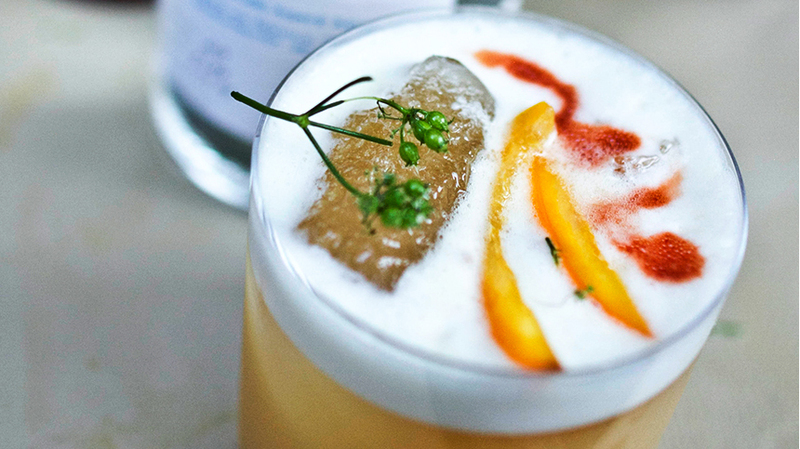 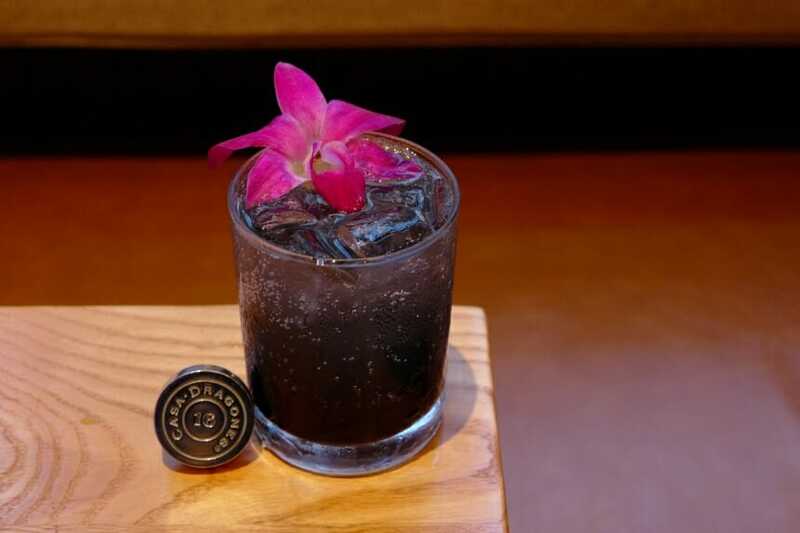 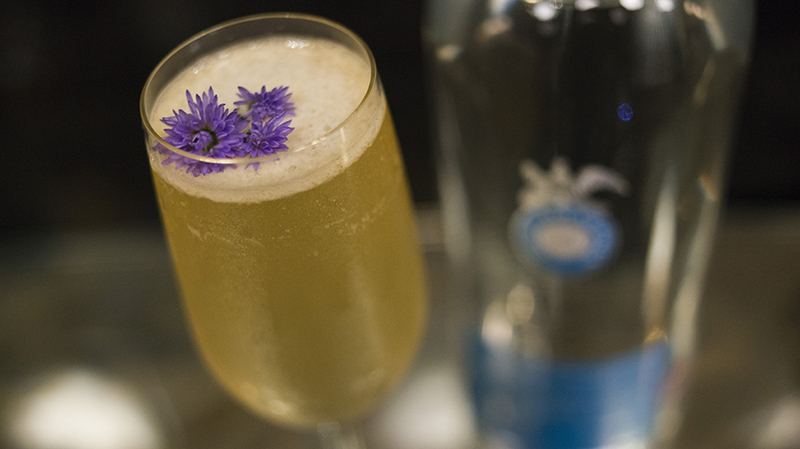 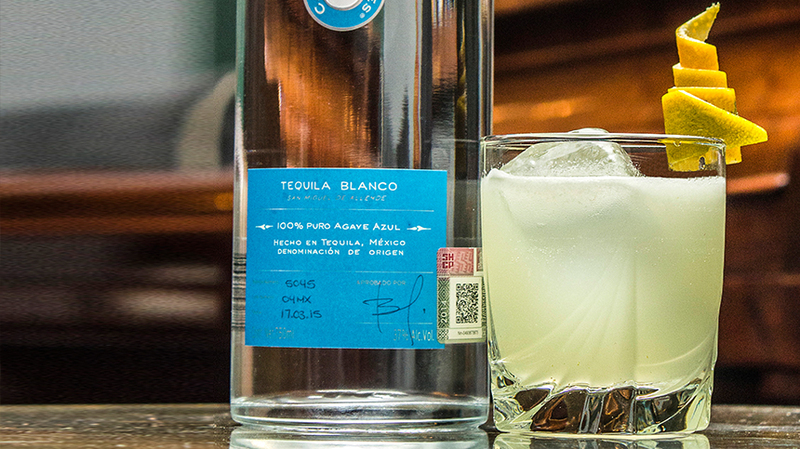 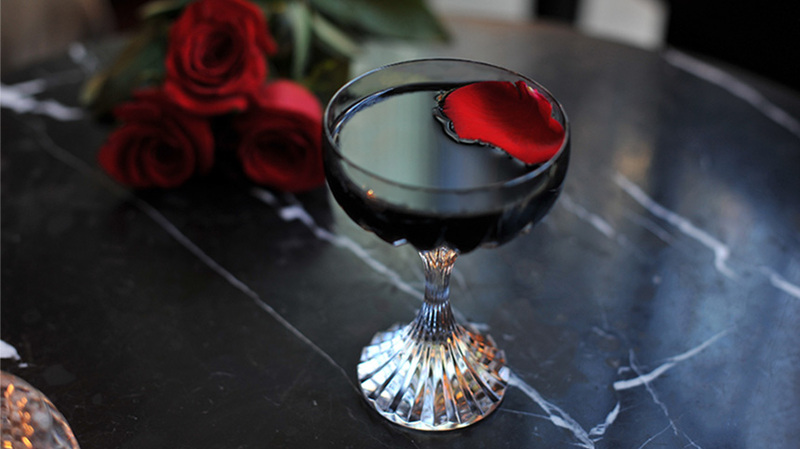 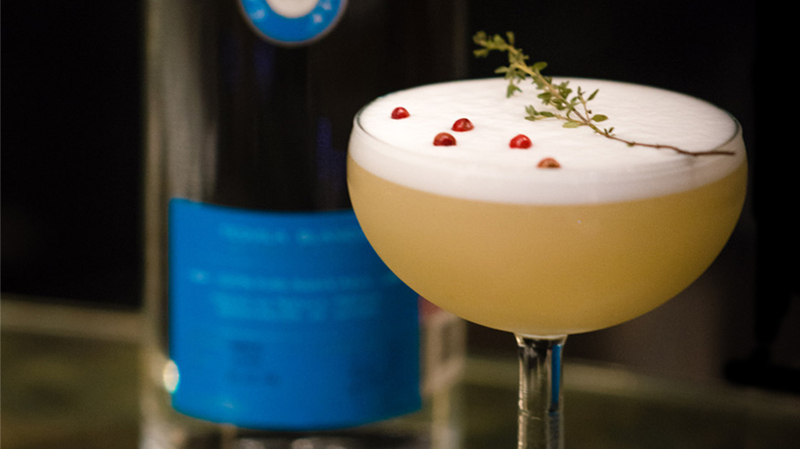 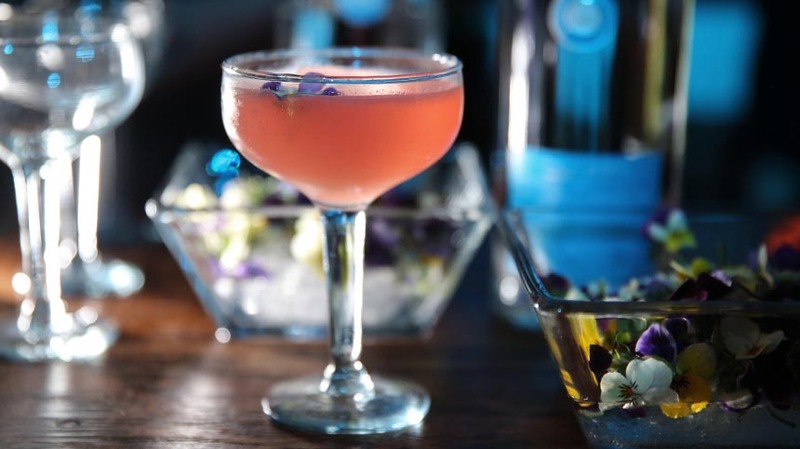 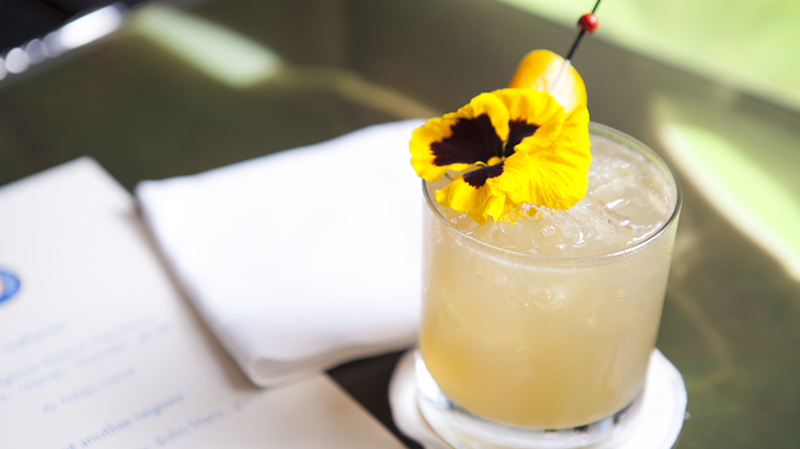 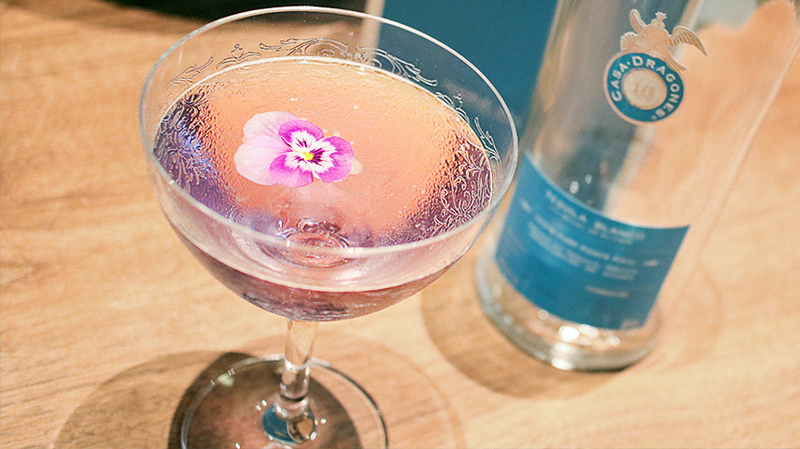 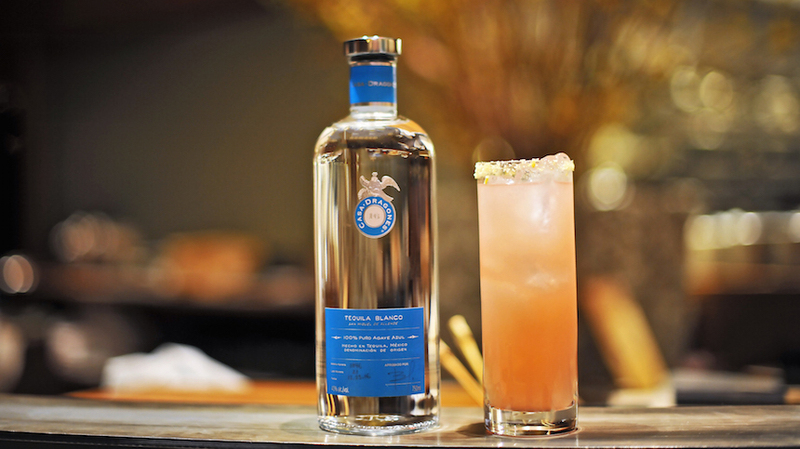 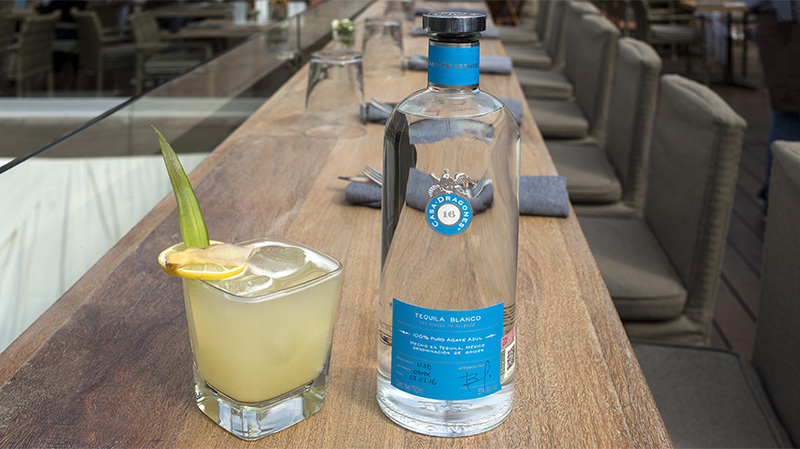 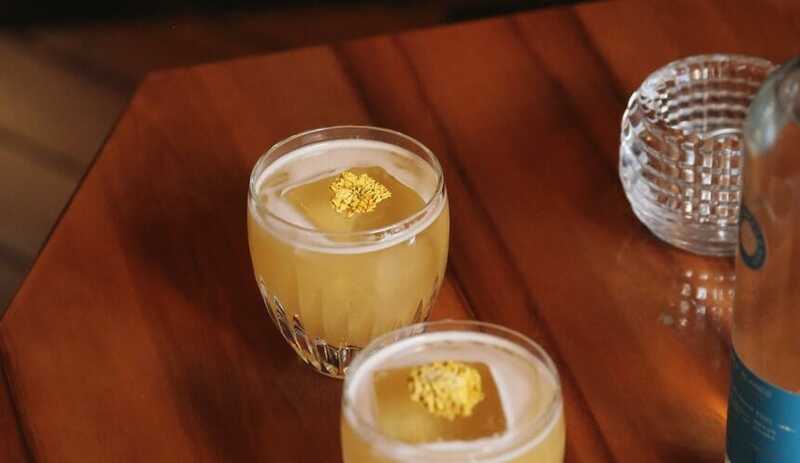 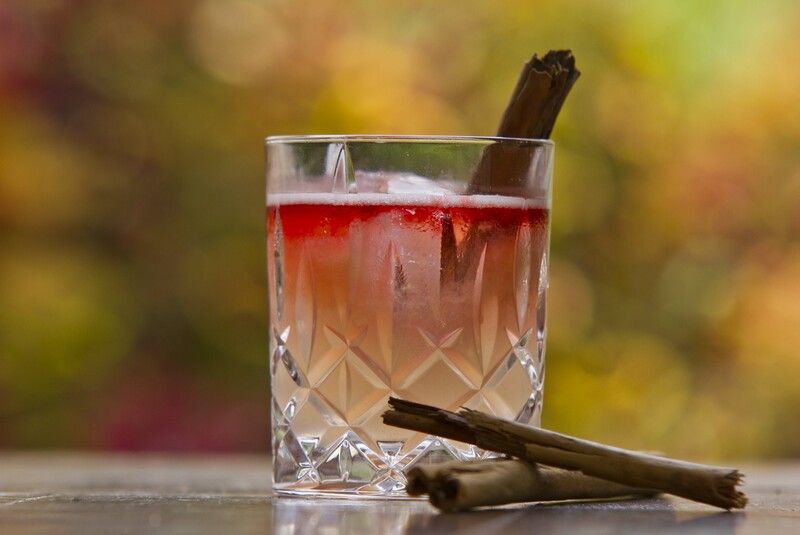 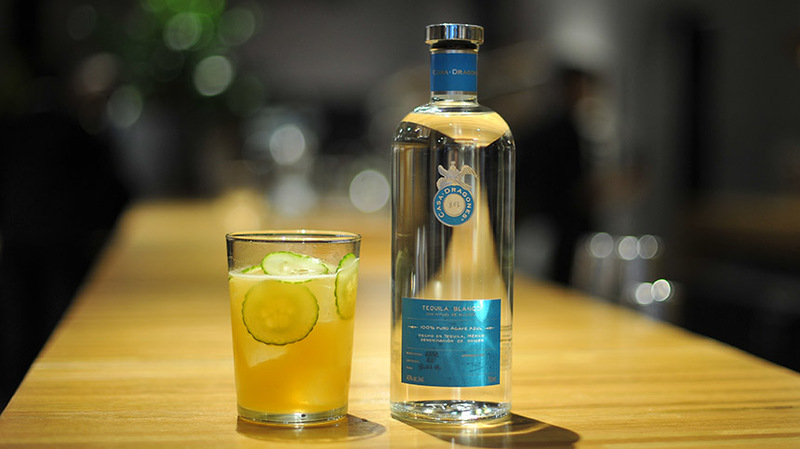 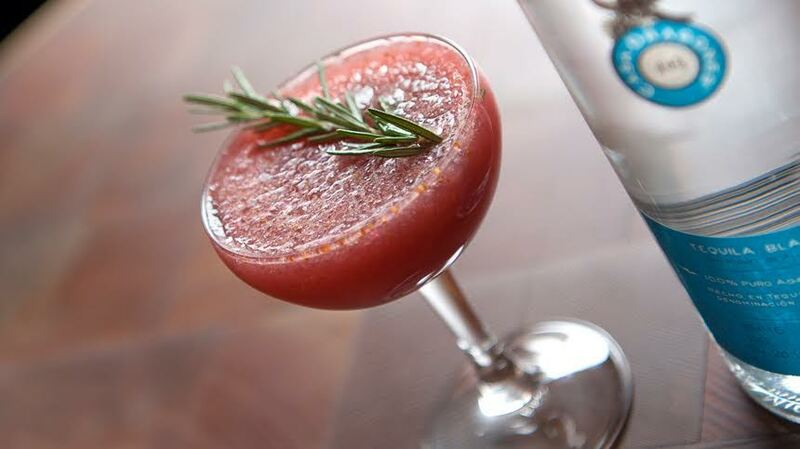 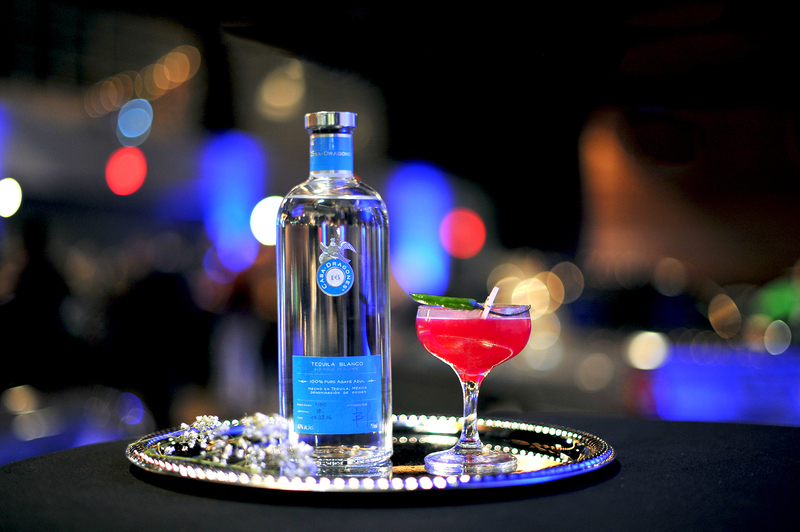 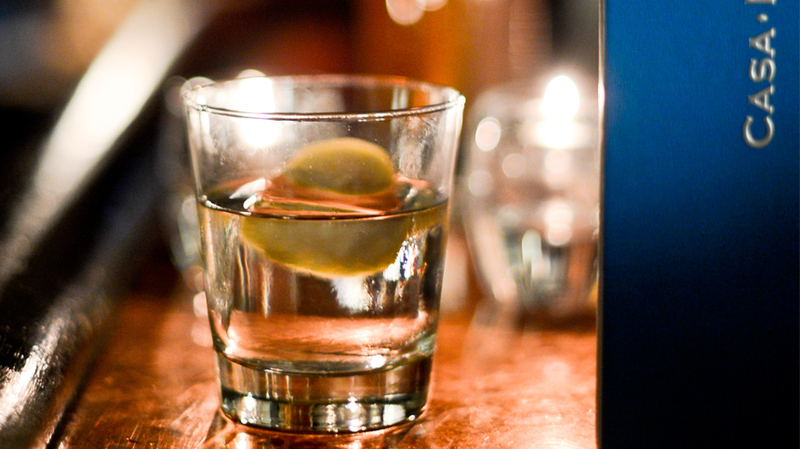 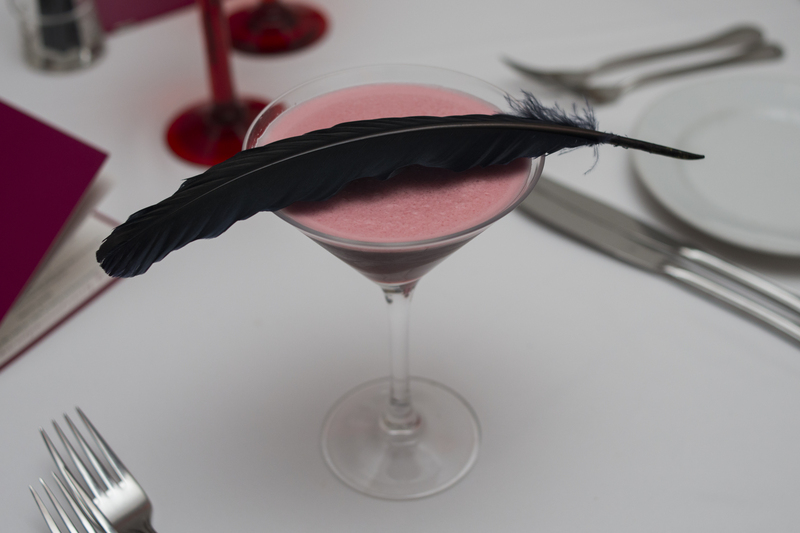 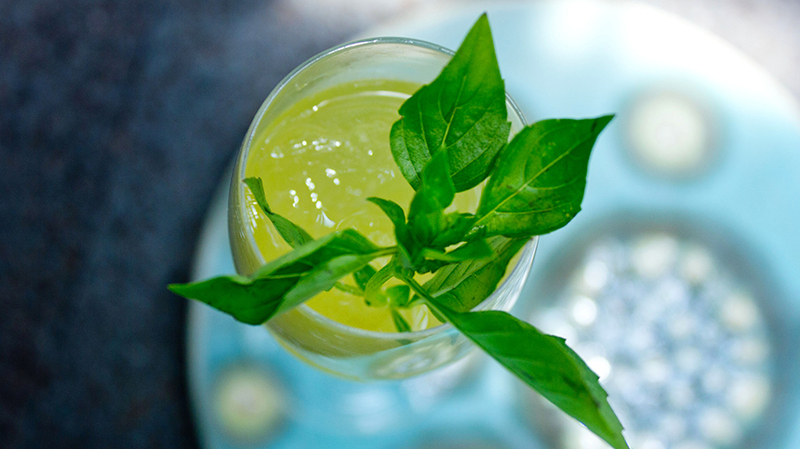 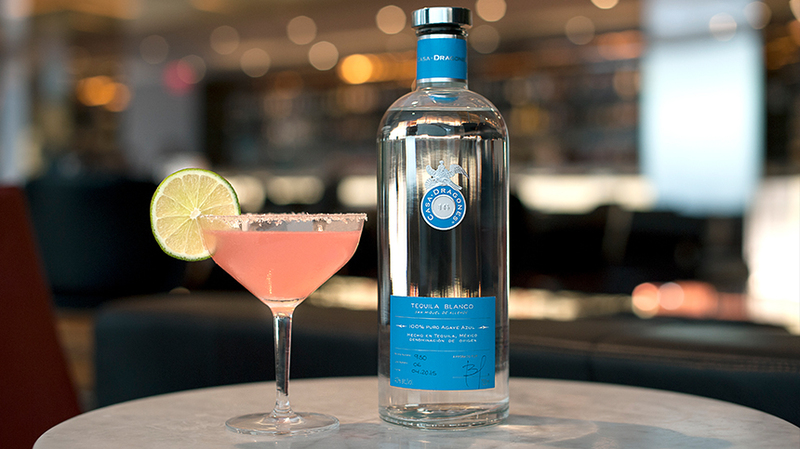 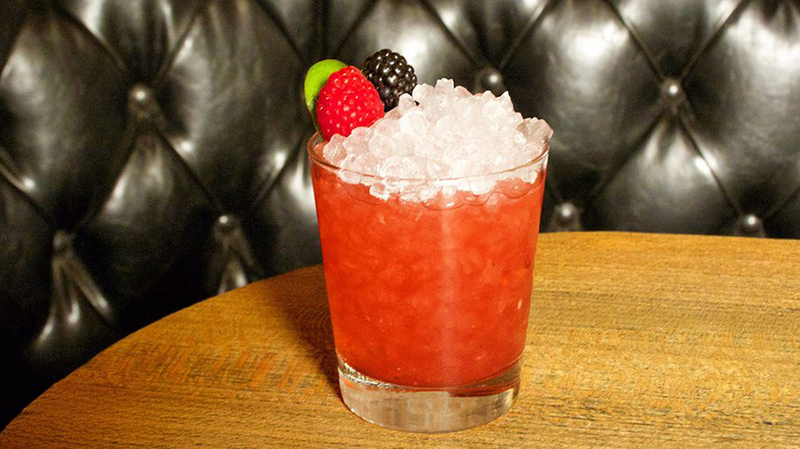 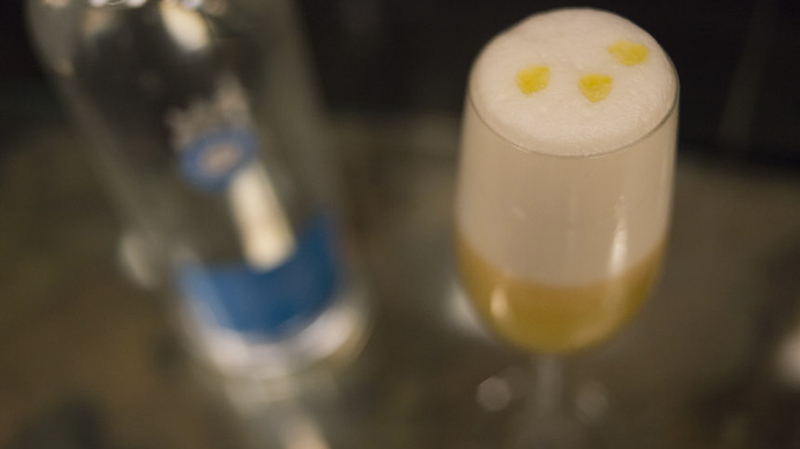 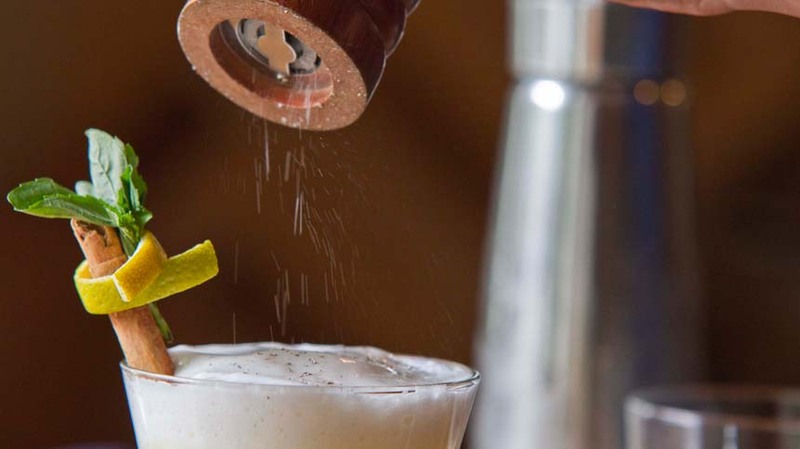 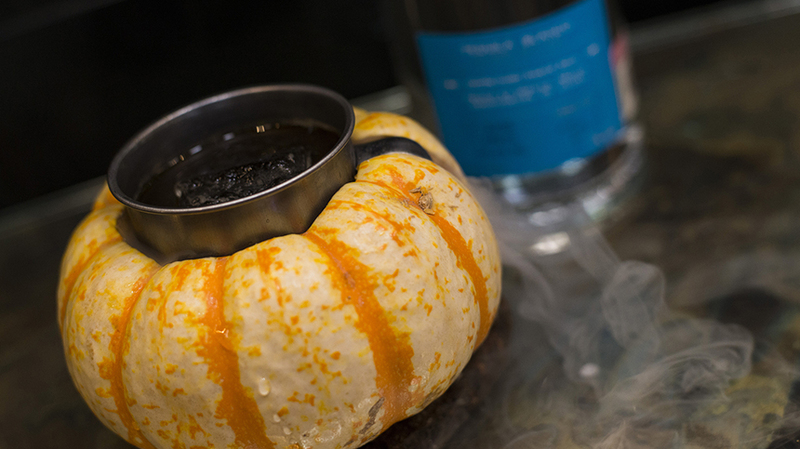 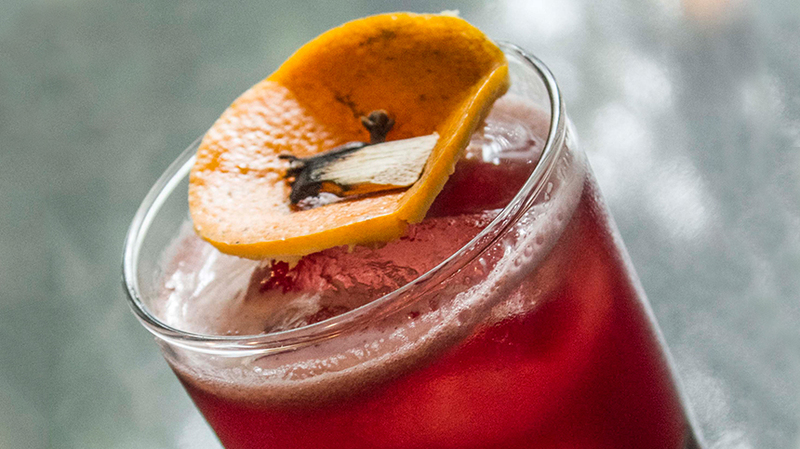 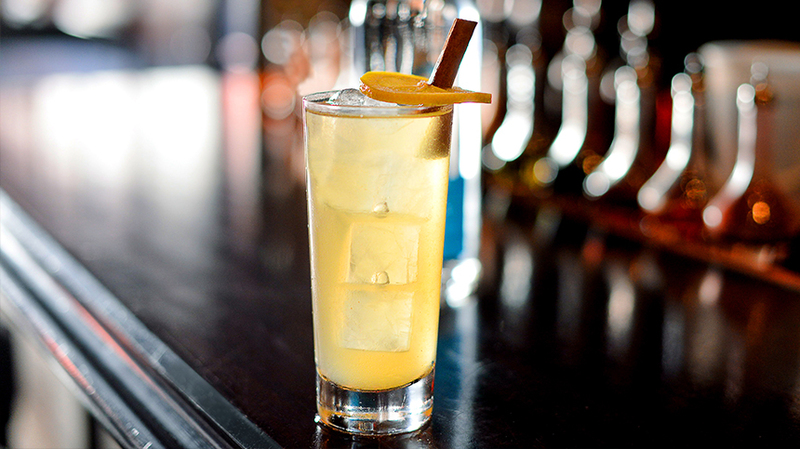 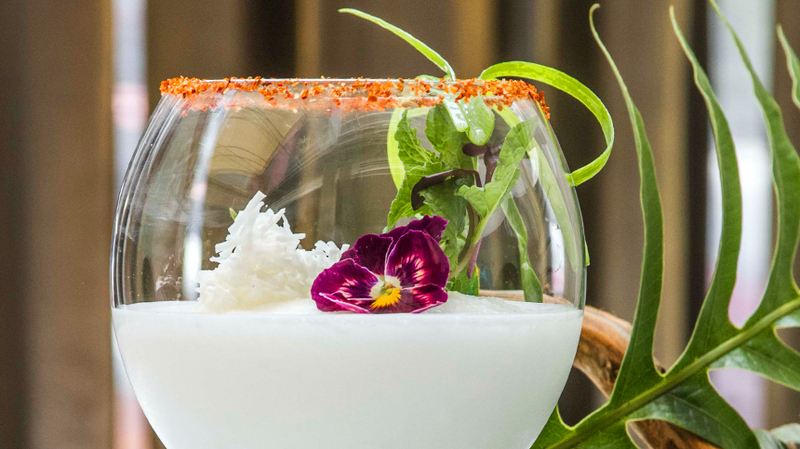 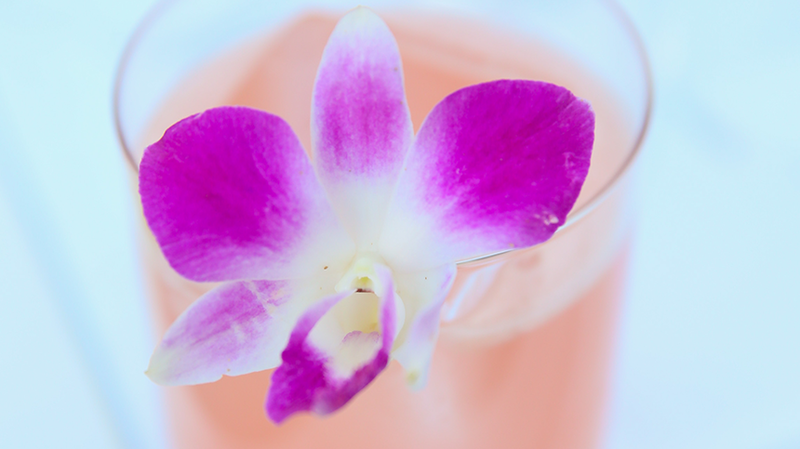 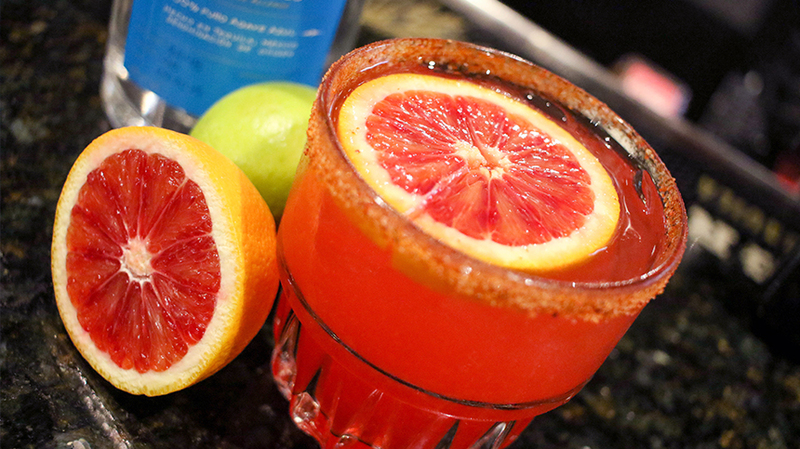 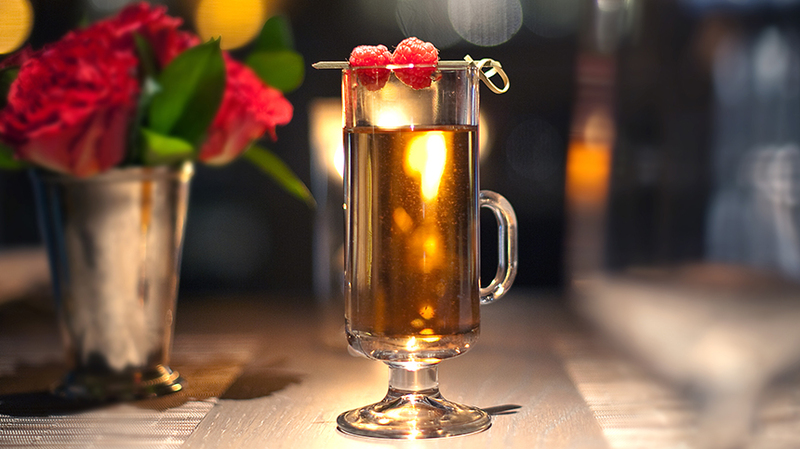 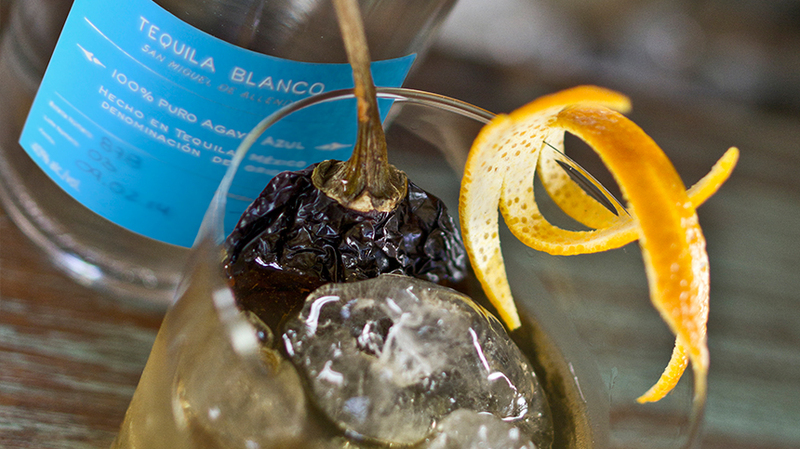 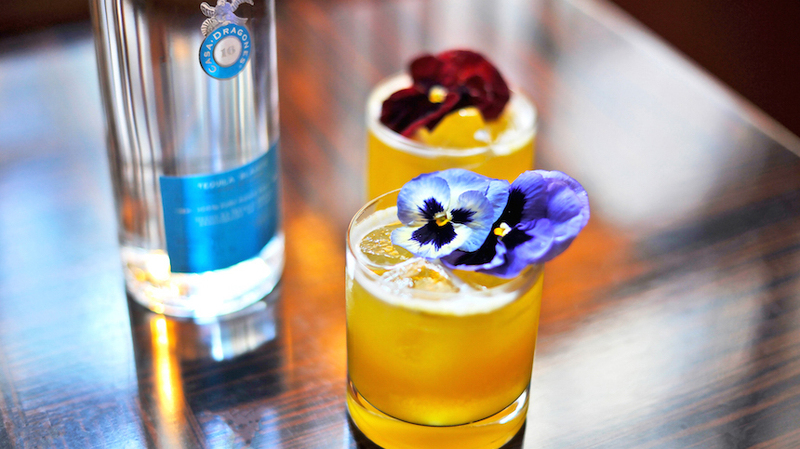 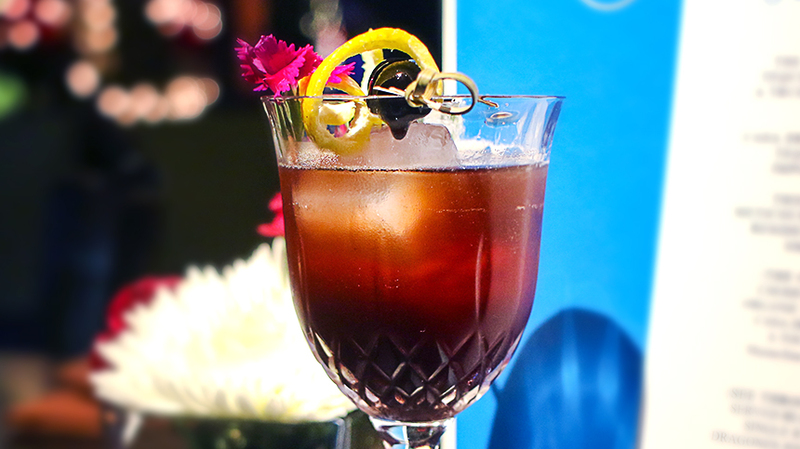 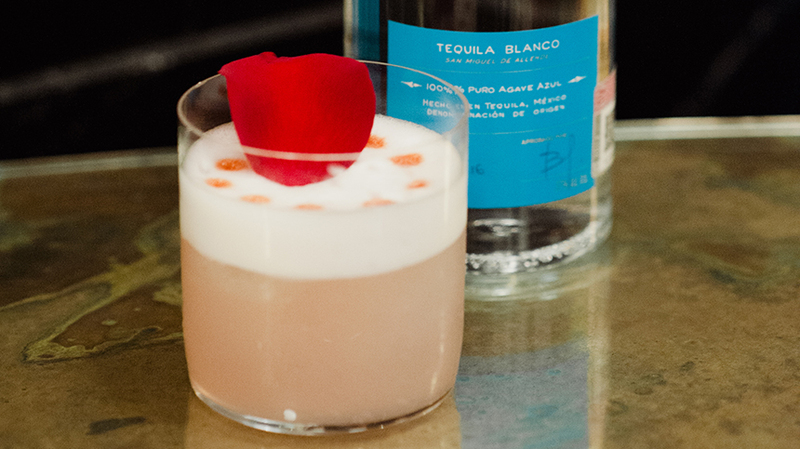 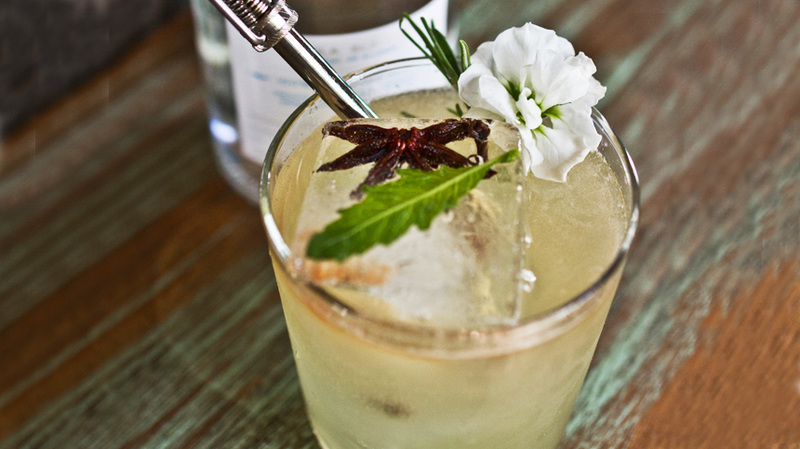 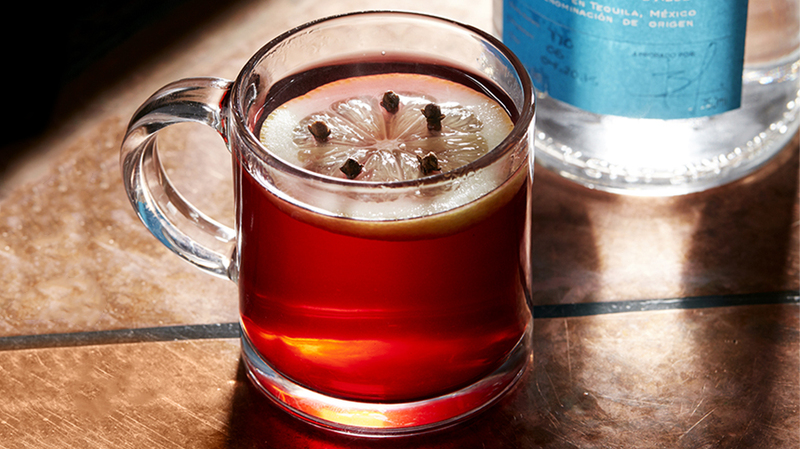 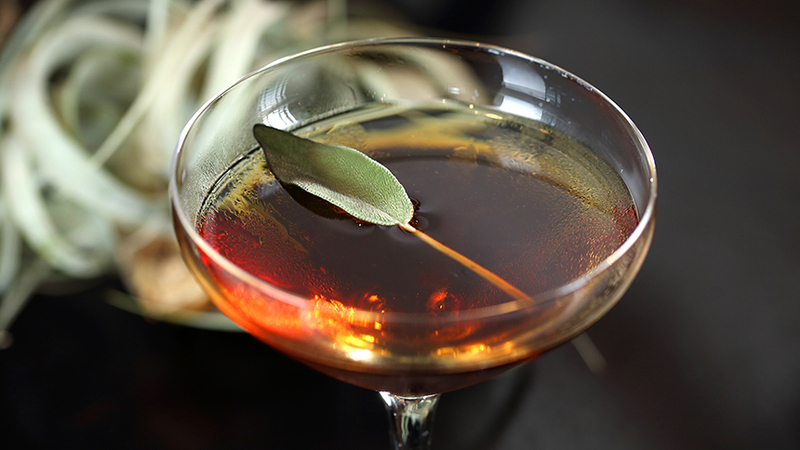 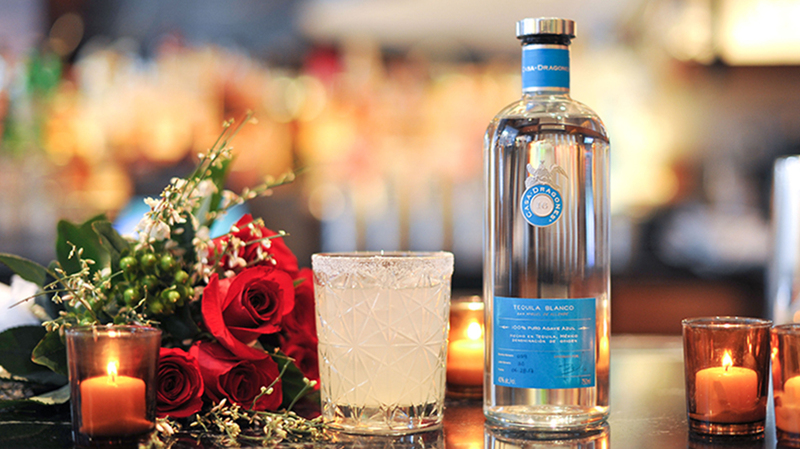 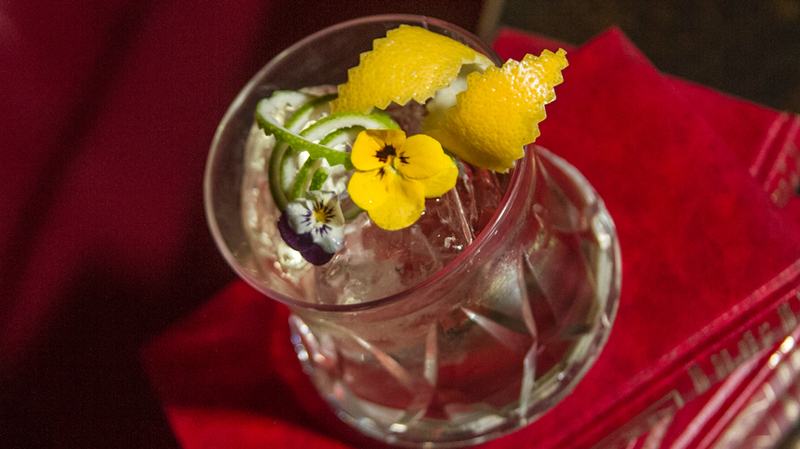 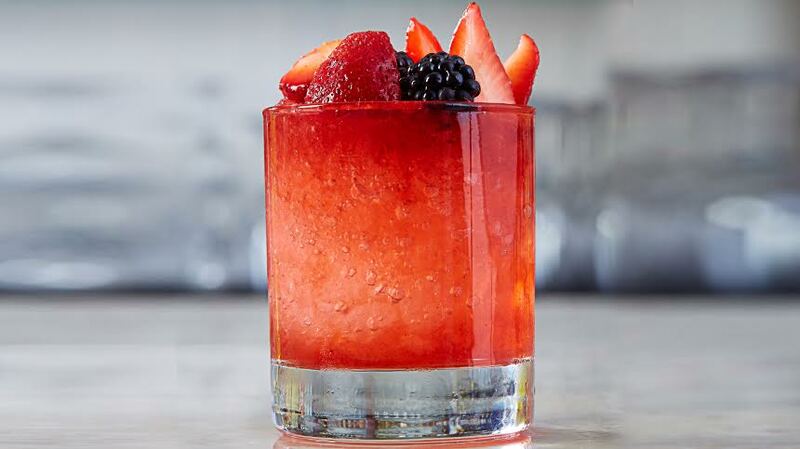 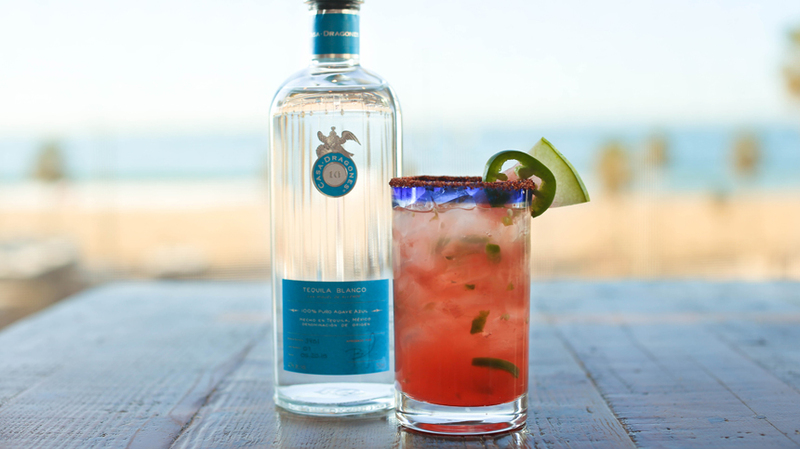 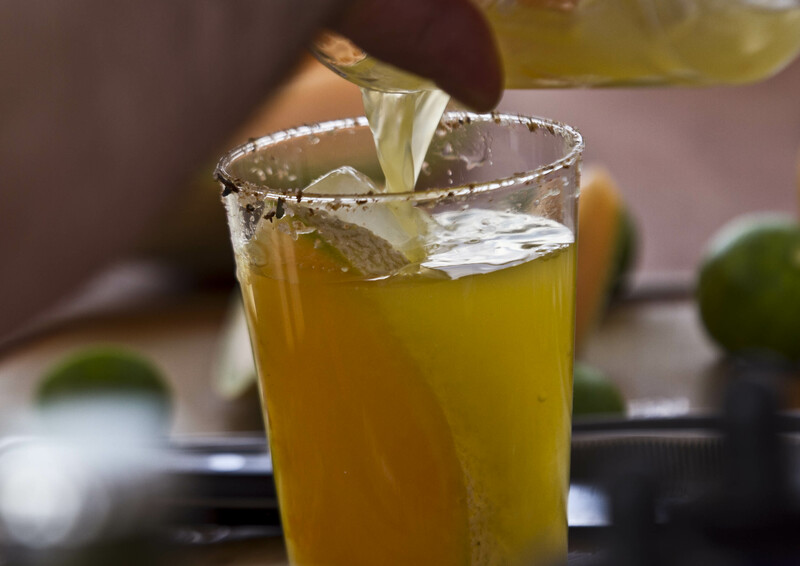 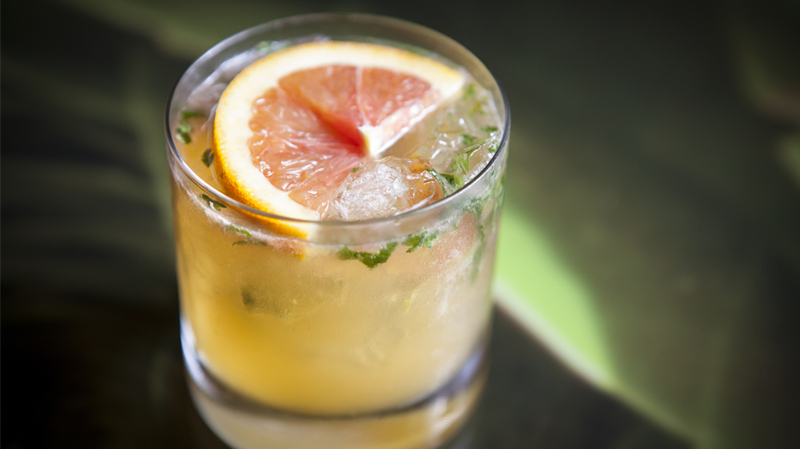 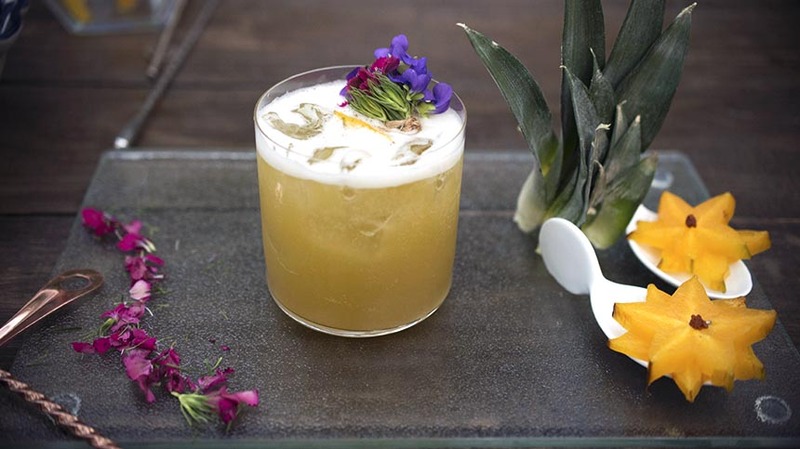 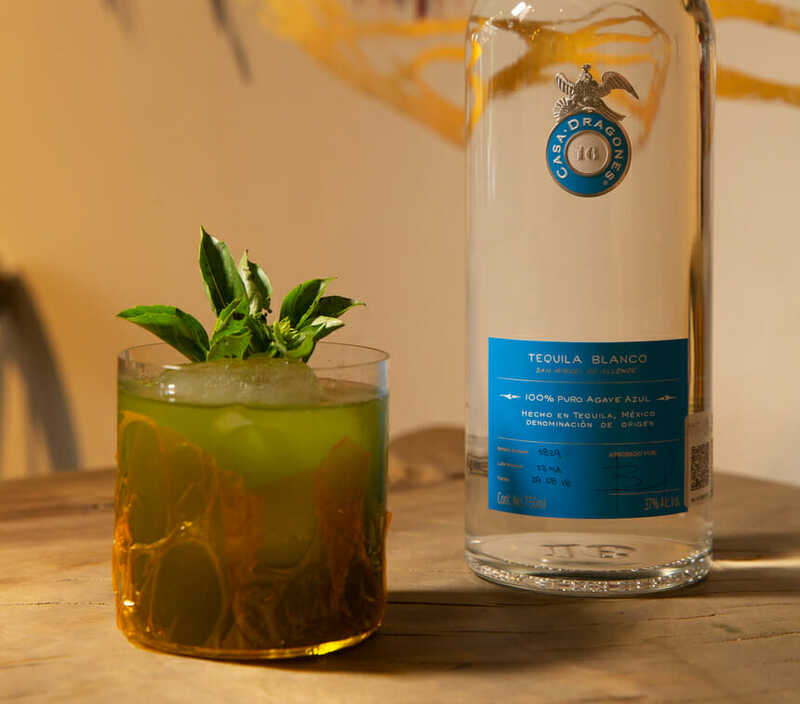 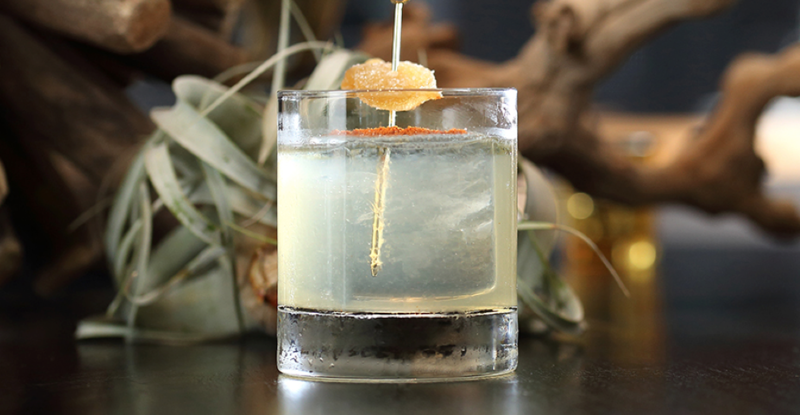 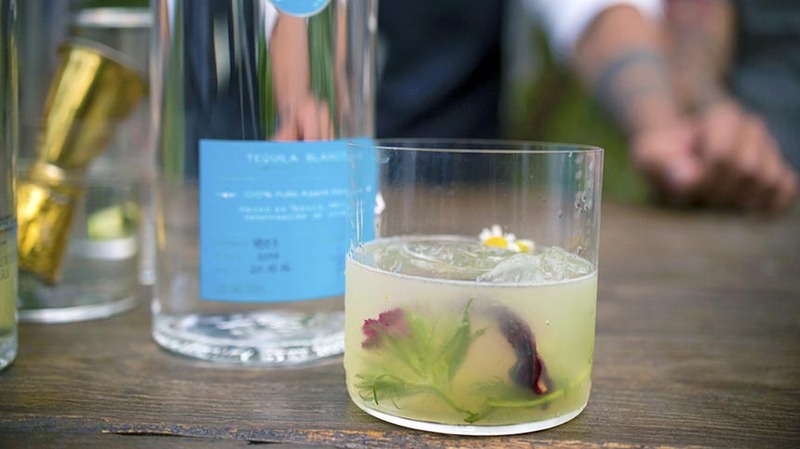 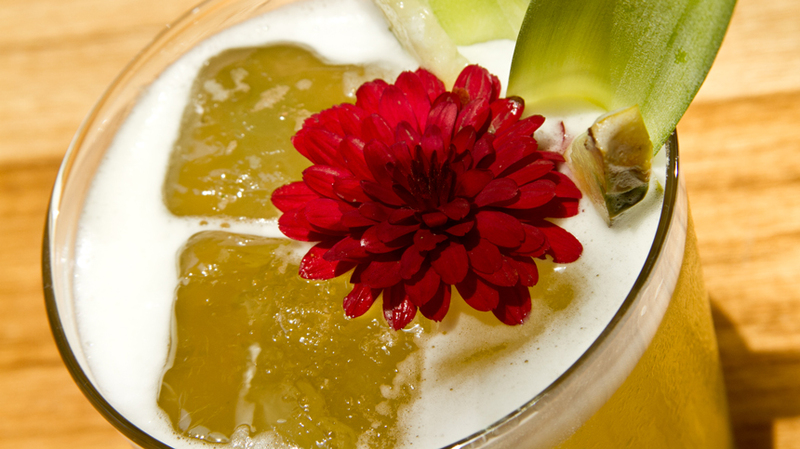 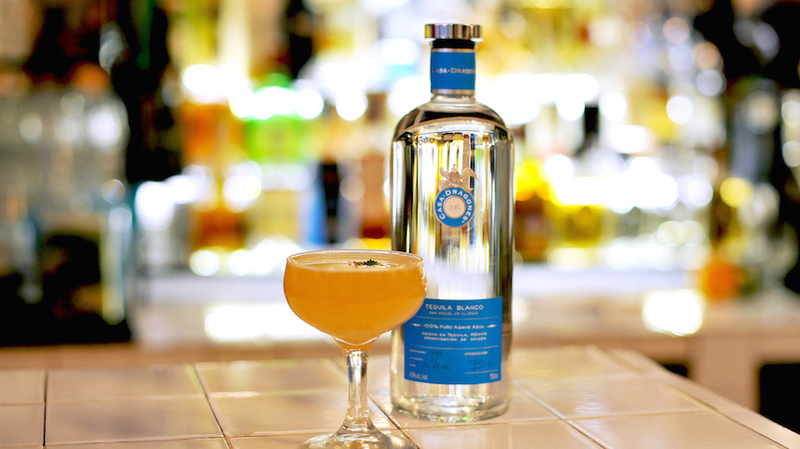 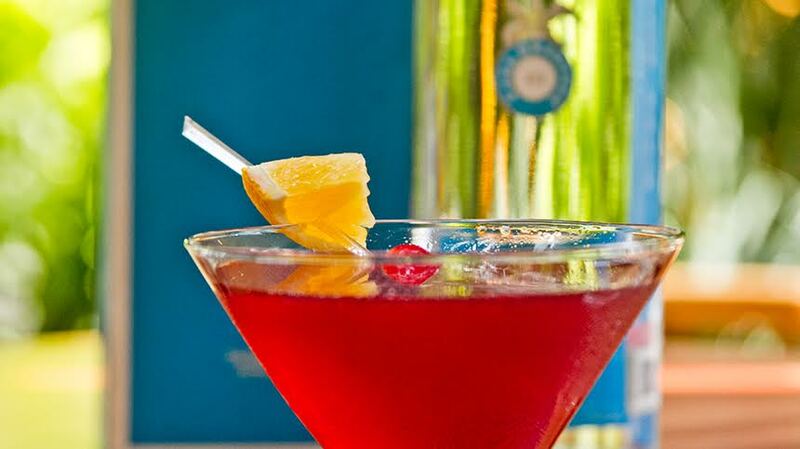 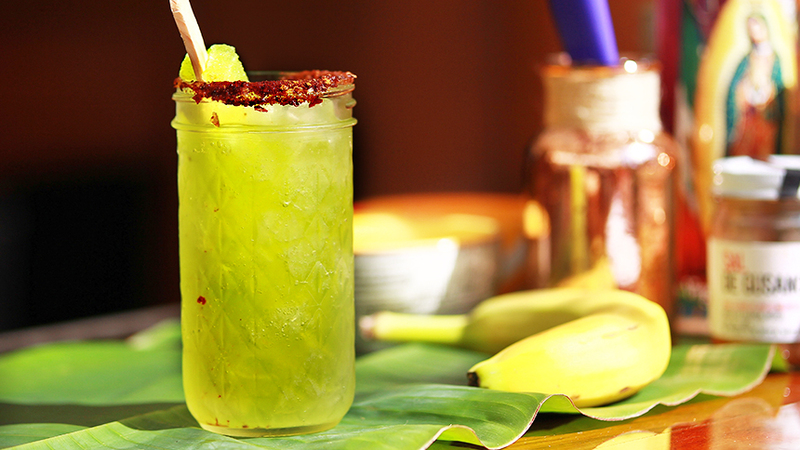 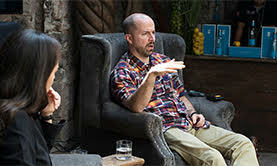 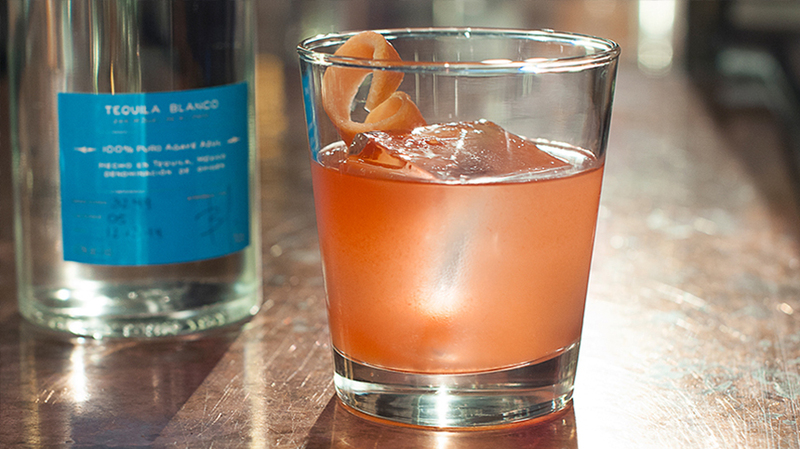 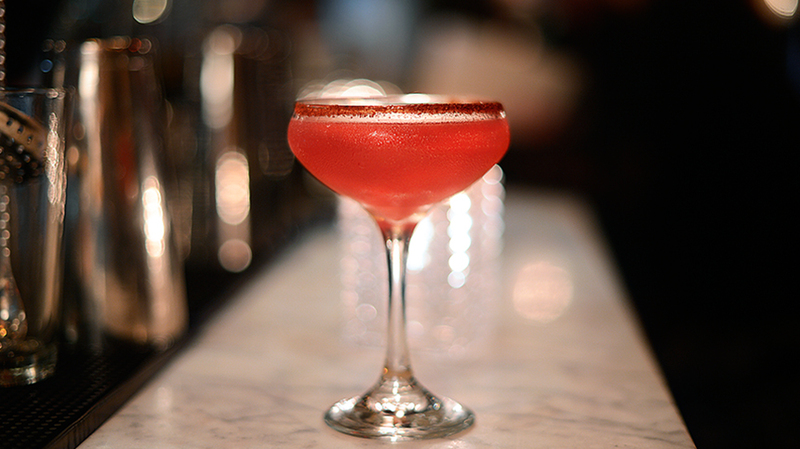 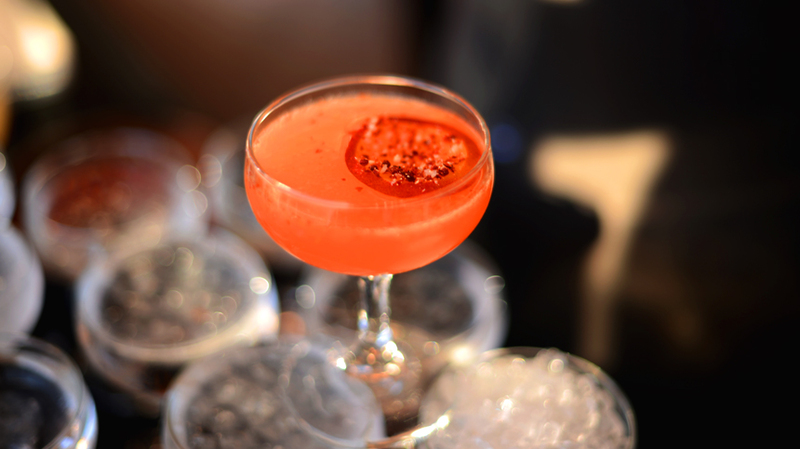 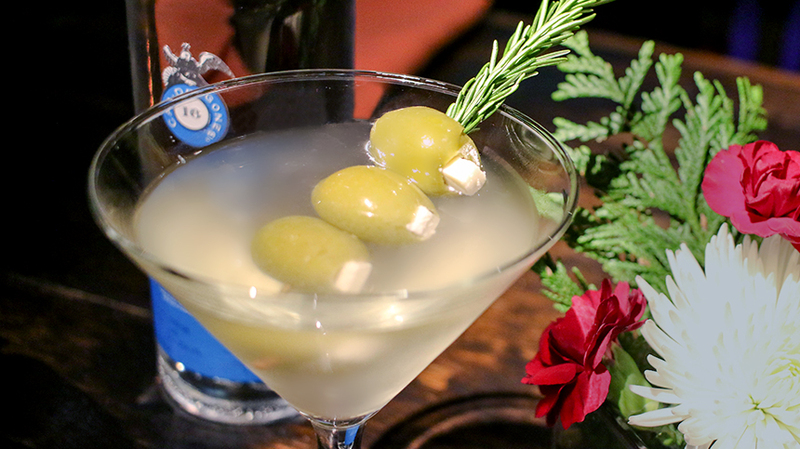 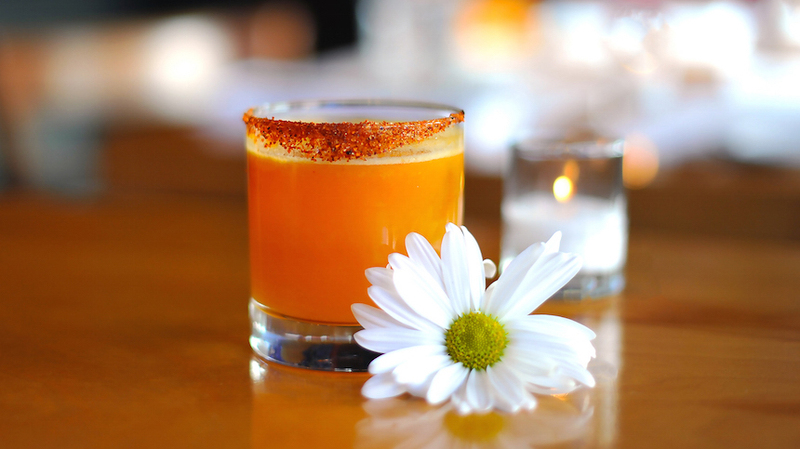 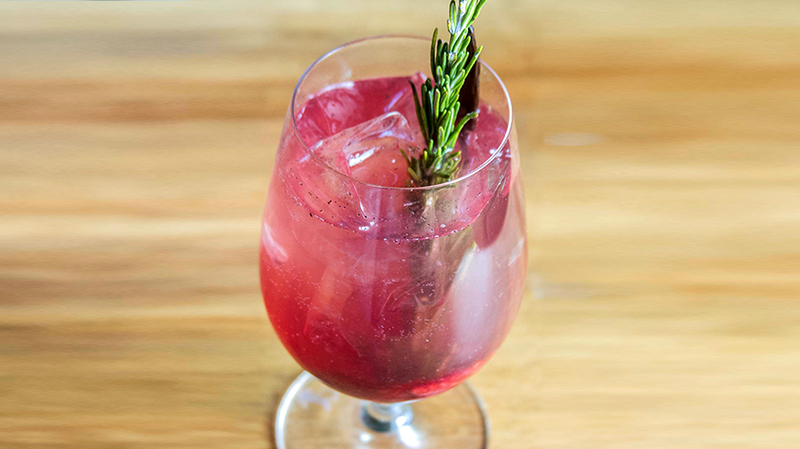 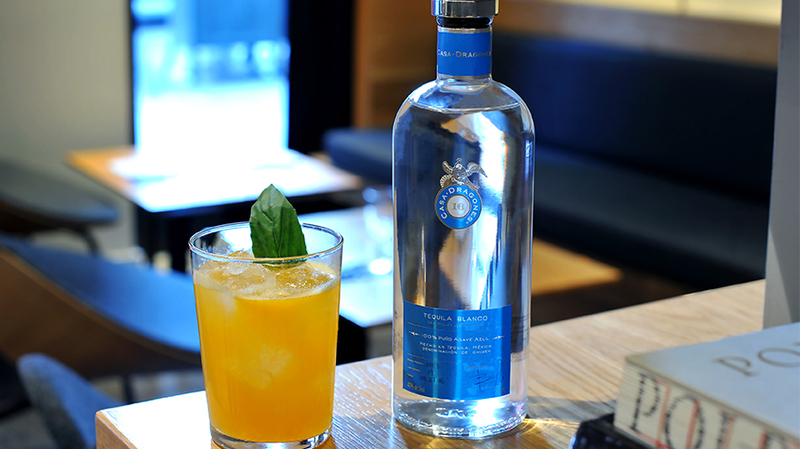 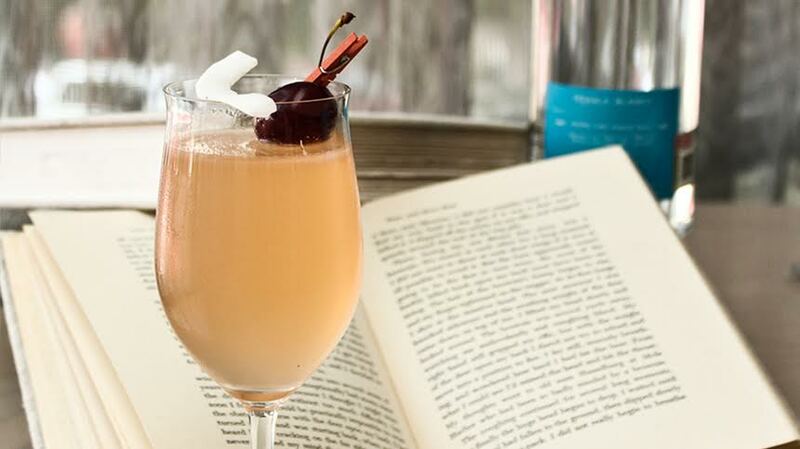 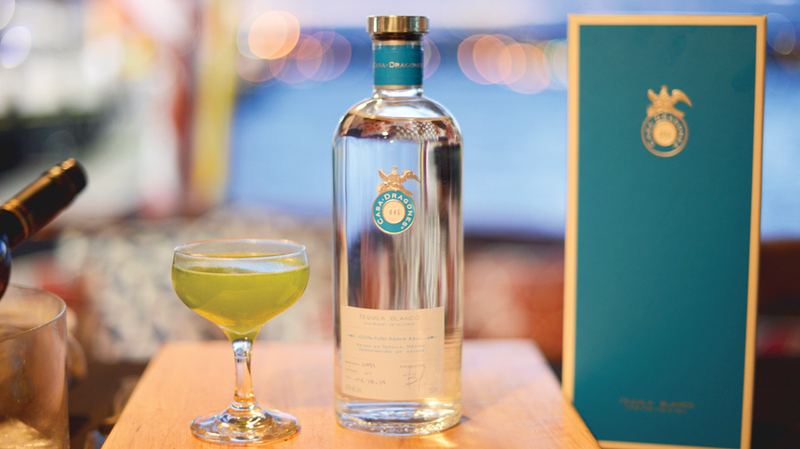 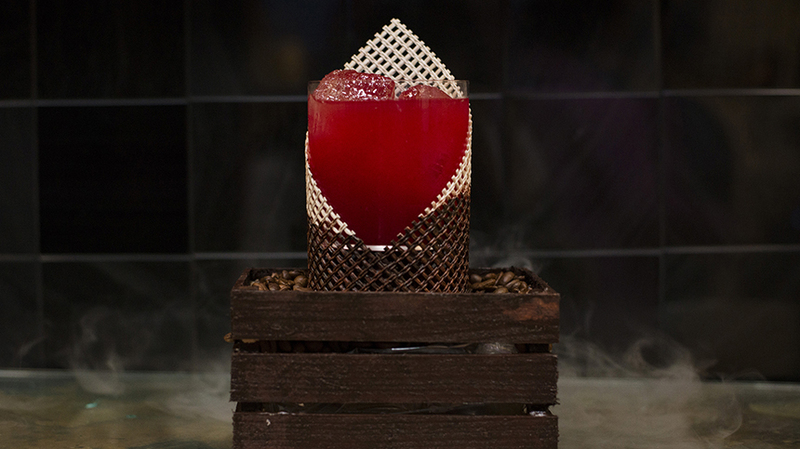 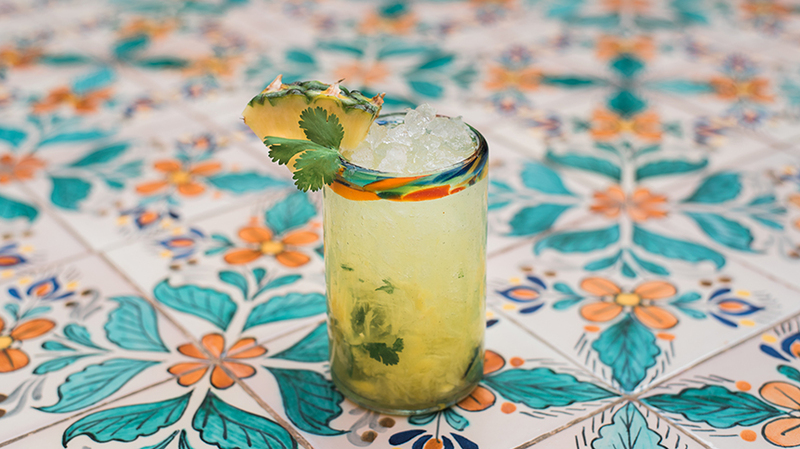 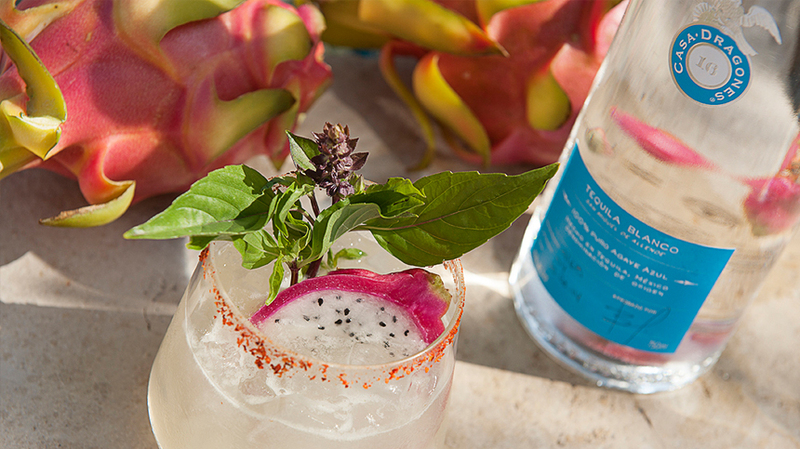 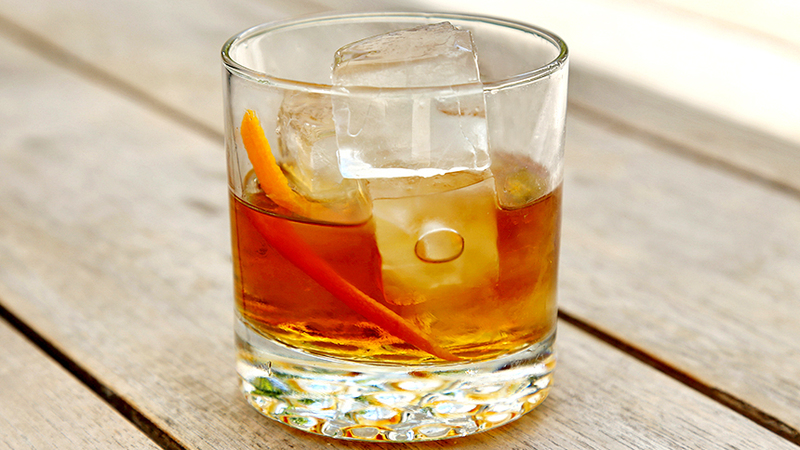 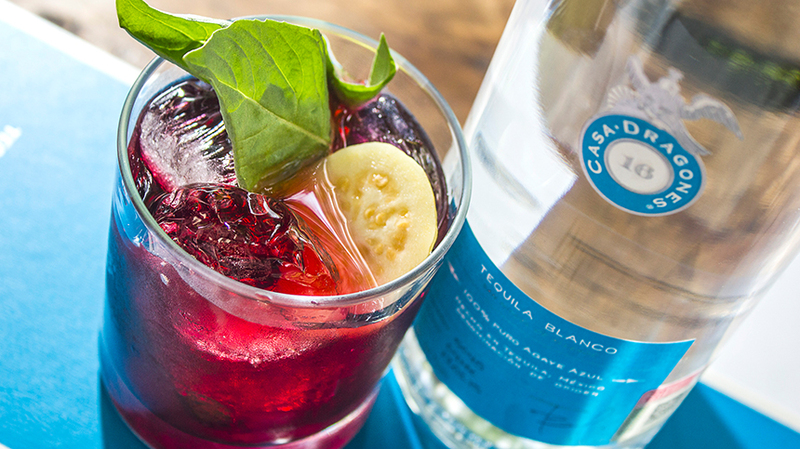 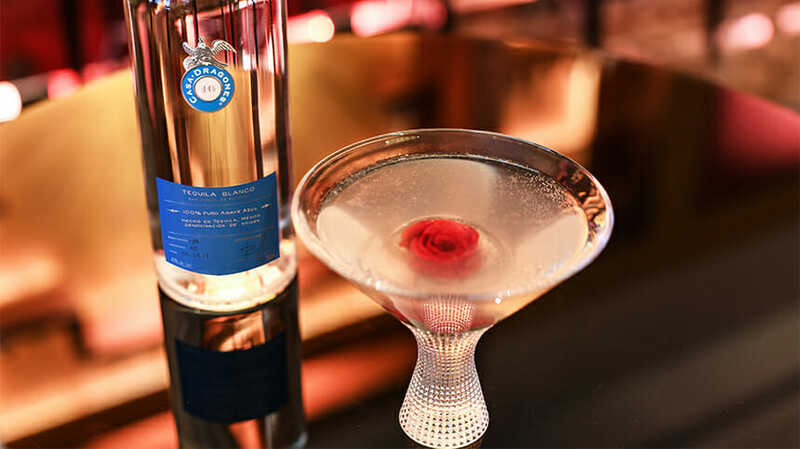 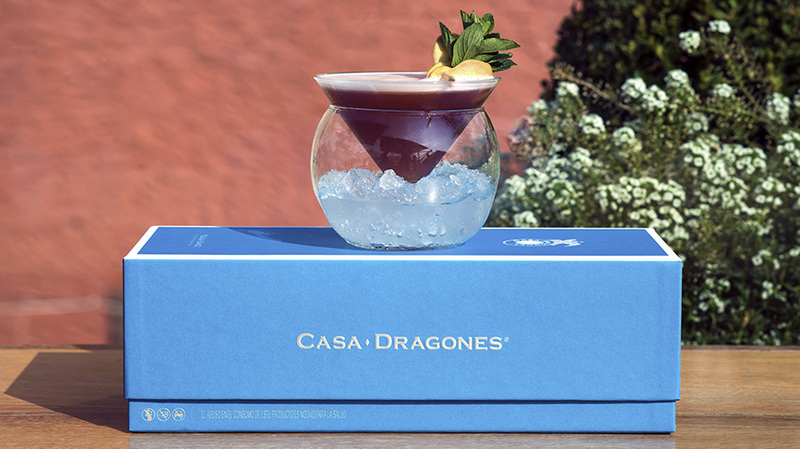 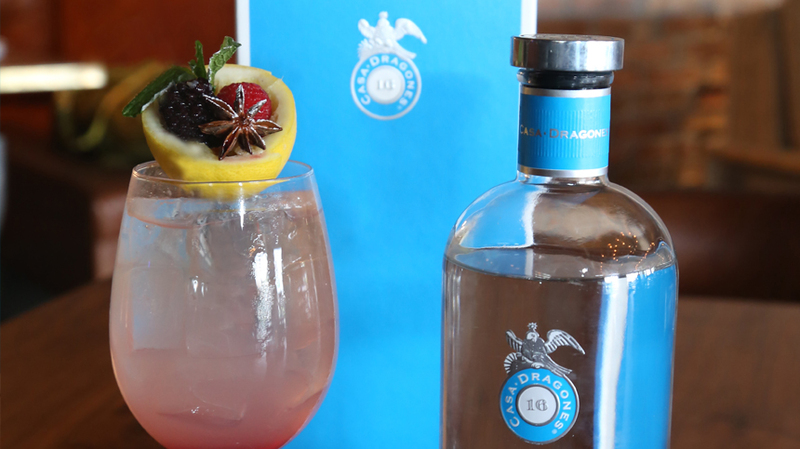 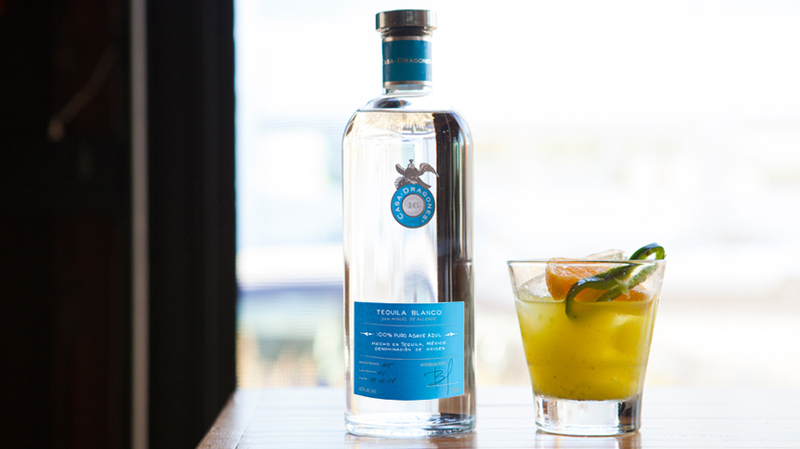 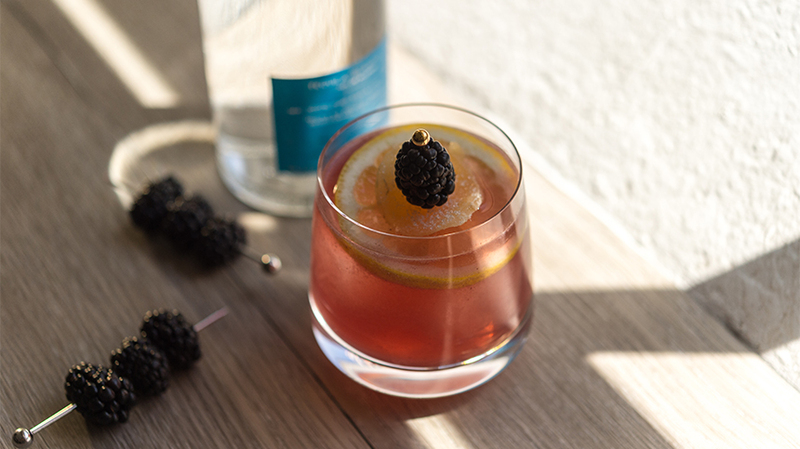 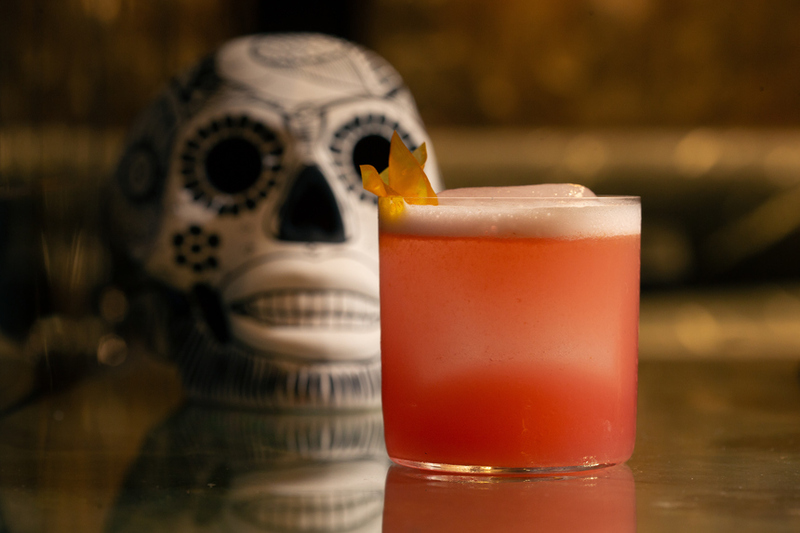 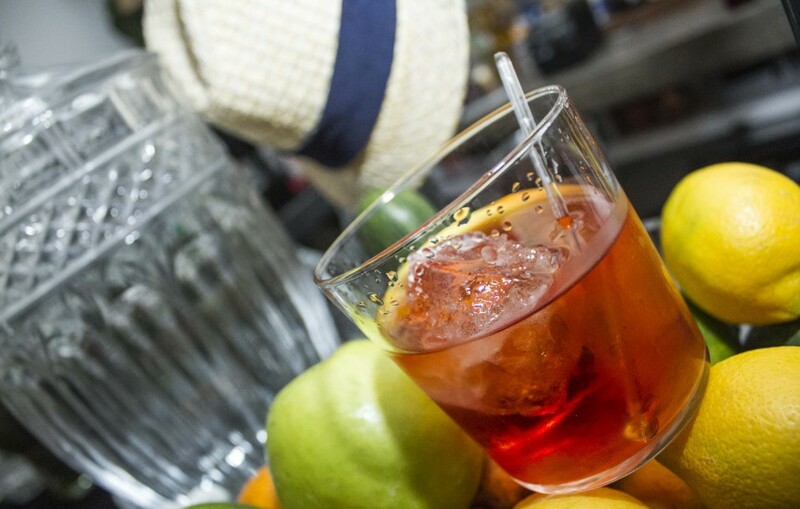 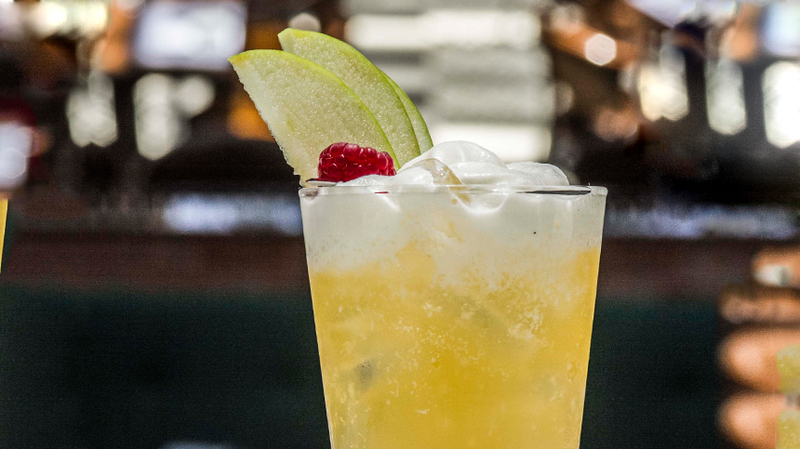 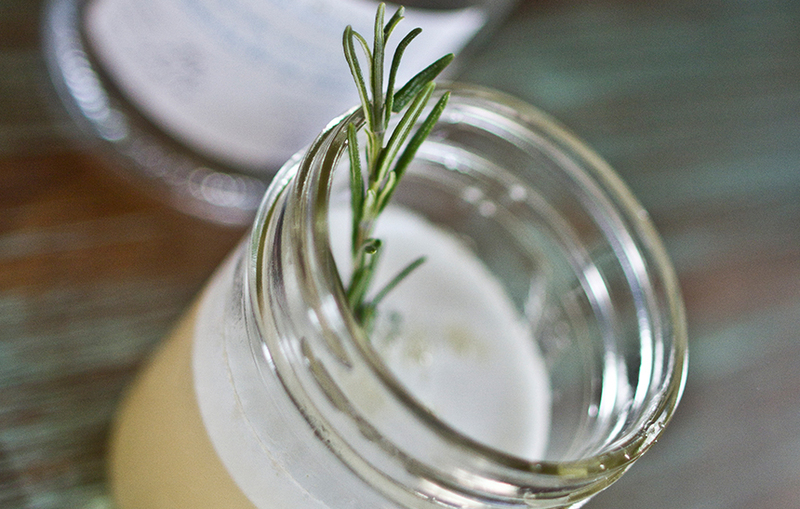 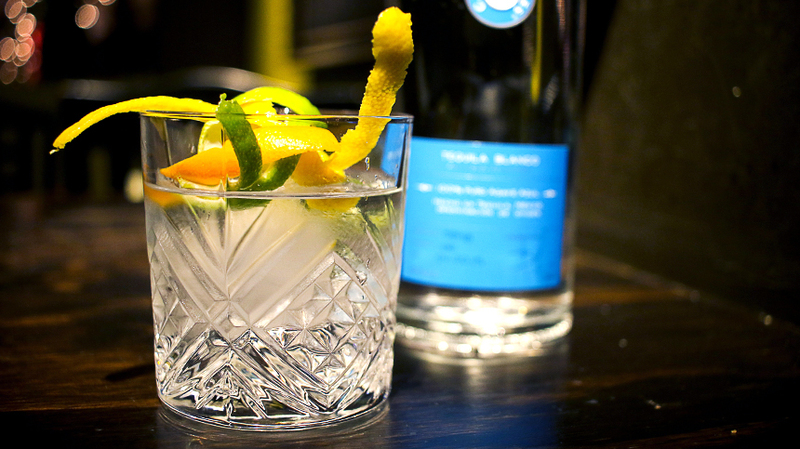 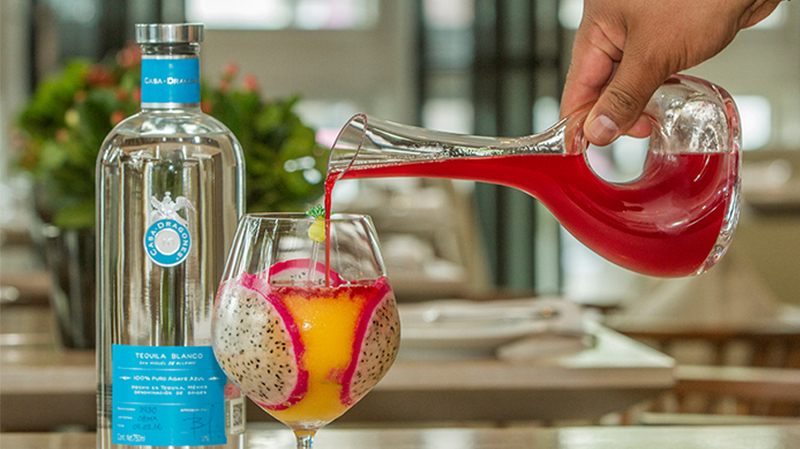 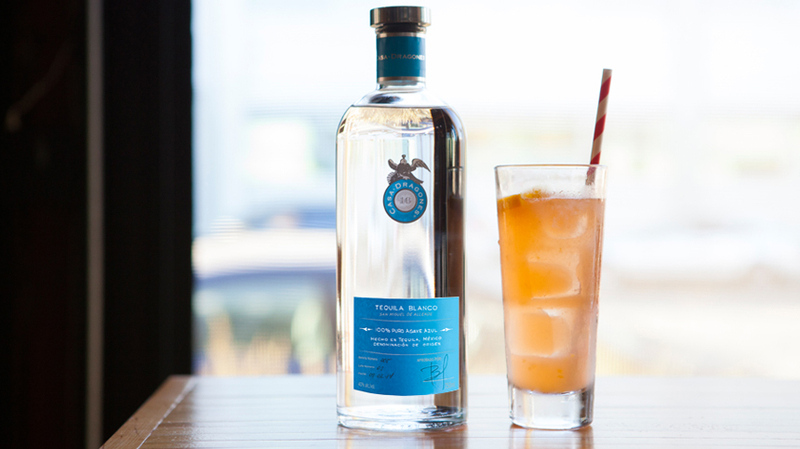 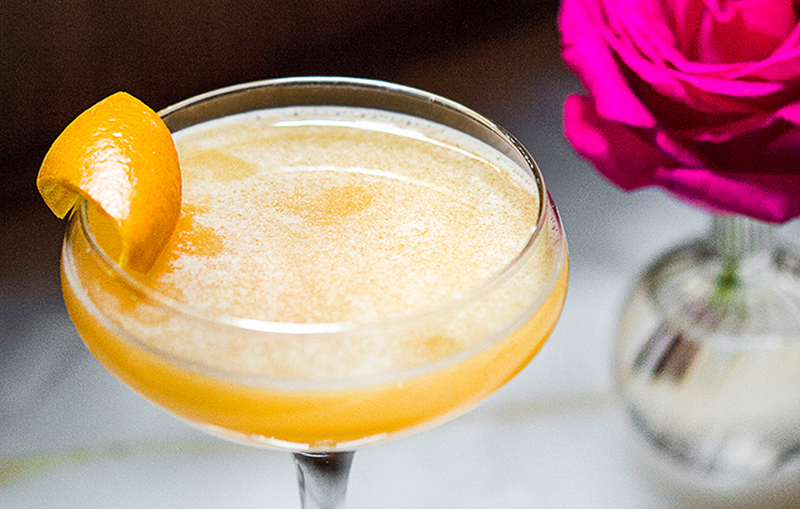 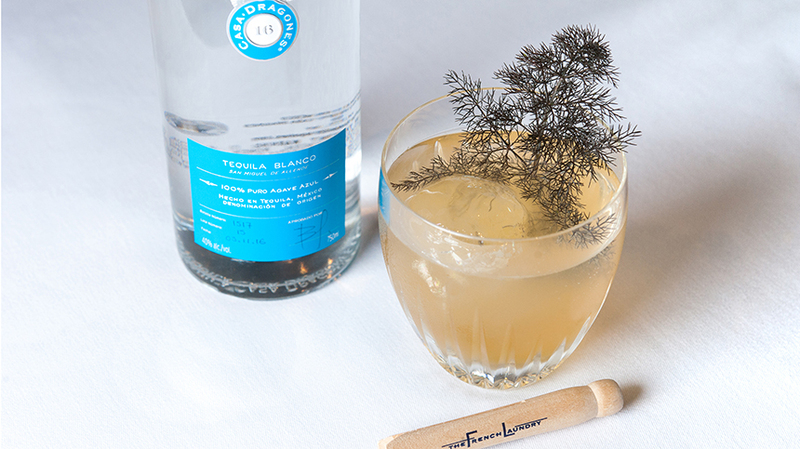 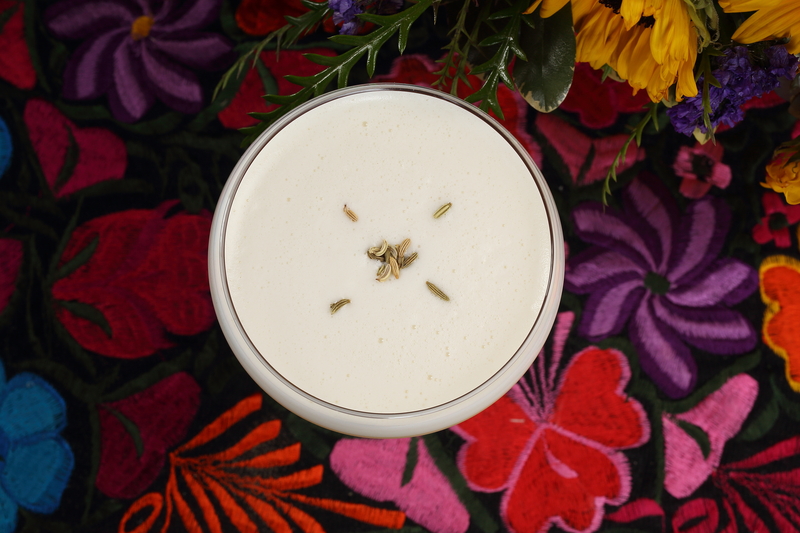 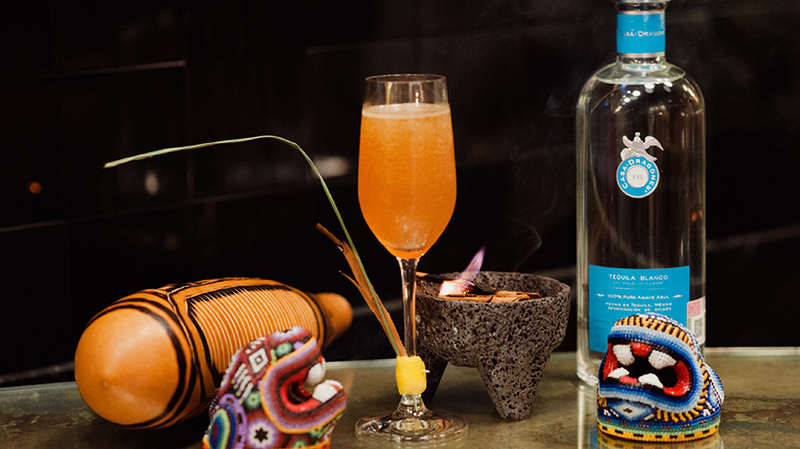 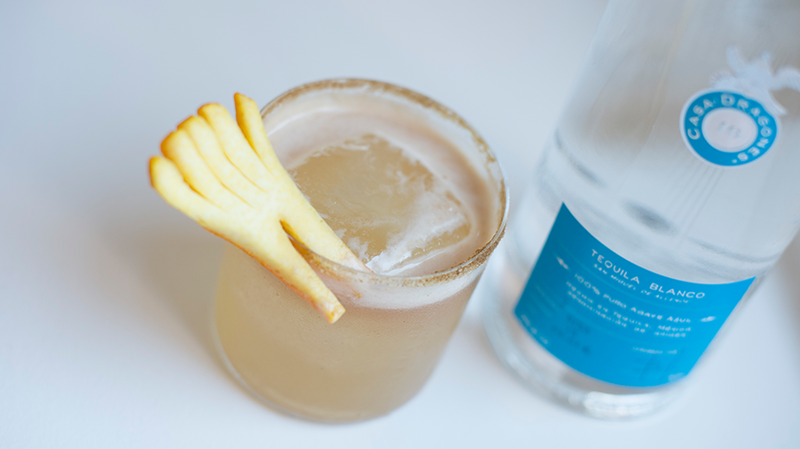 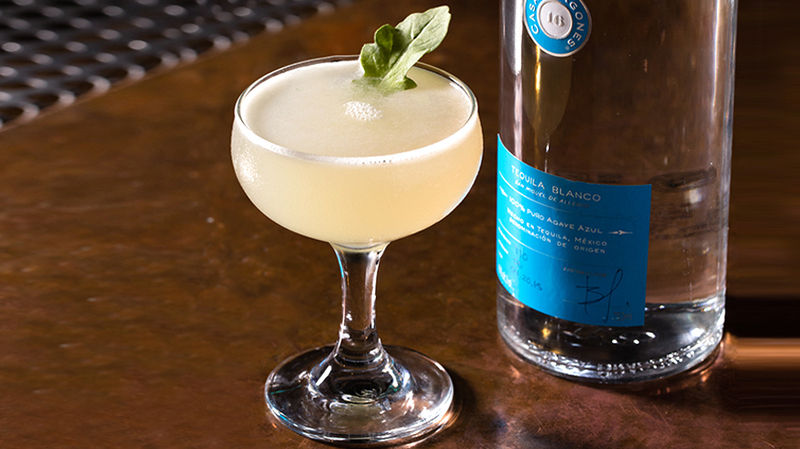 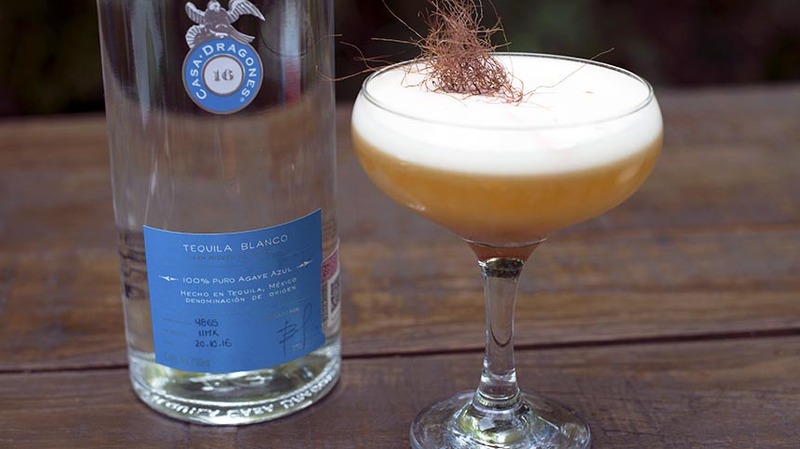 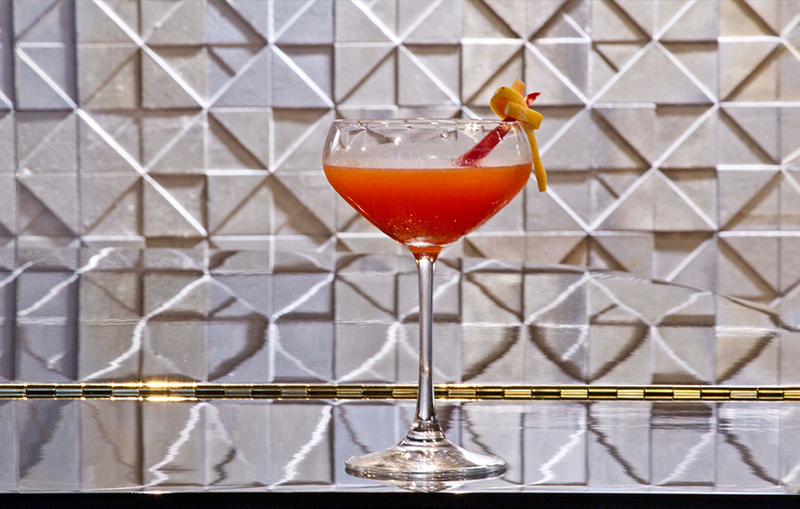 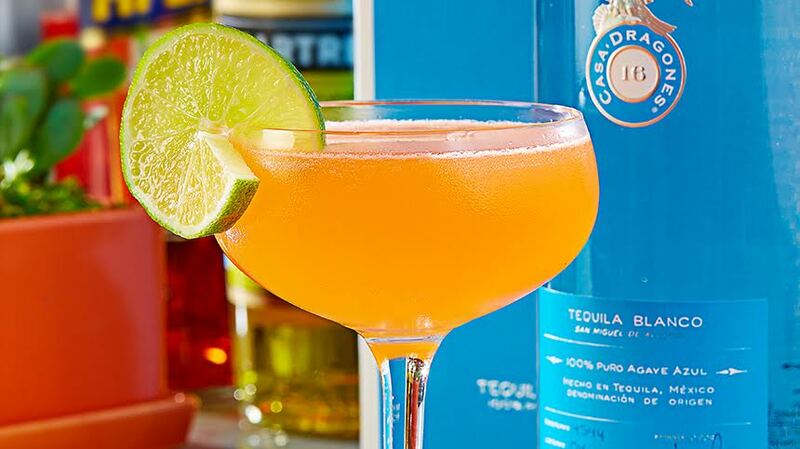 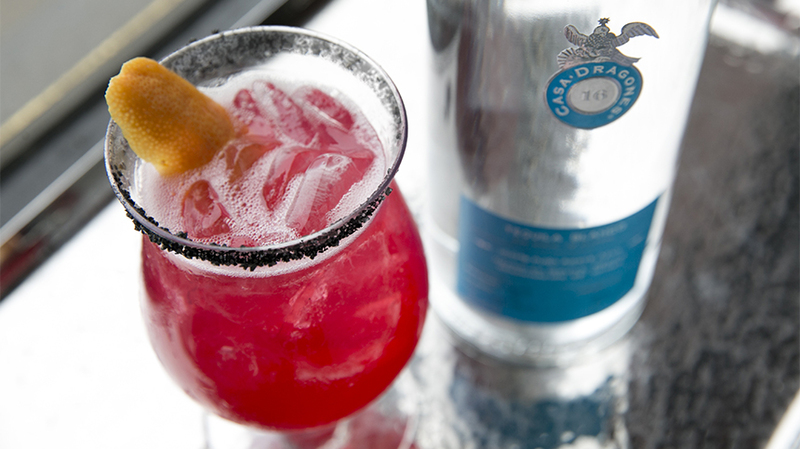 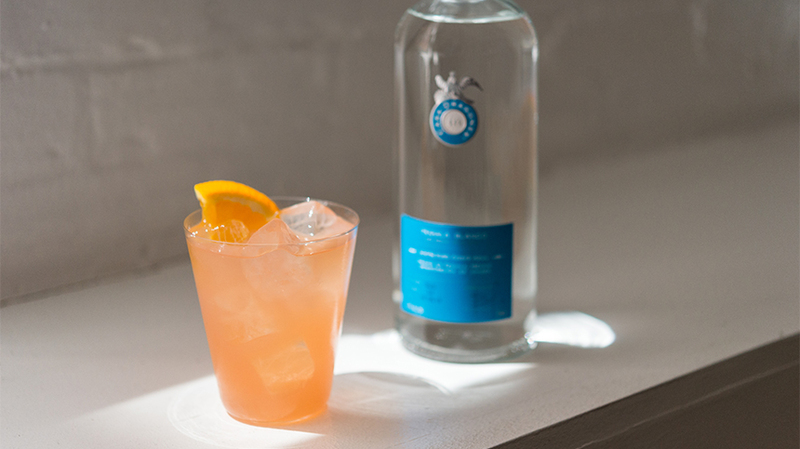 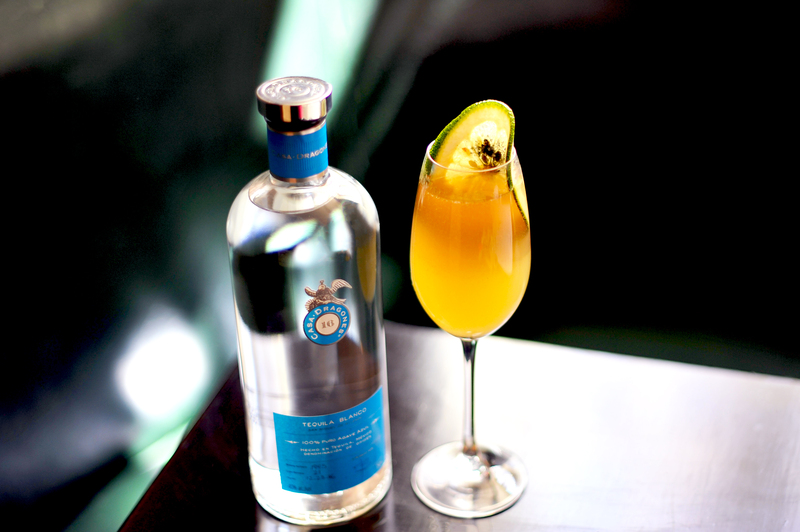 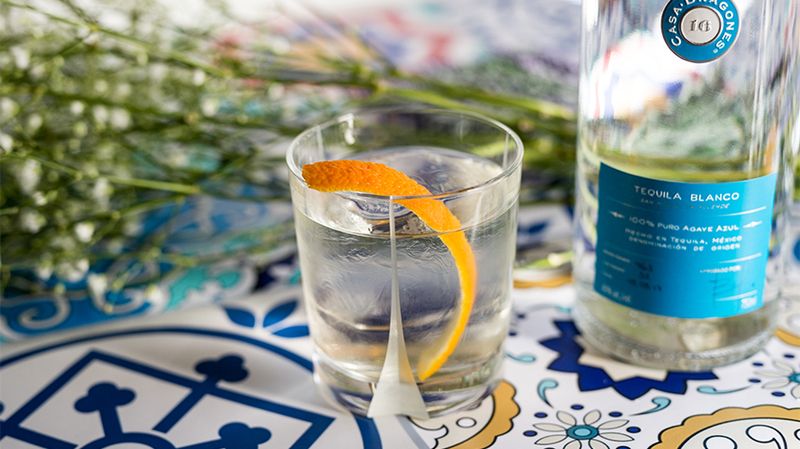 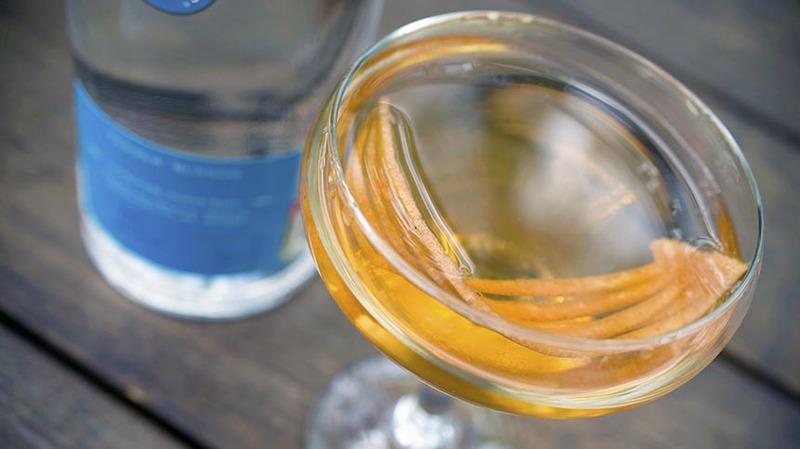 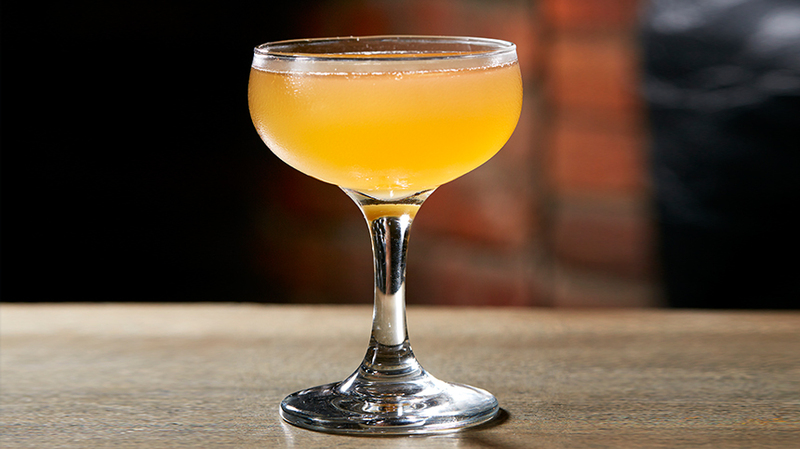 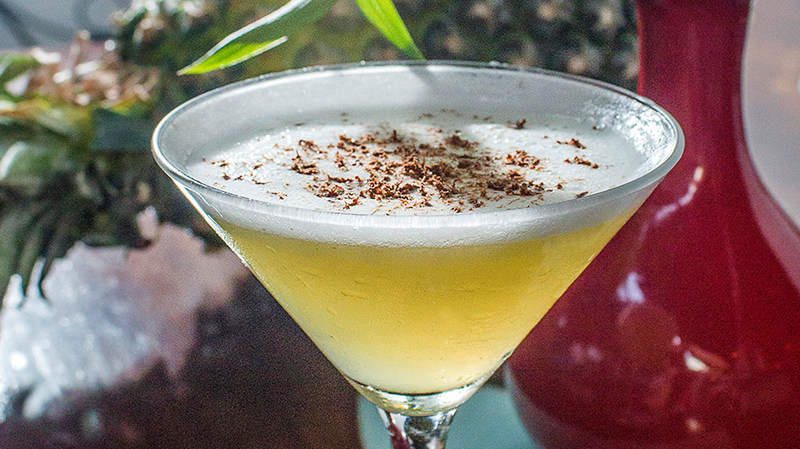 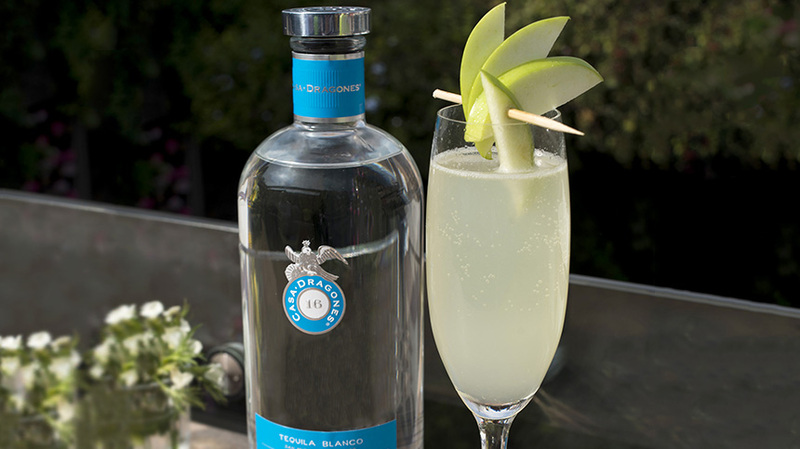 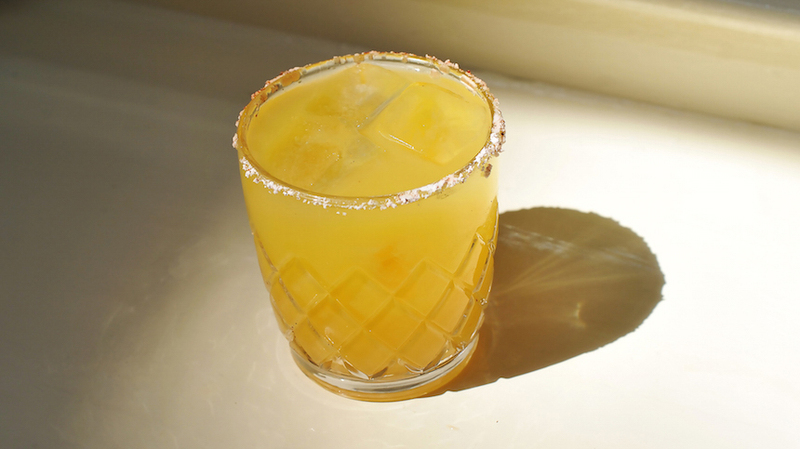 Inspired by the herbaceous notes of Tequila Casa Dragones, Ulysses Vidal, mixologist at Employees Only, creates a cocktail by building tropical flavor and acidity around the many flavorful facets of the Casa Dragones Blanco in his signature “Unrestricted” cocktail. 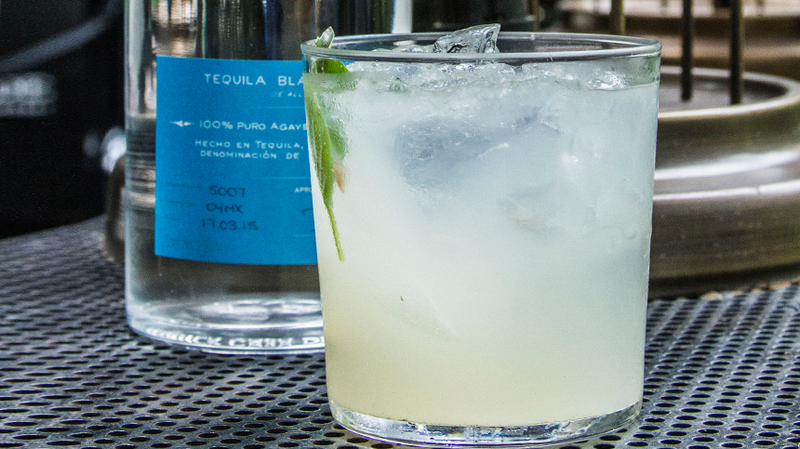 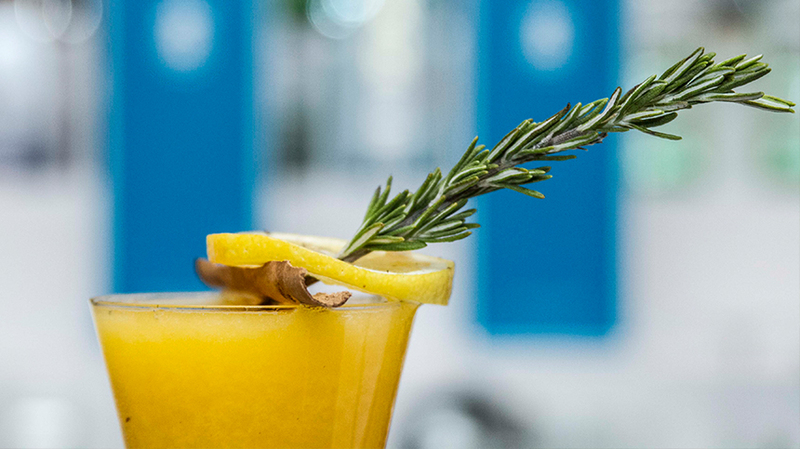 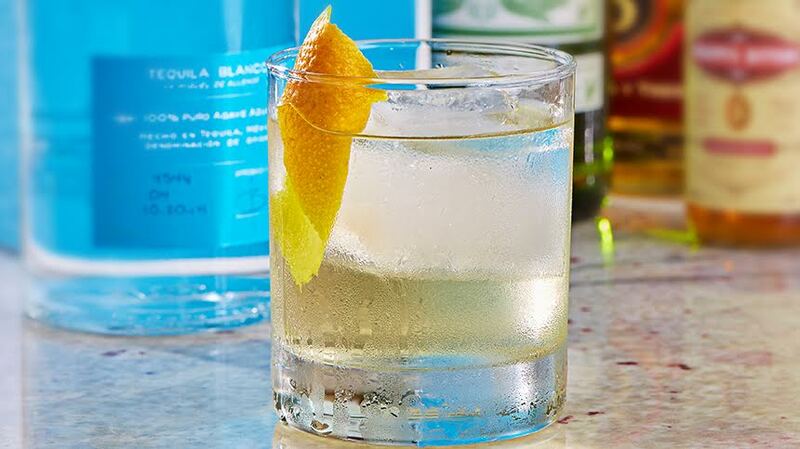 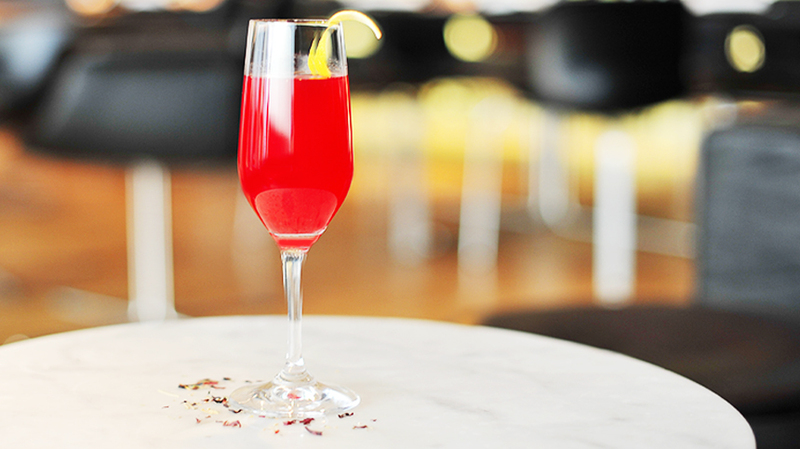 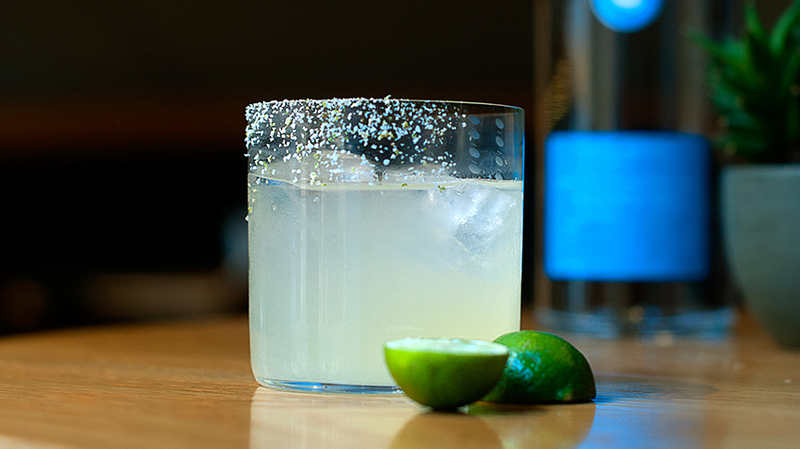 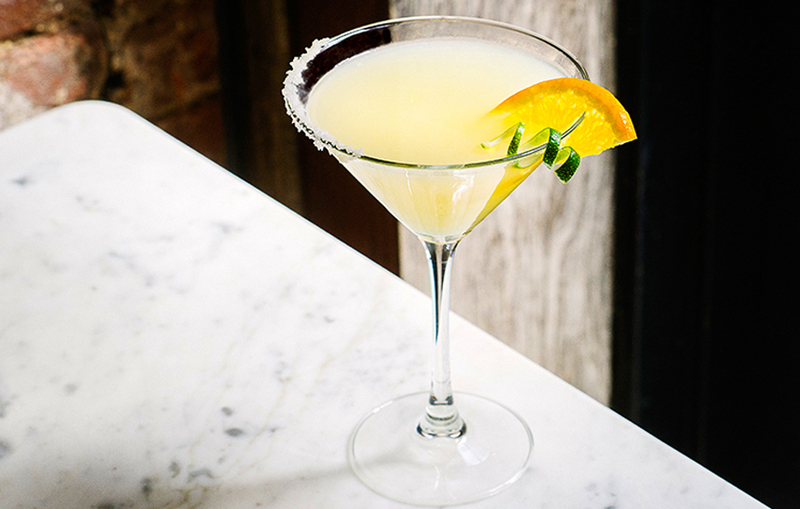 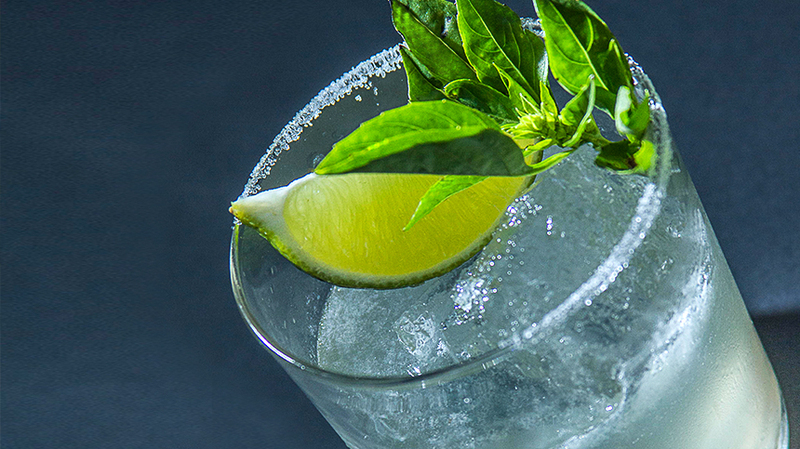 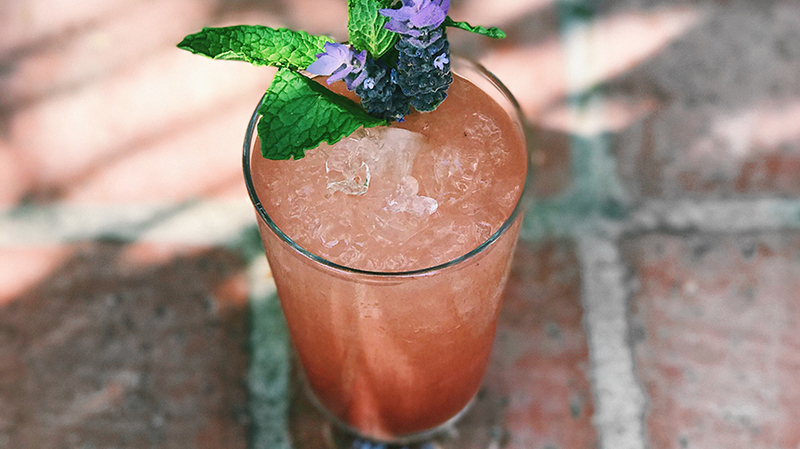 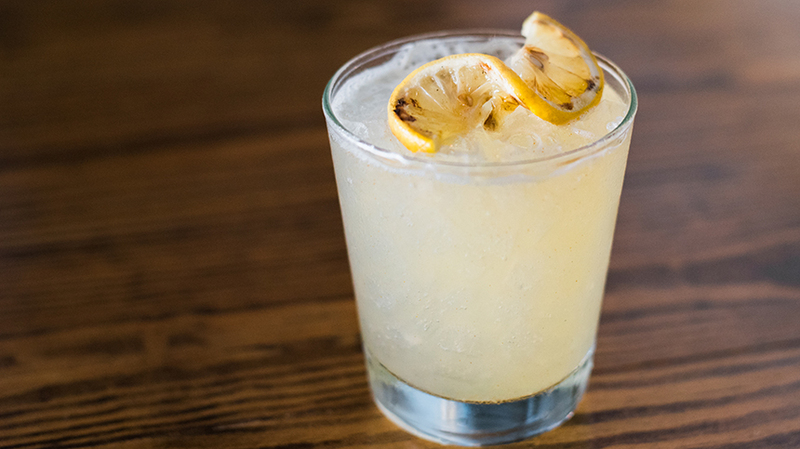 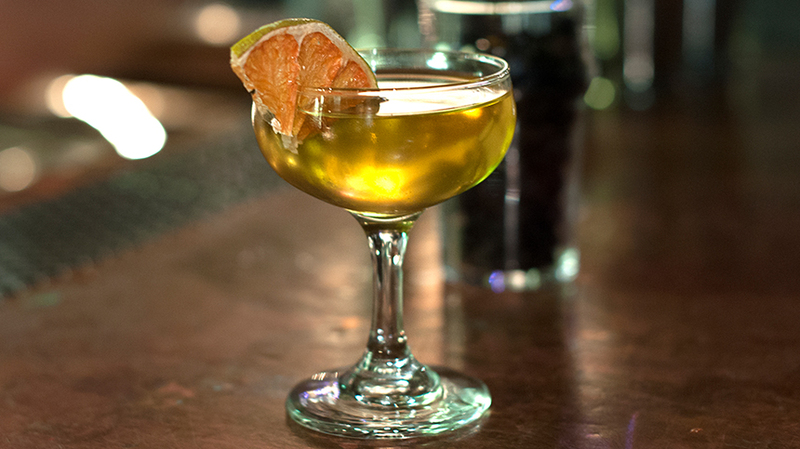 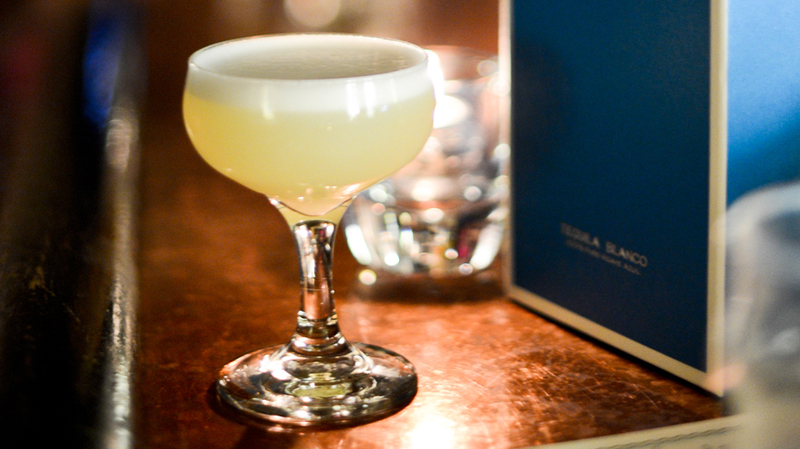 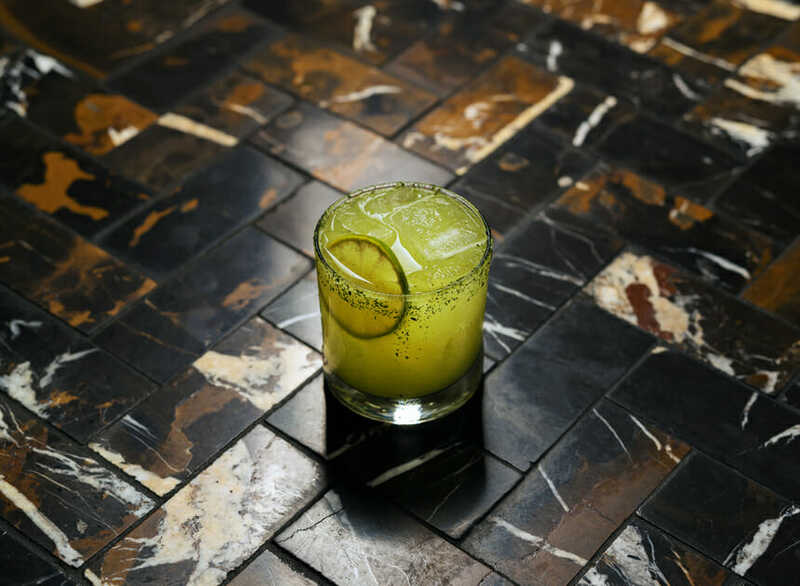 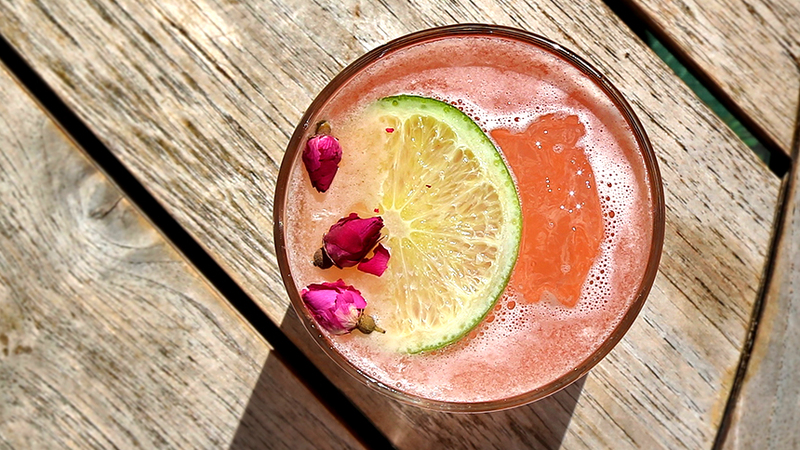 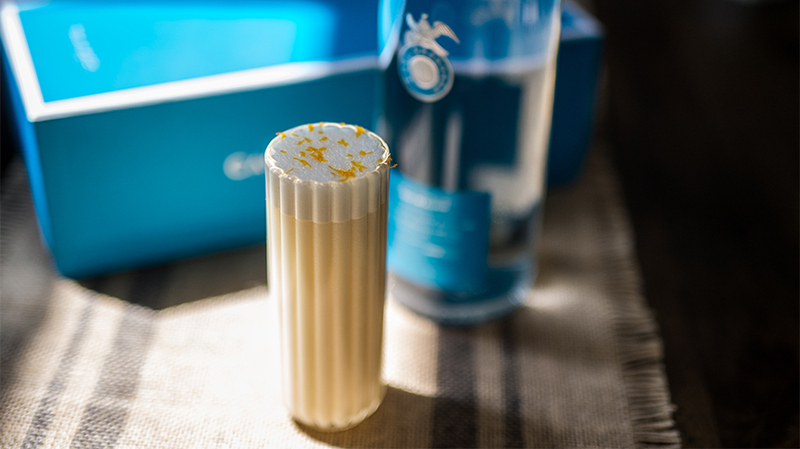 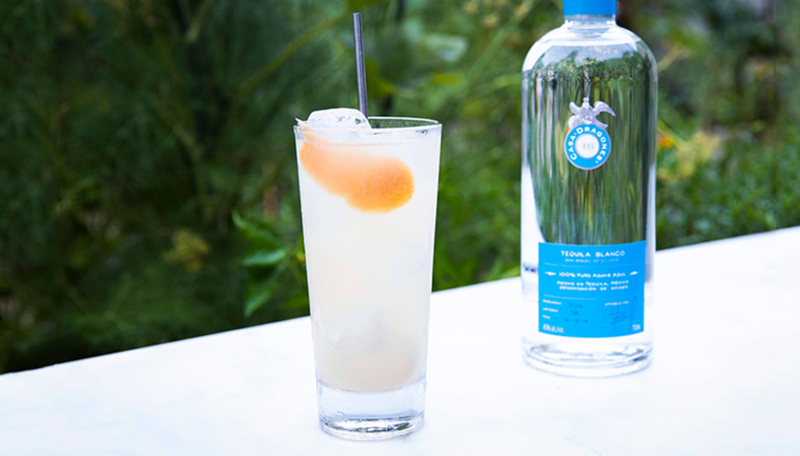 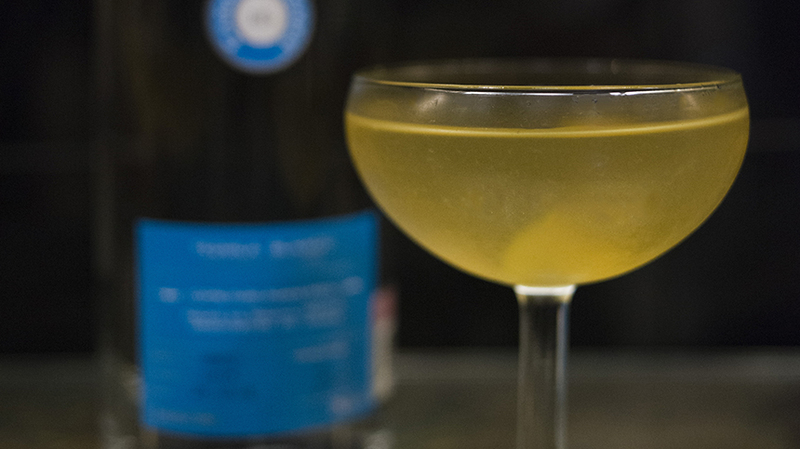 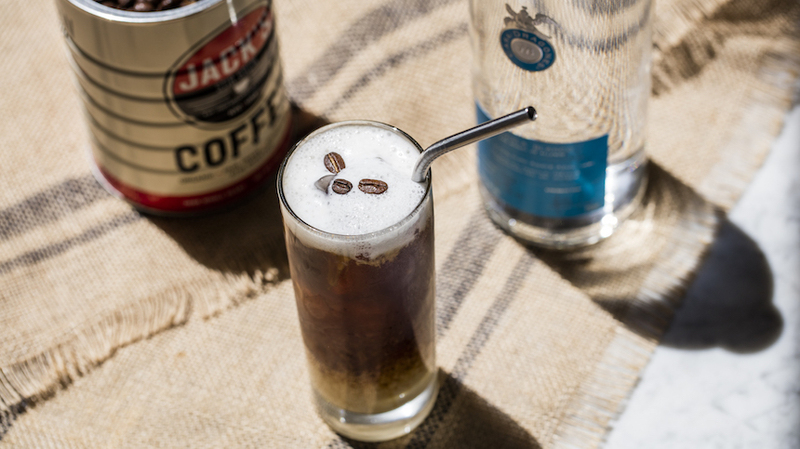 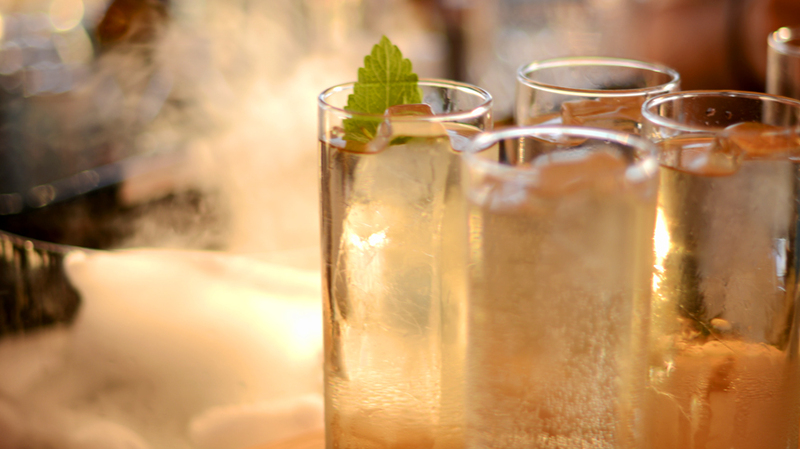 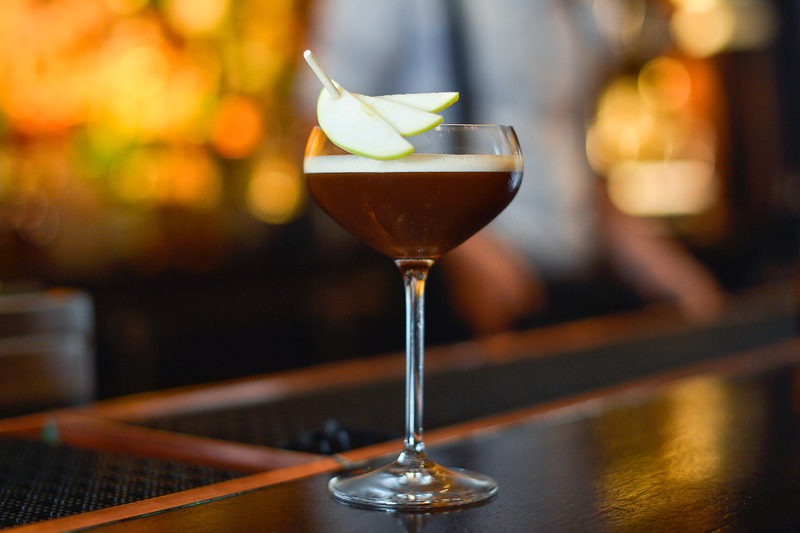 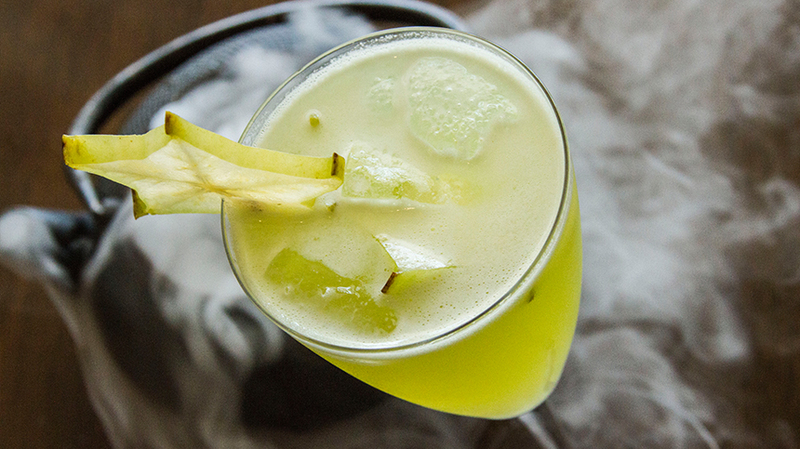 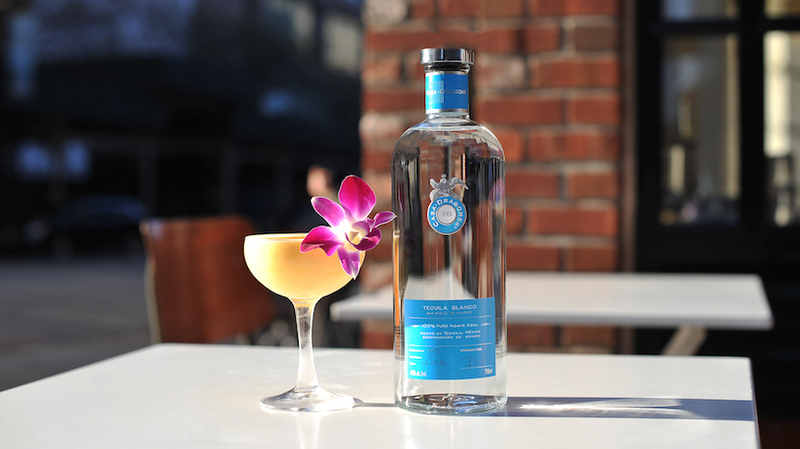 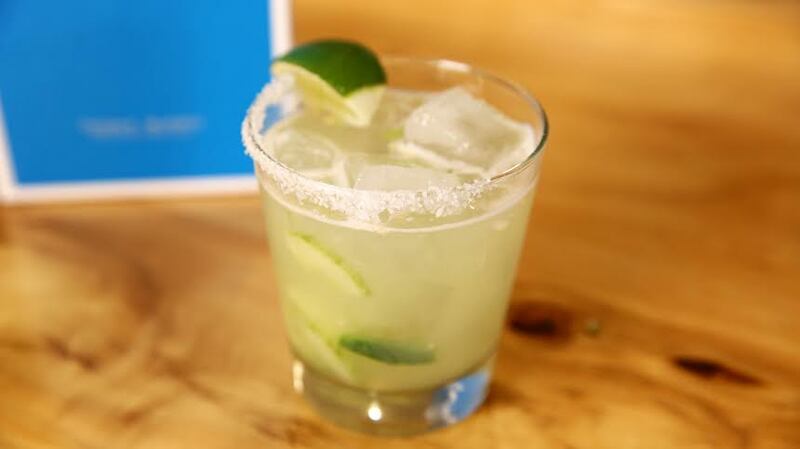 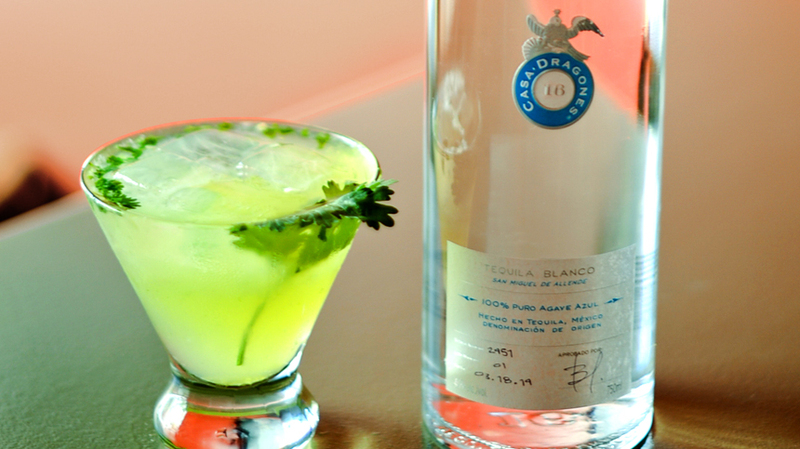 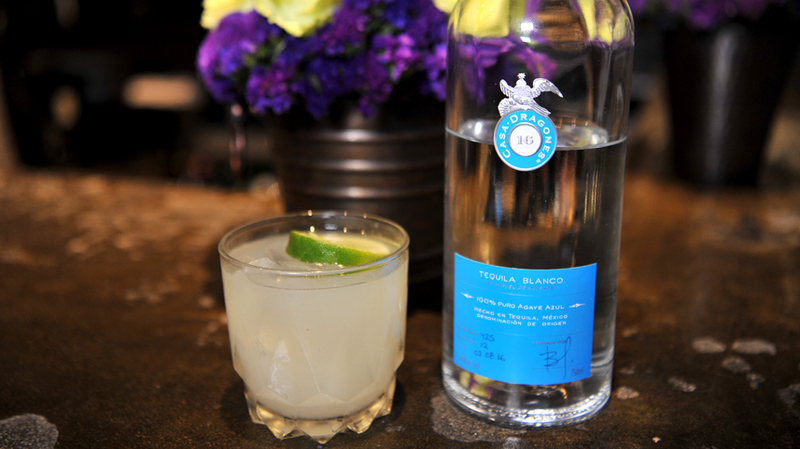 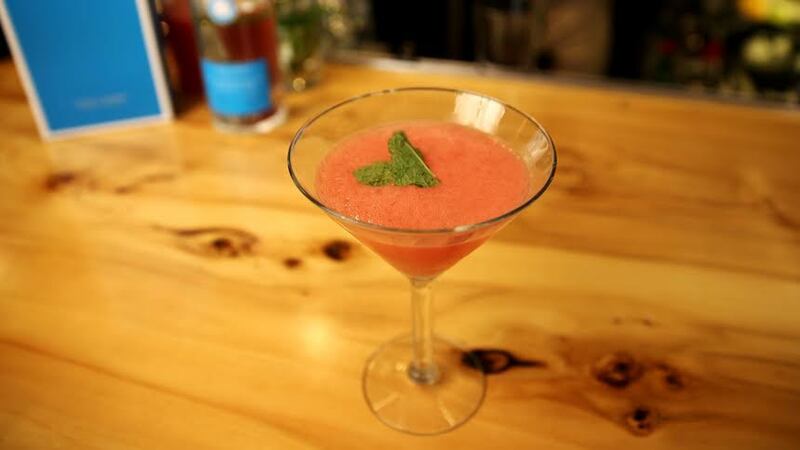 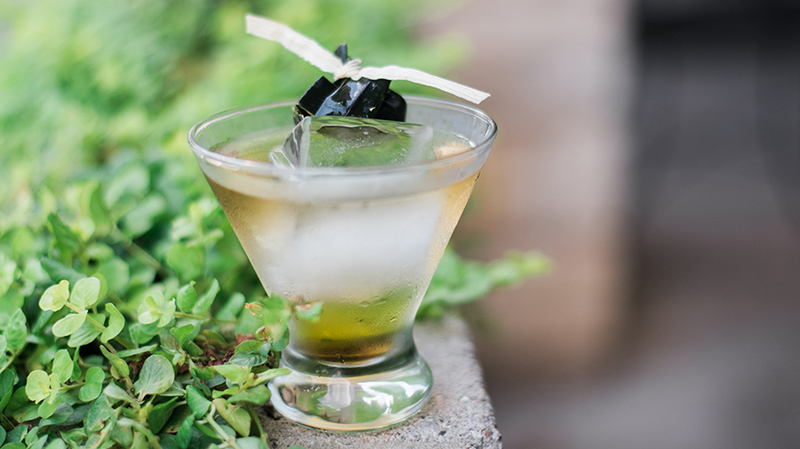 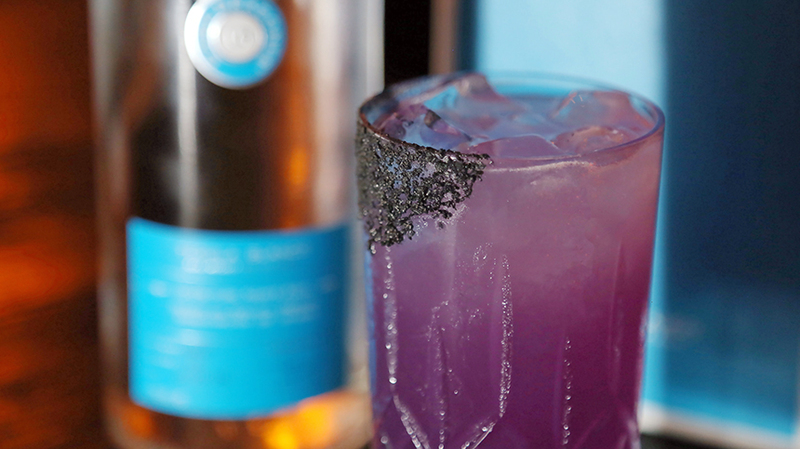 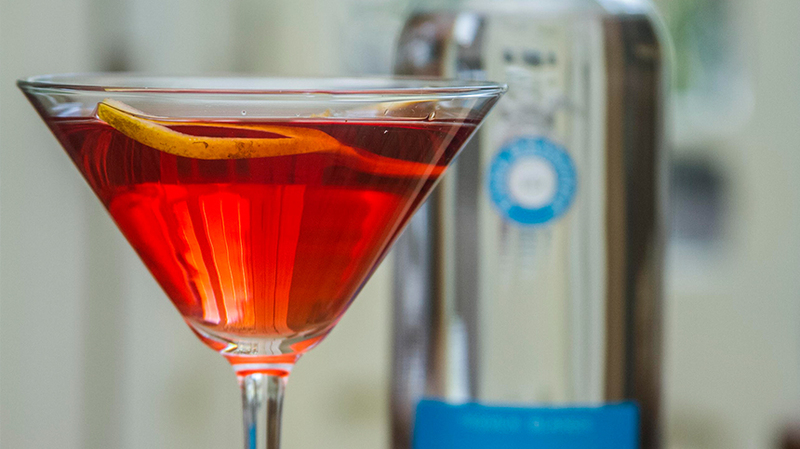 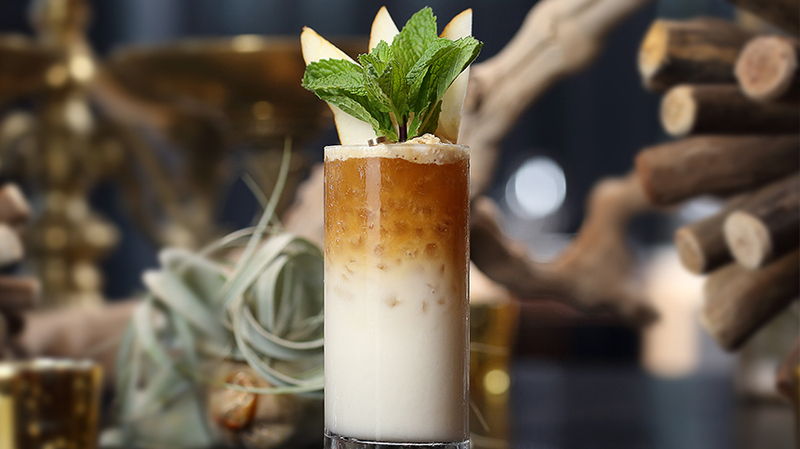 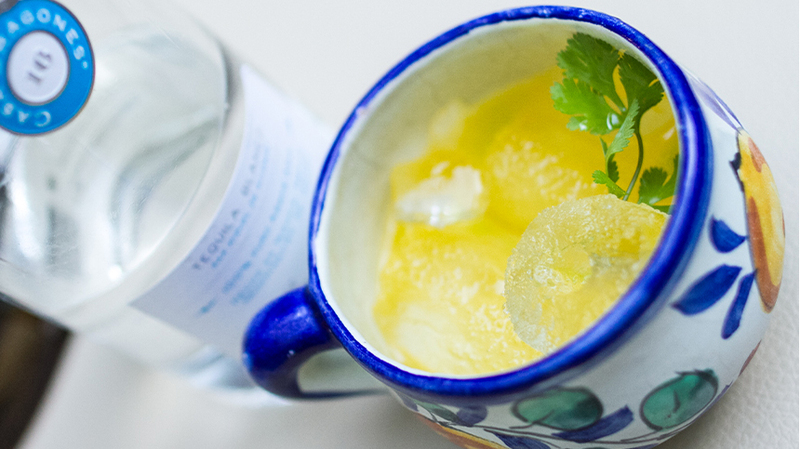 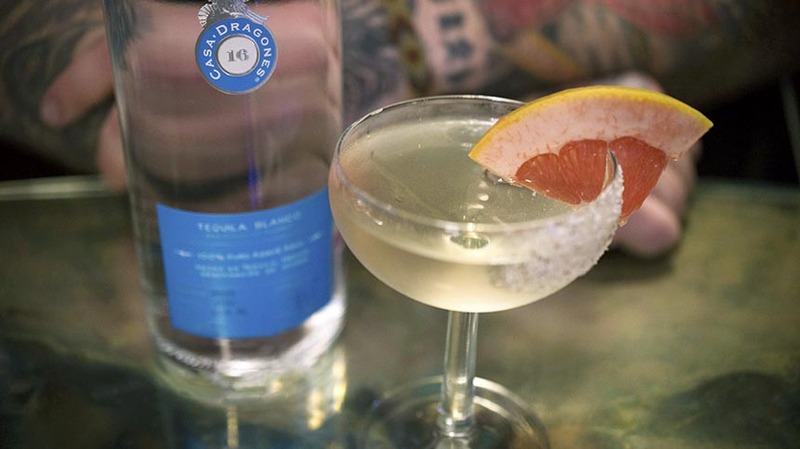 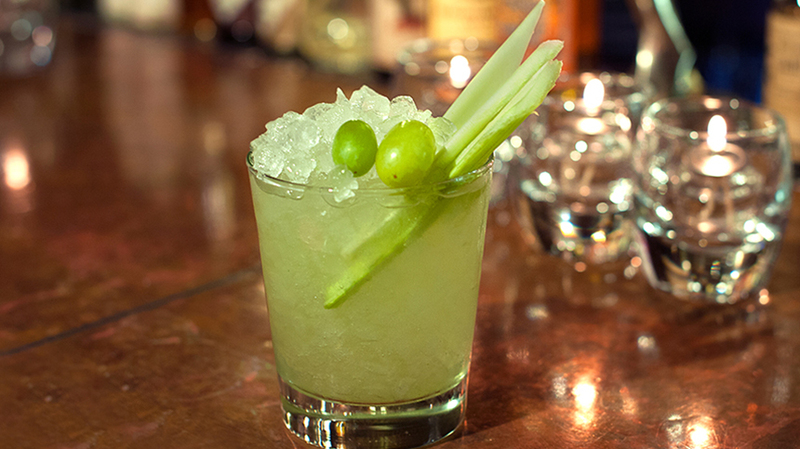 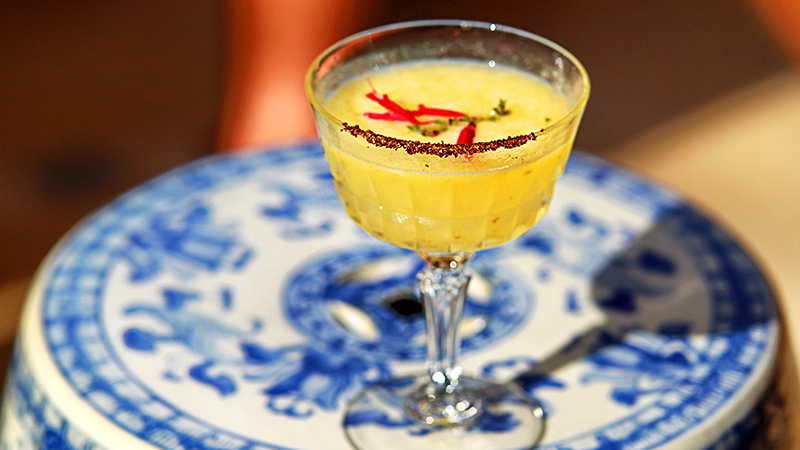 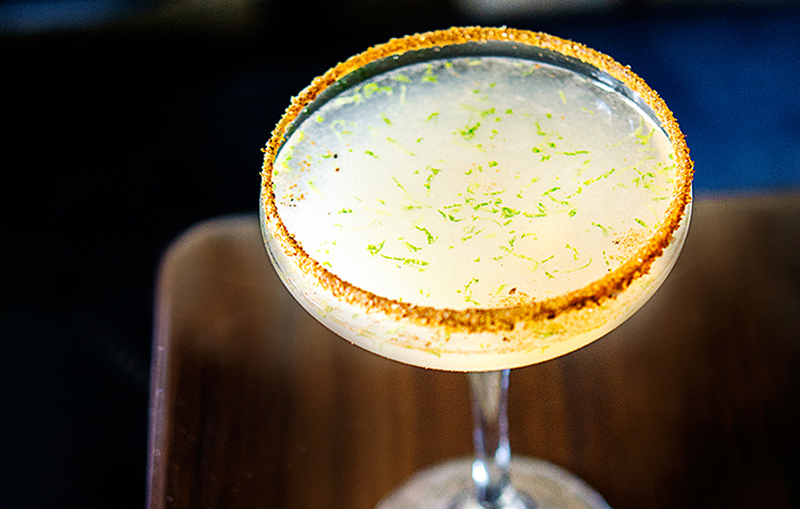 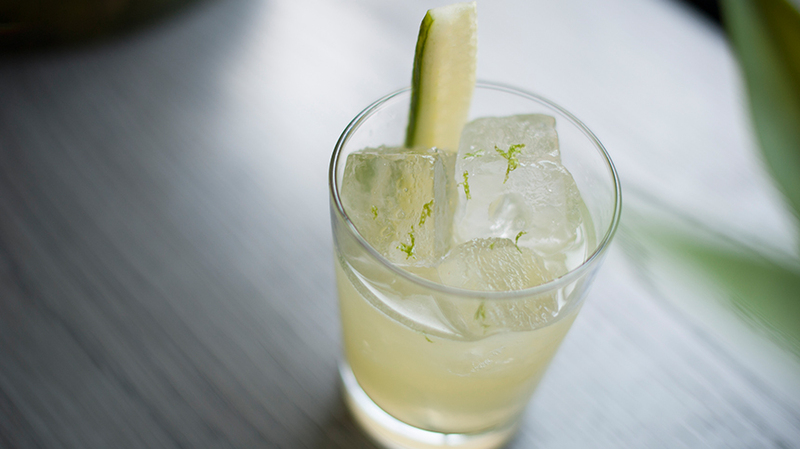 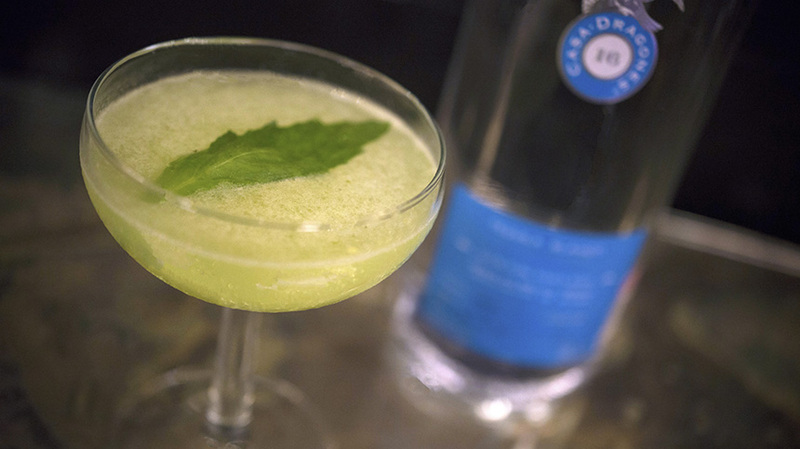 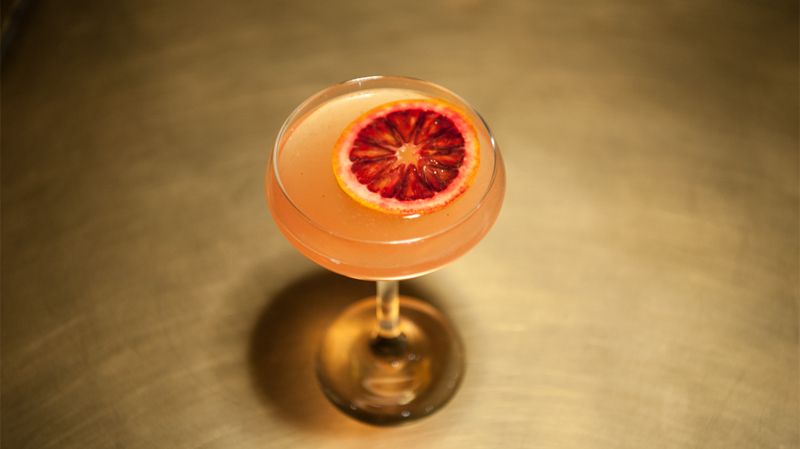 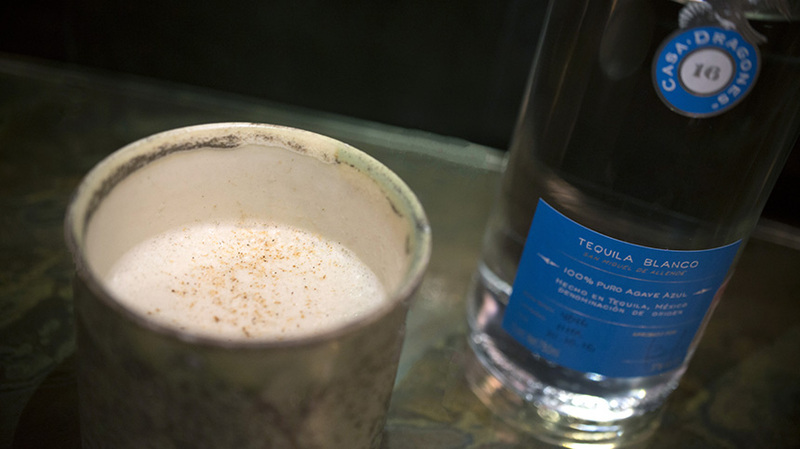 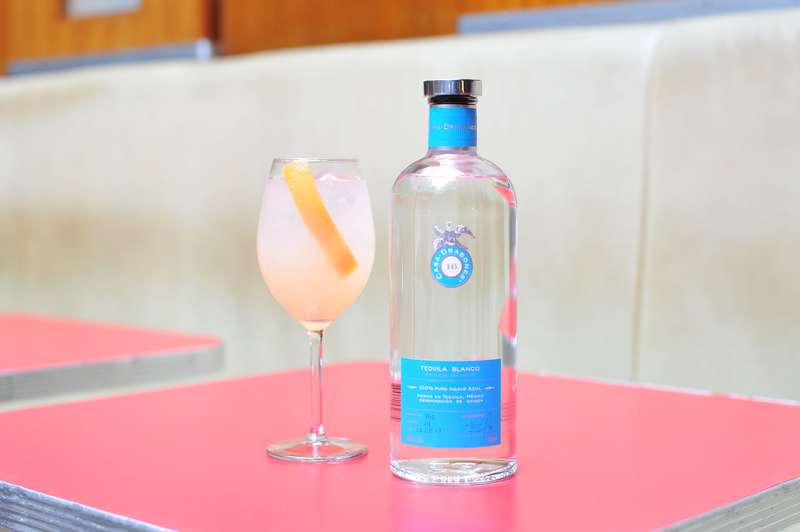 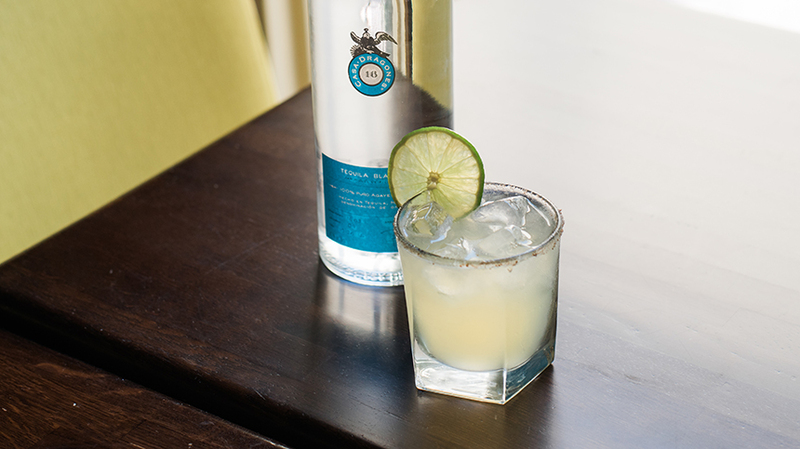 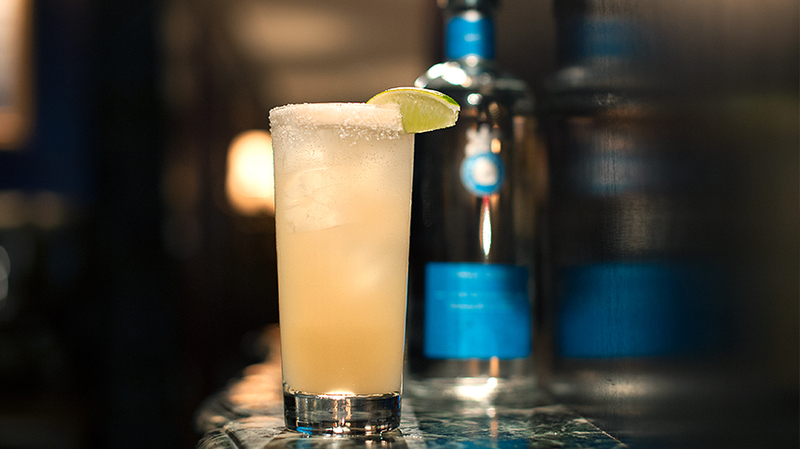 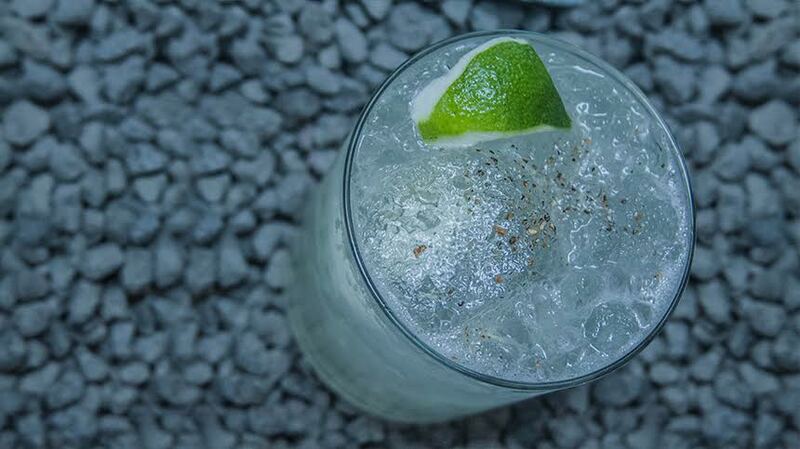 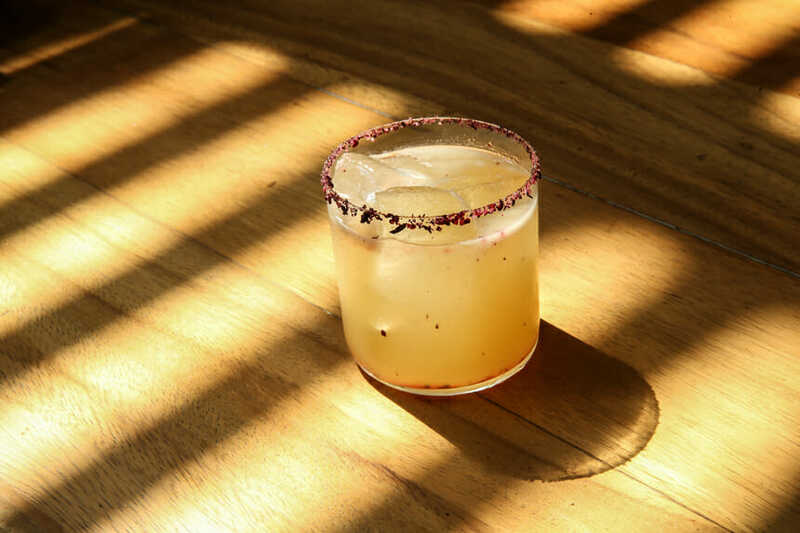 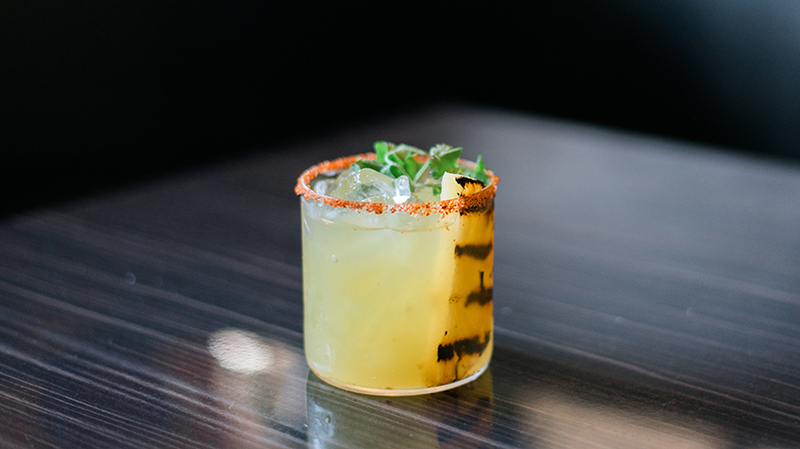 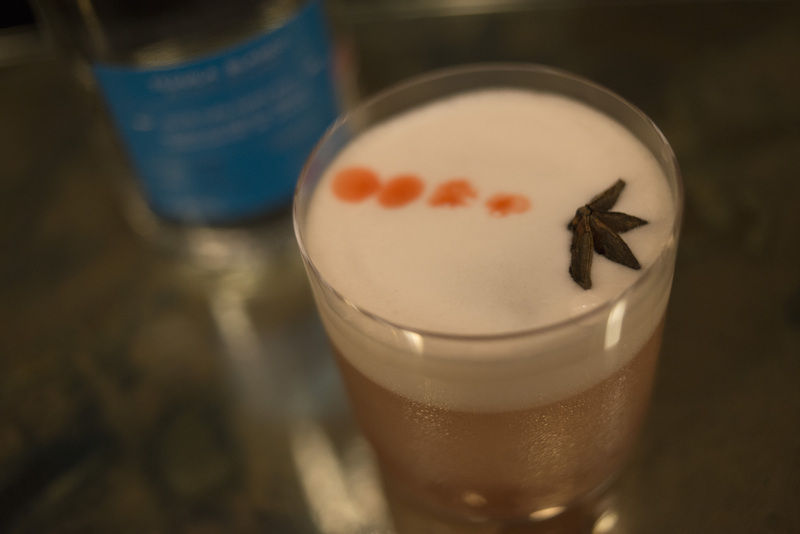 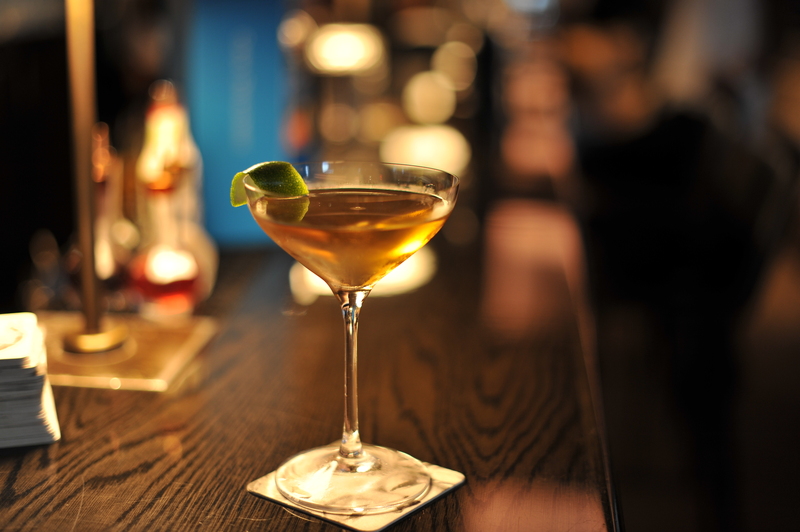 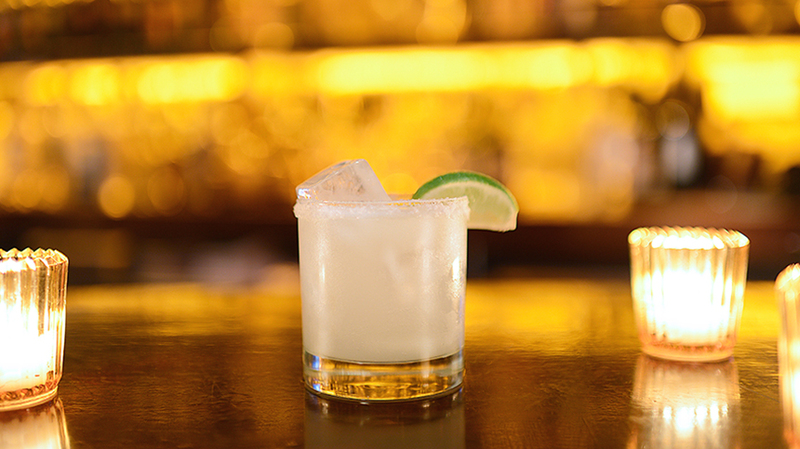 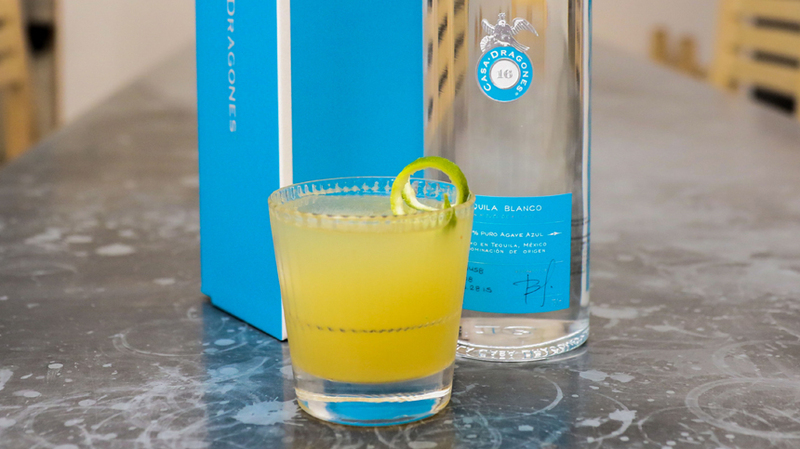 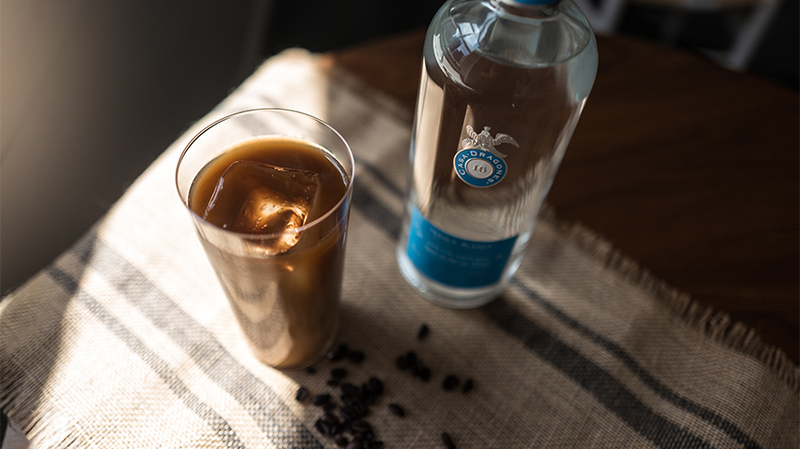 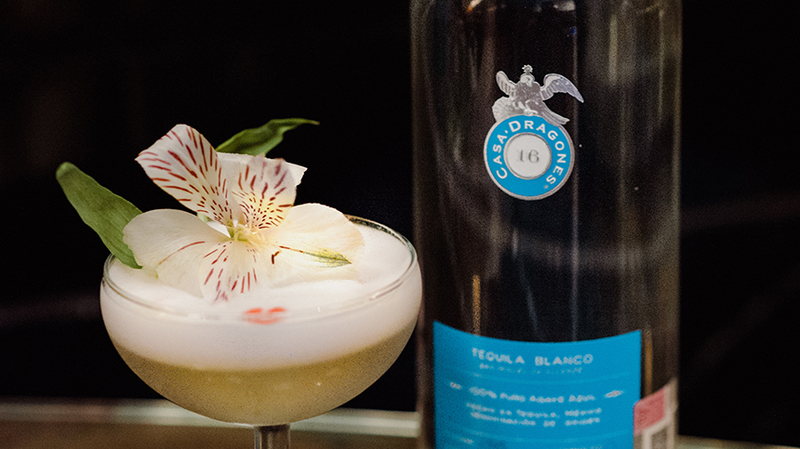 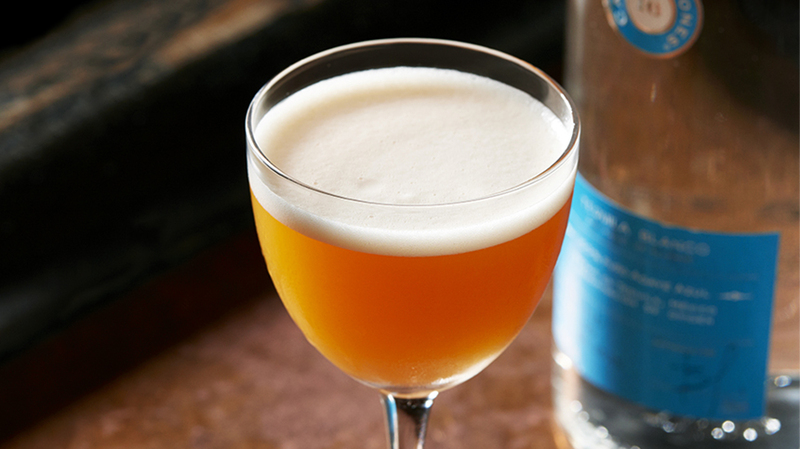 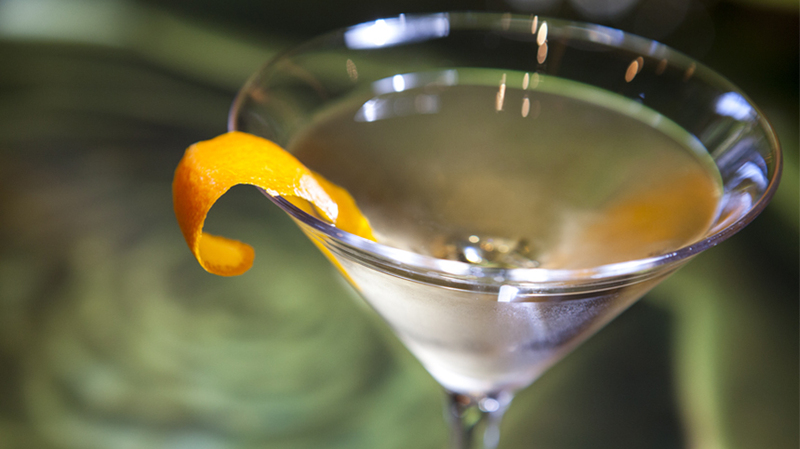 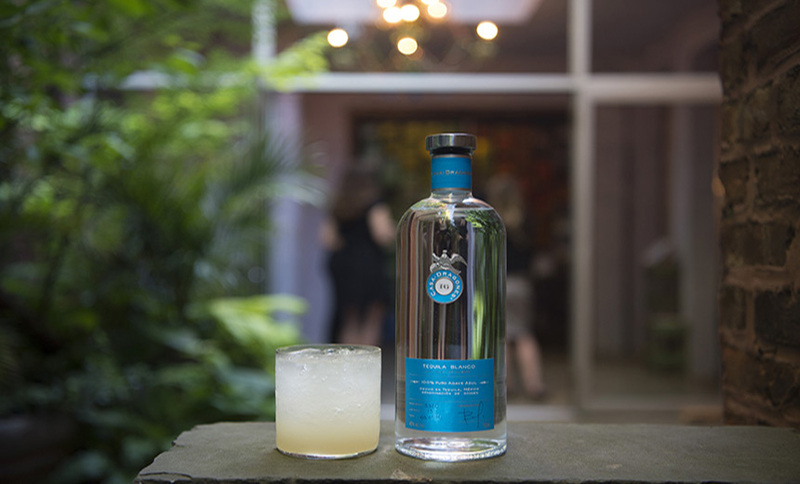 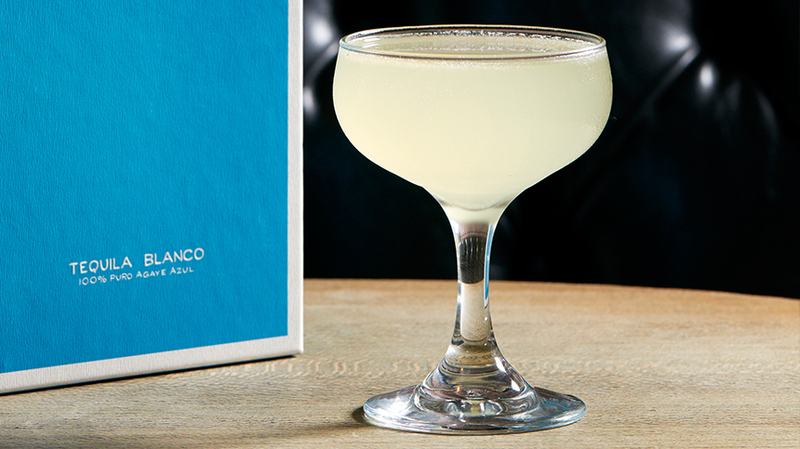 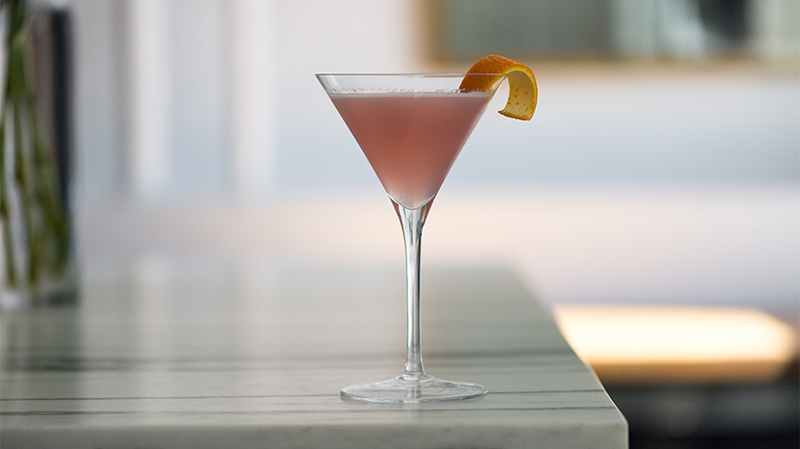 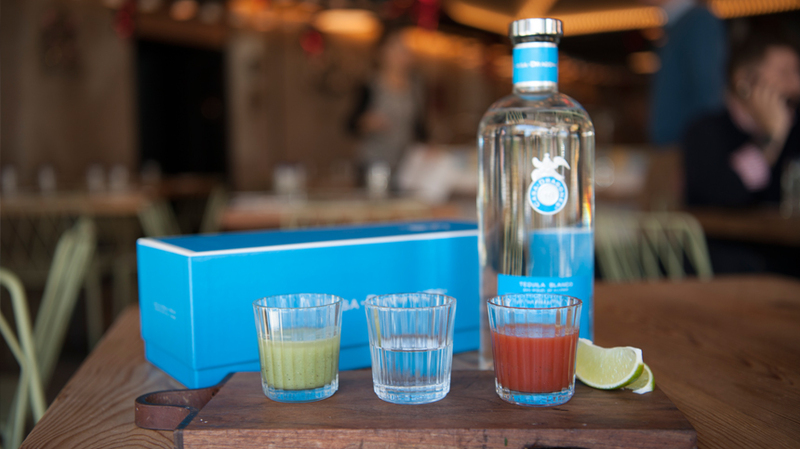 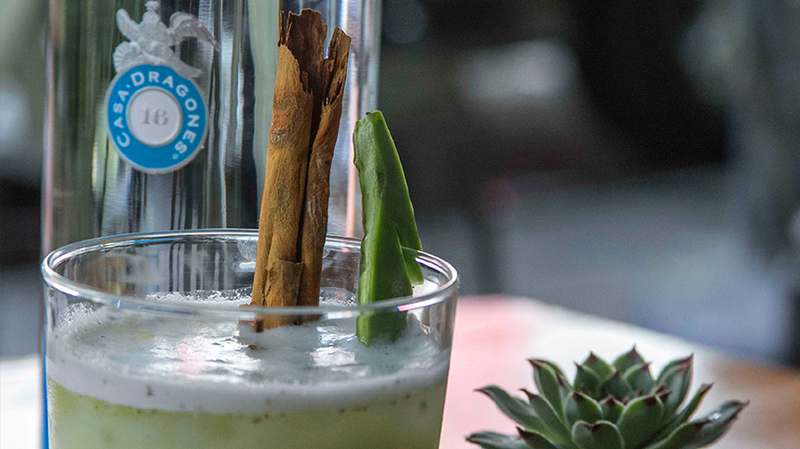 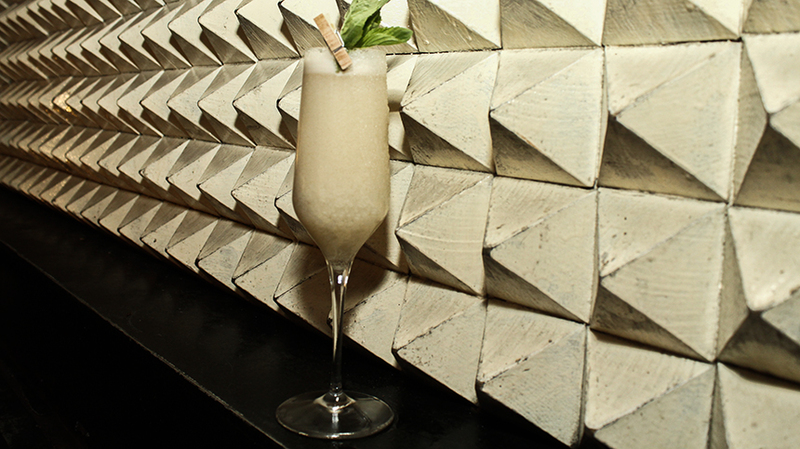 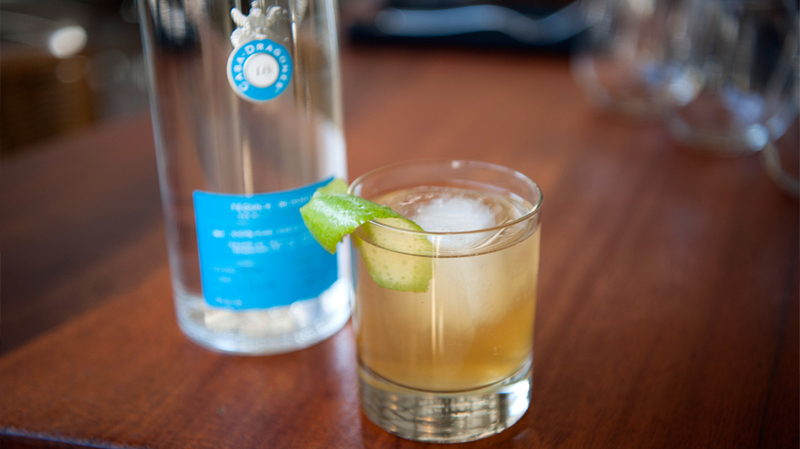 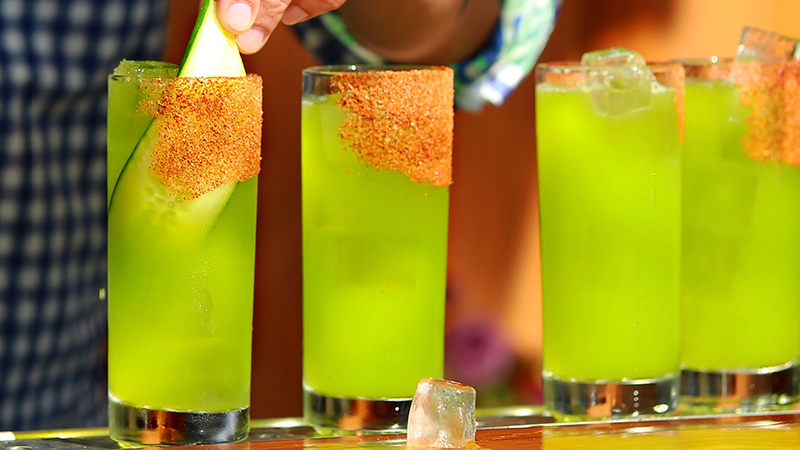 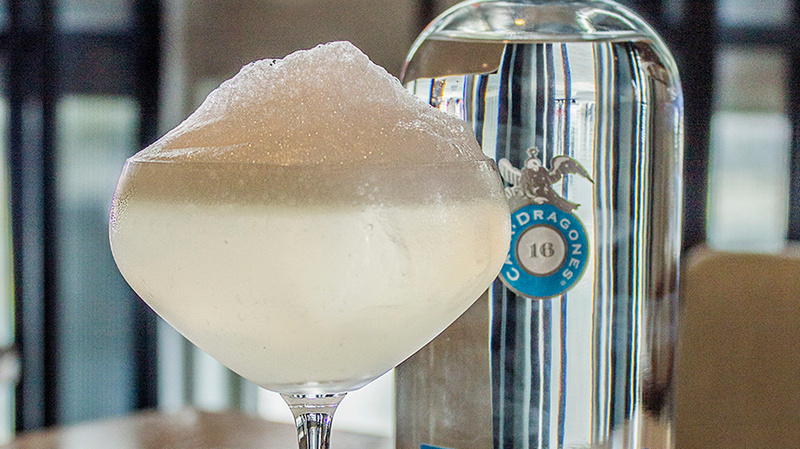 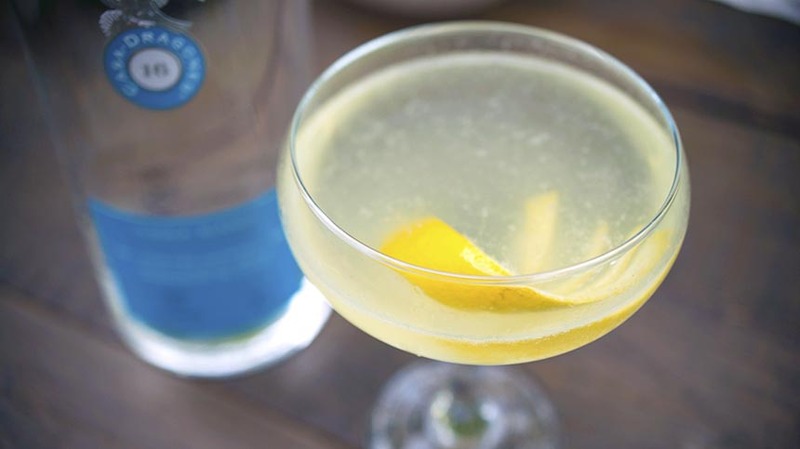 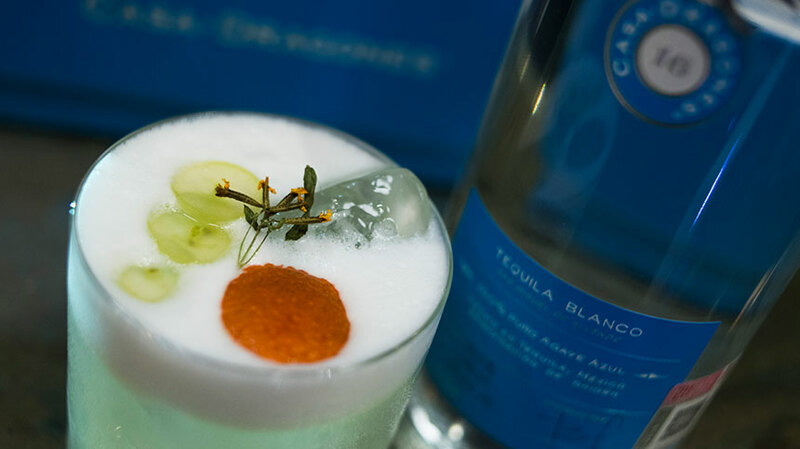 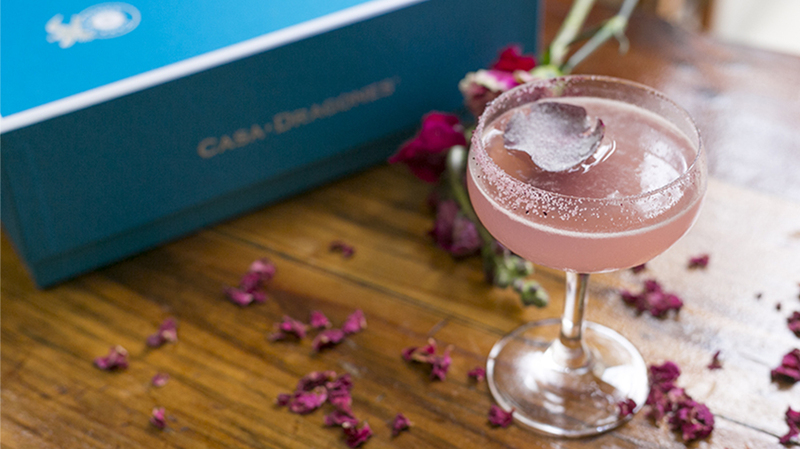 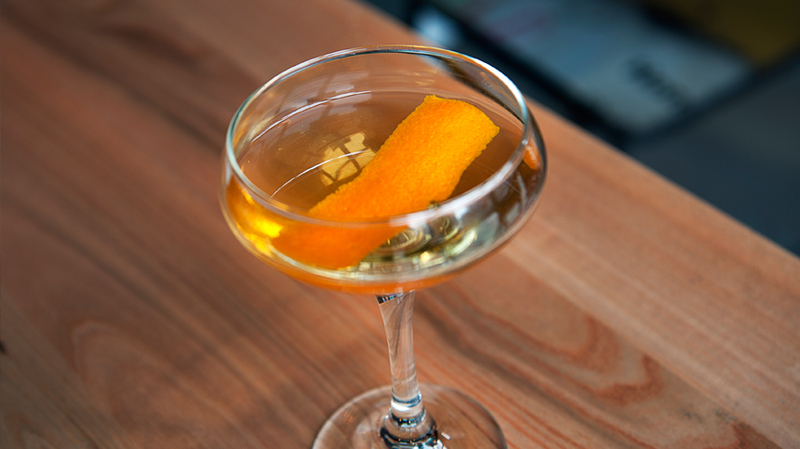 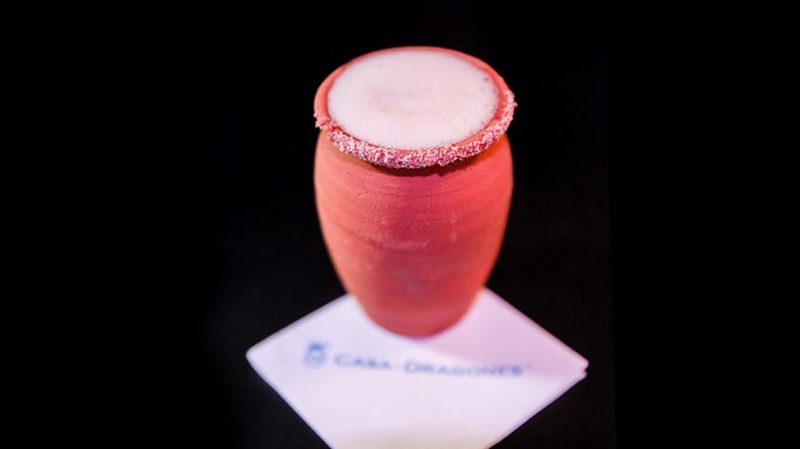 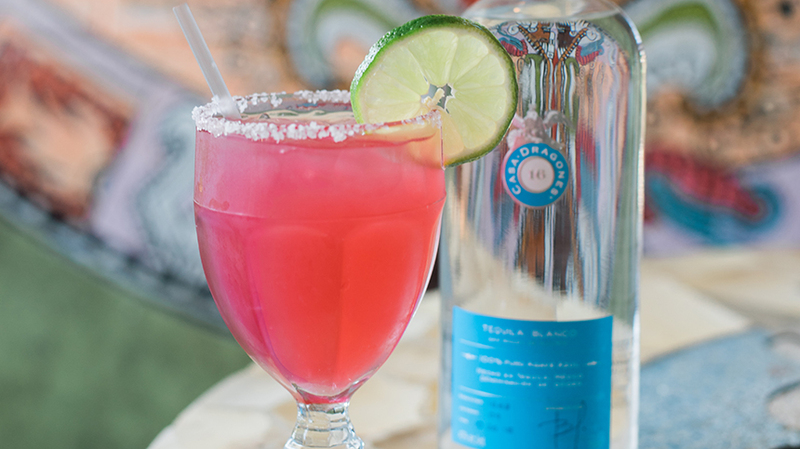 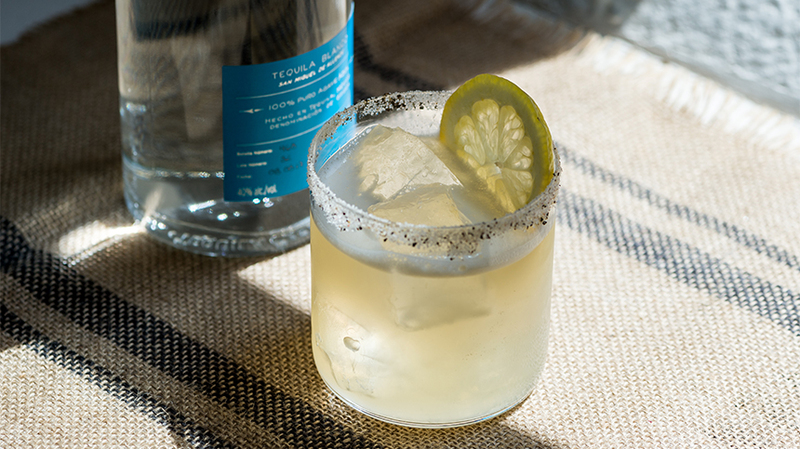 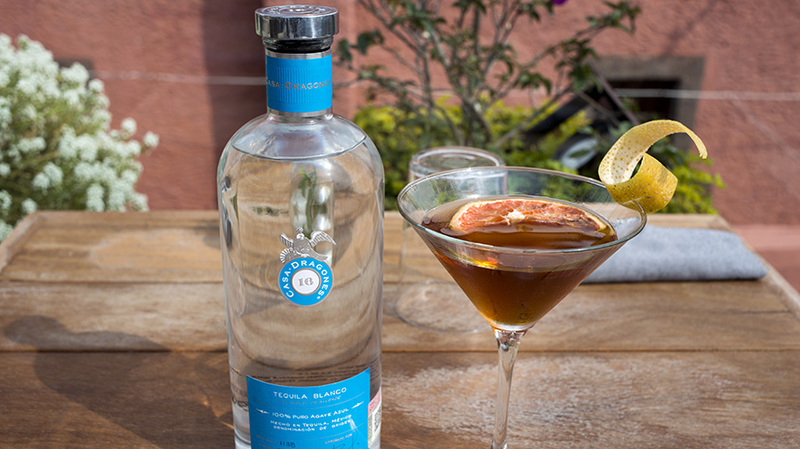 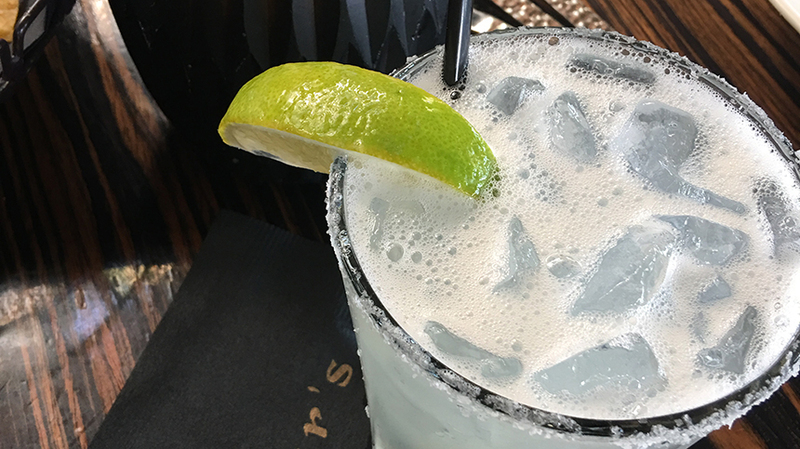 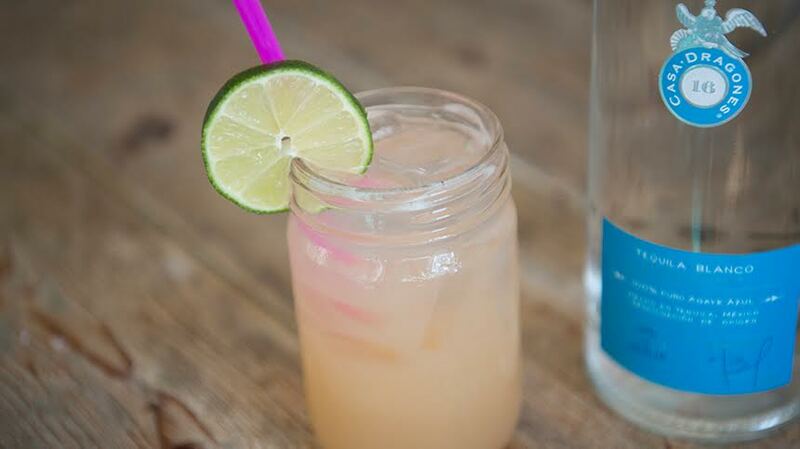 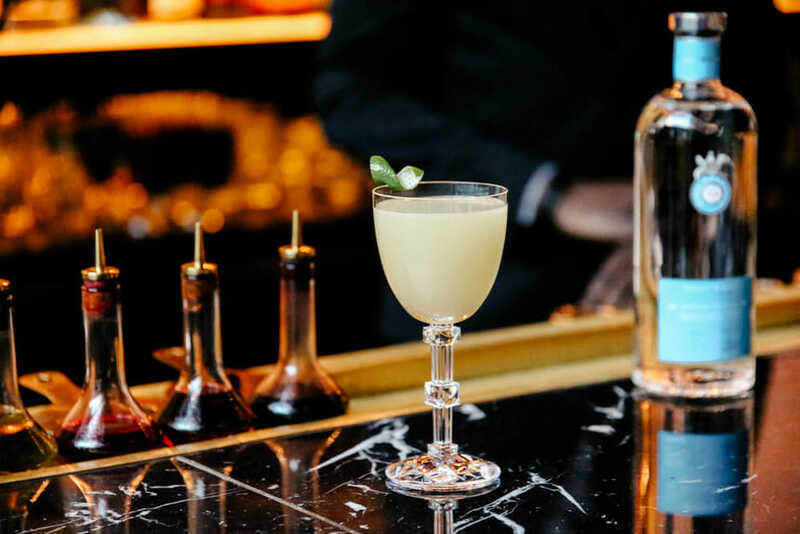 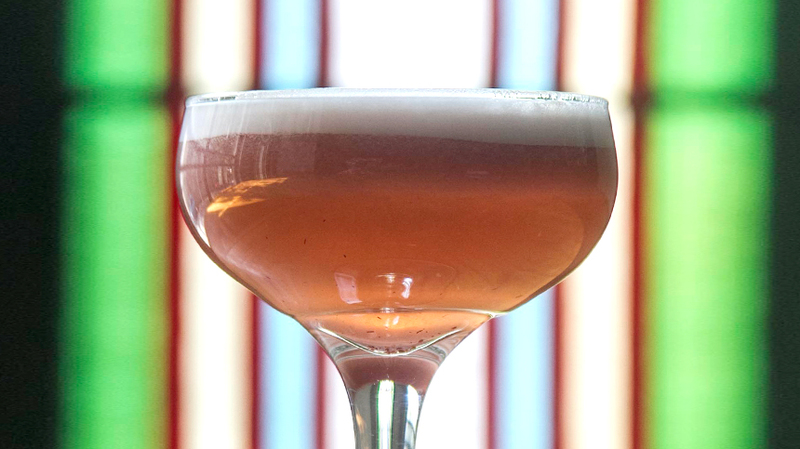 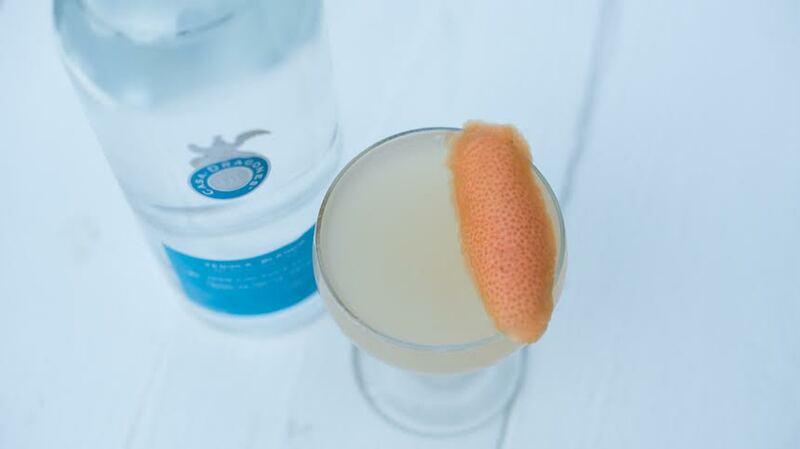 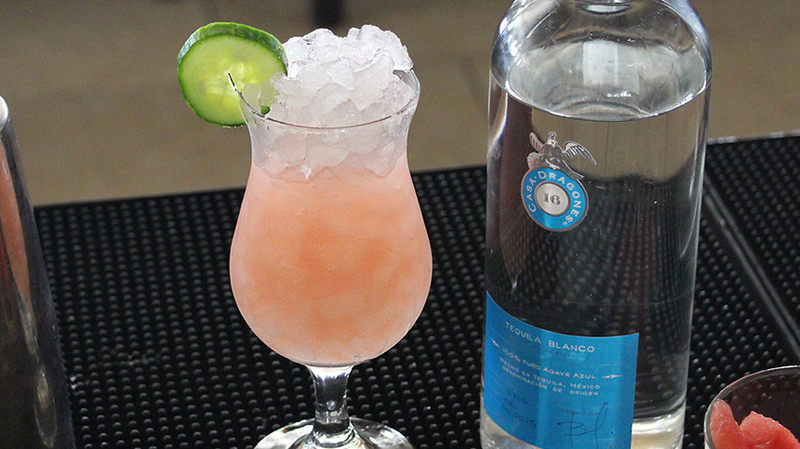 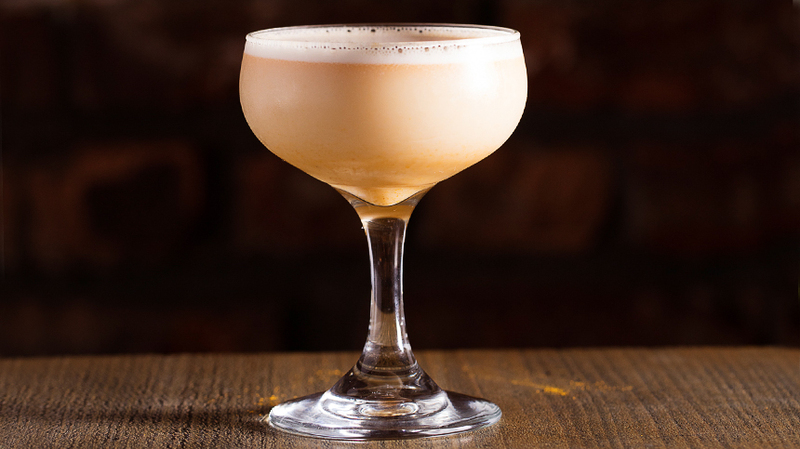 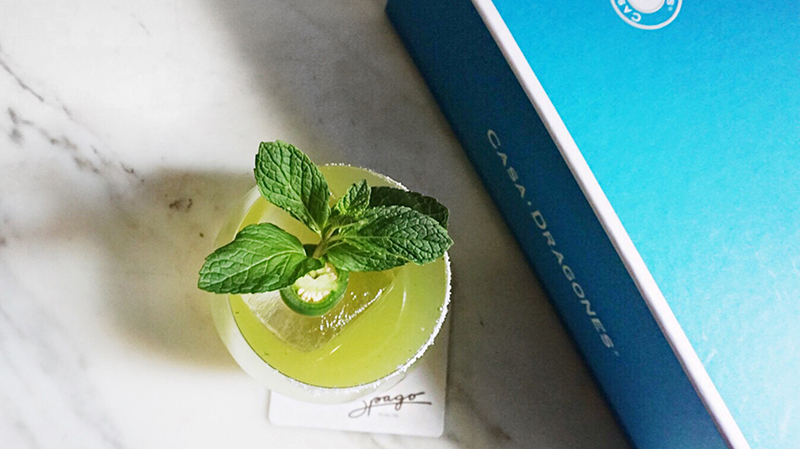 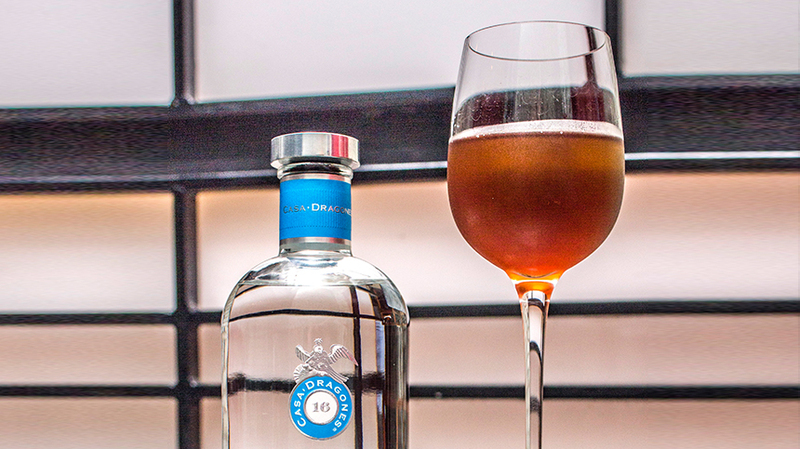 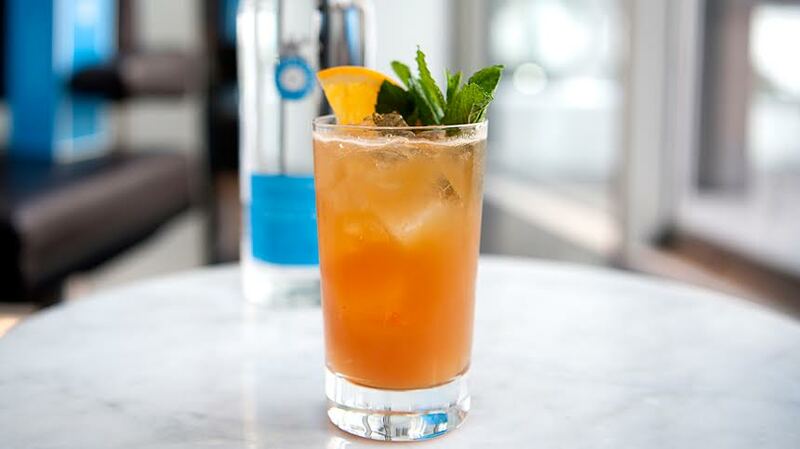 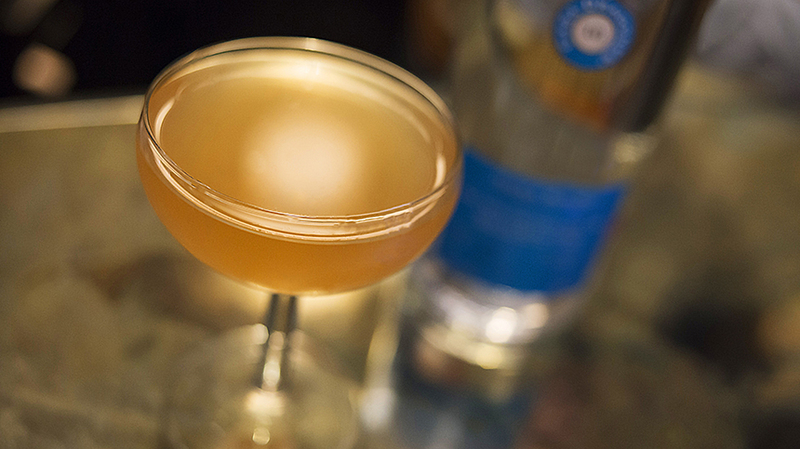 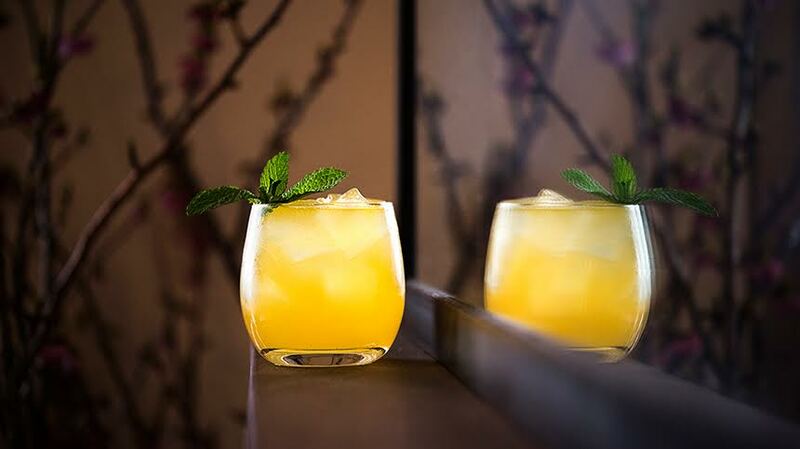 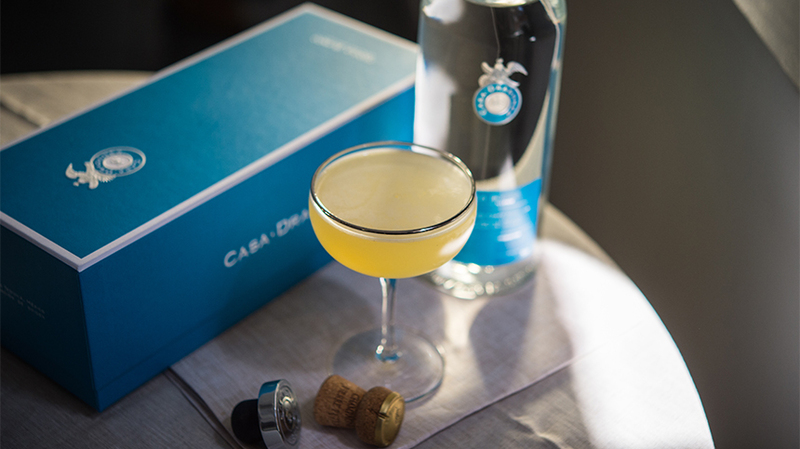 The blend of Orgeat syrup, sake, lime, sherry, and Casa Dragones Blanco work in harmony to create a gradient of cool flavor that is a perfect match for the summer season. 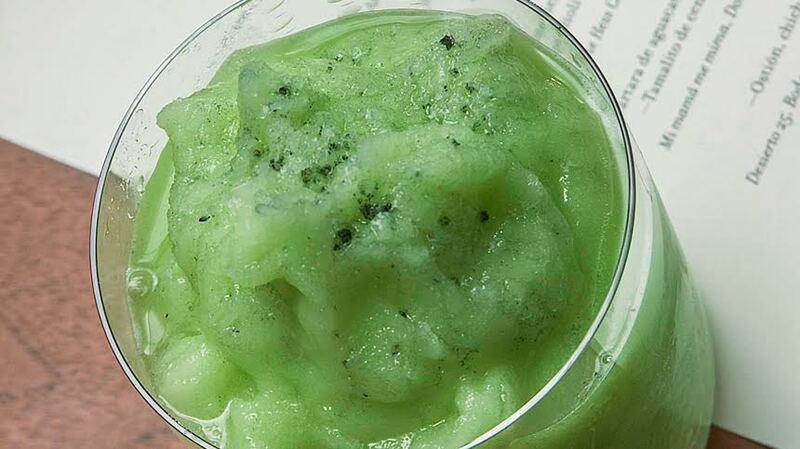 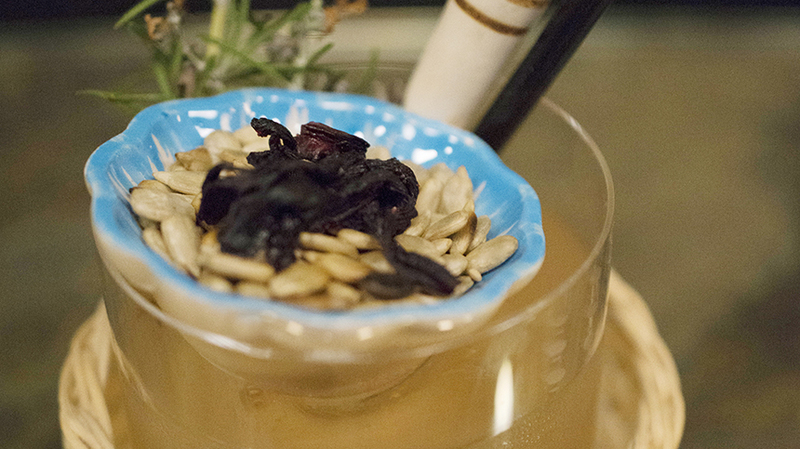 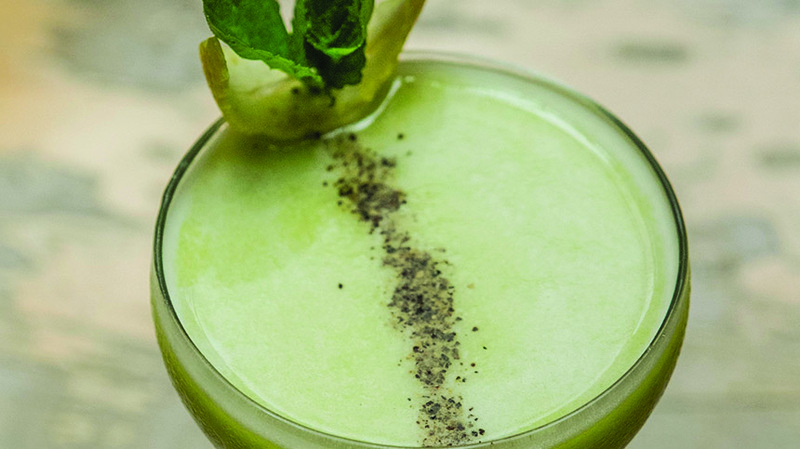 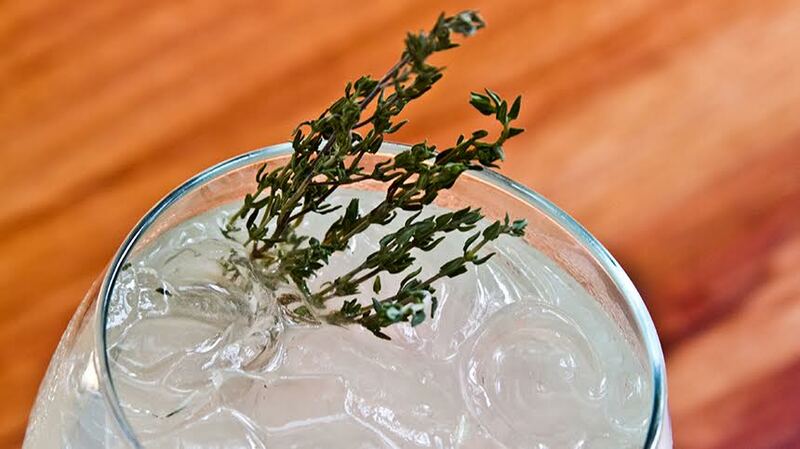 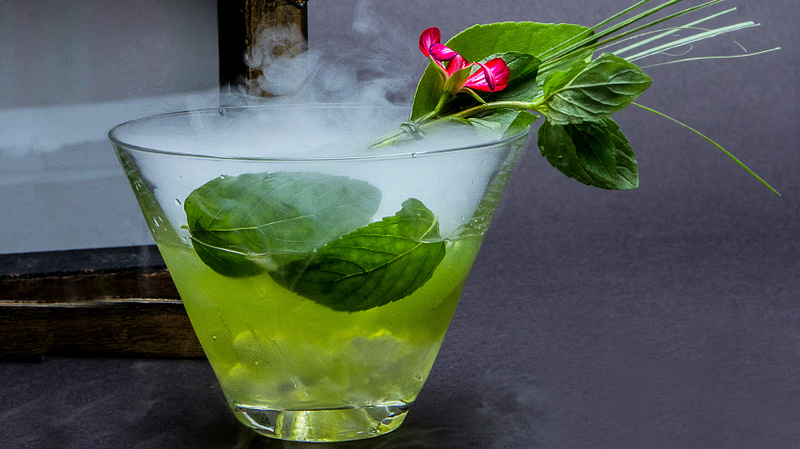 Served over crushed ice with a sprinkle of matcha green tea.